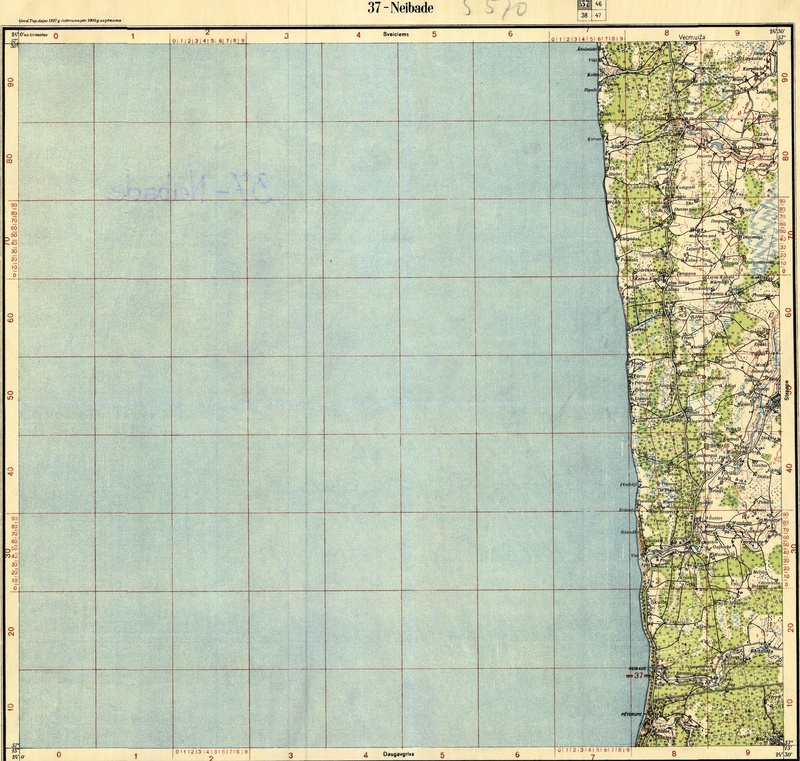 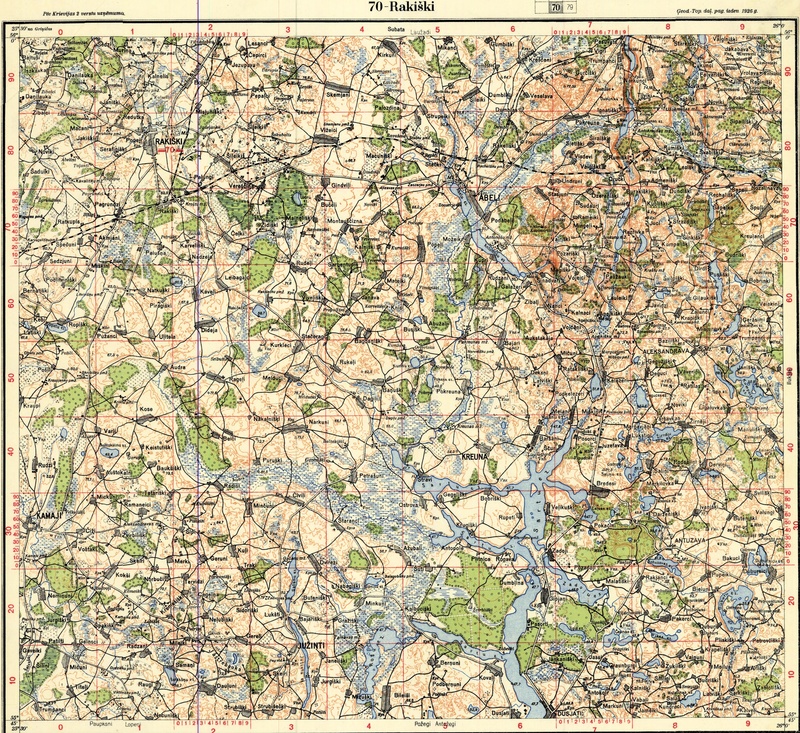 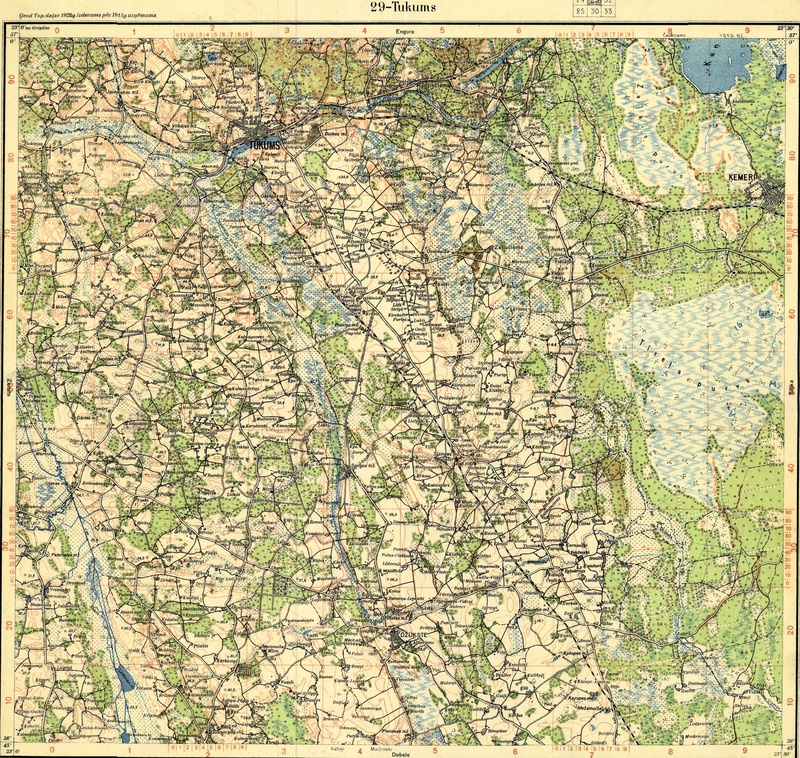 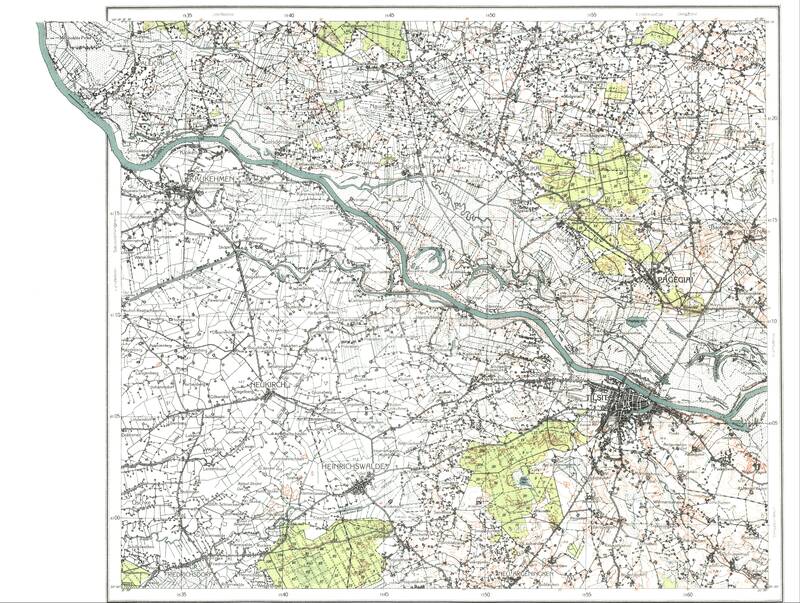 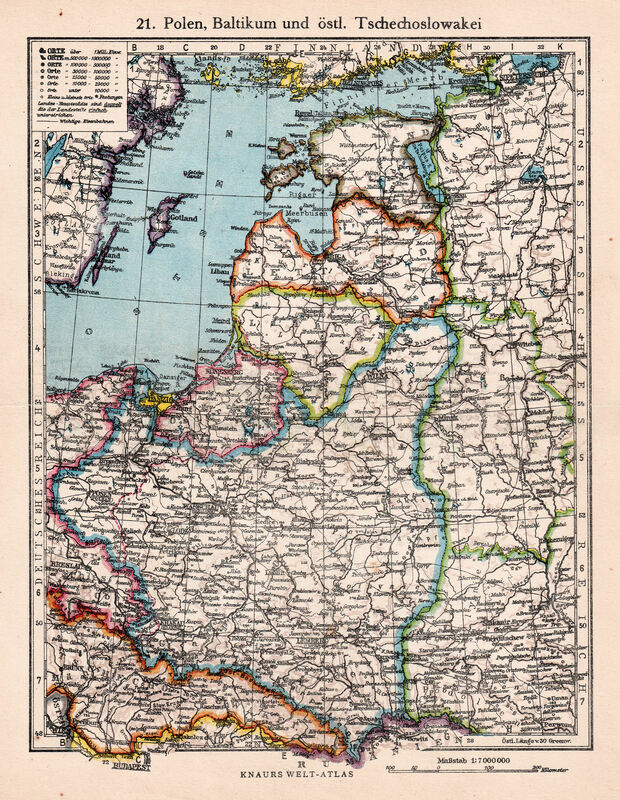 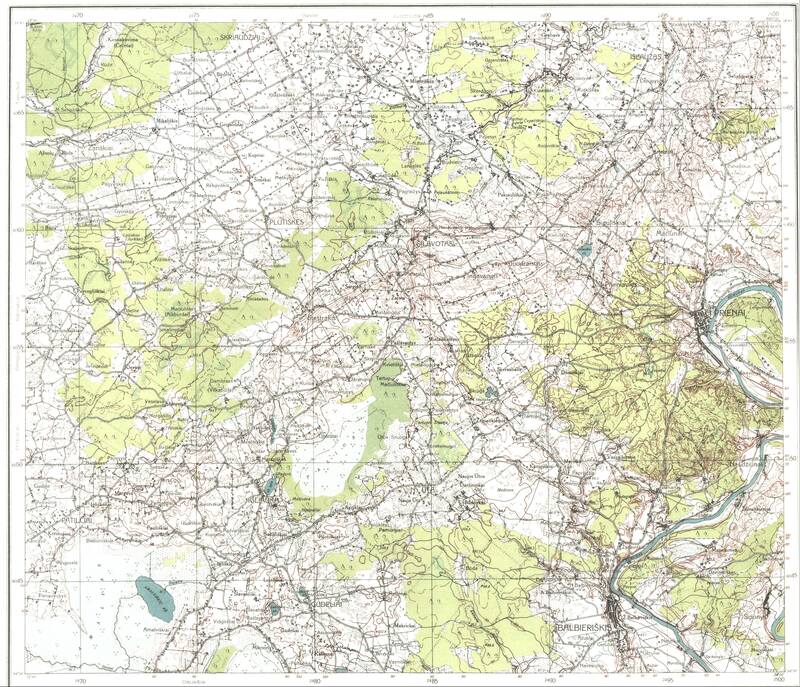 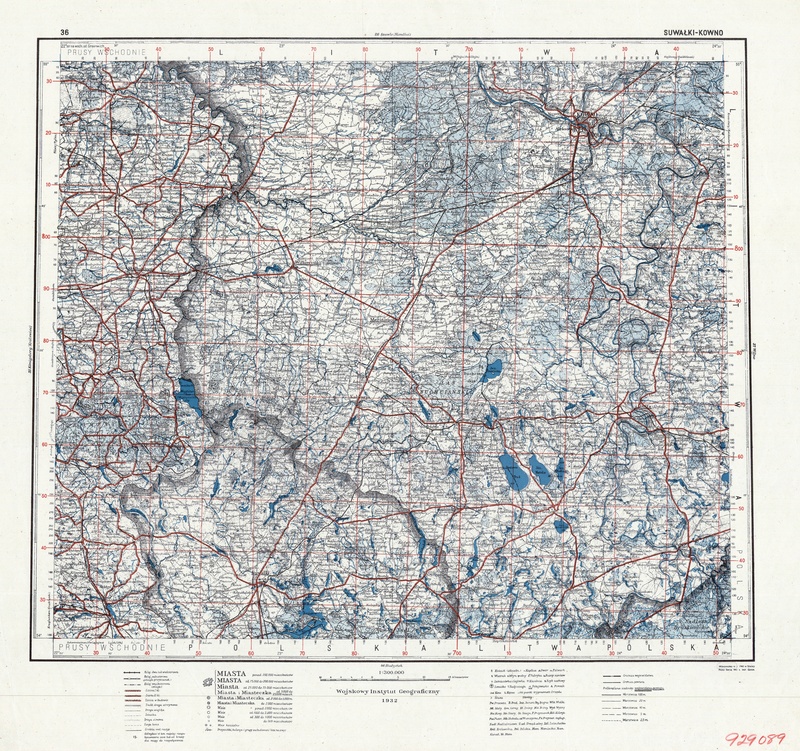 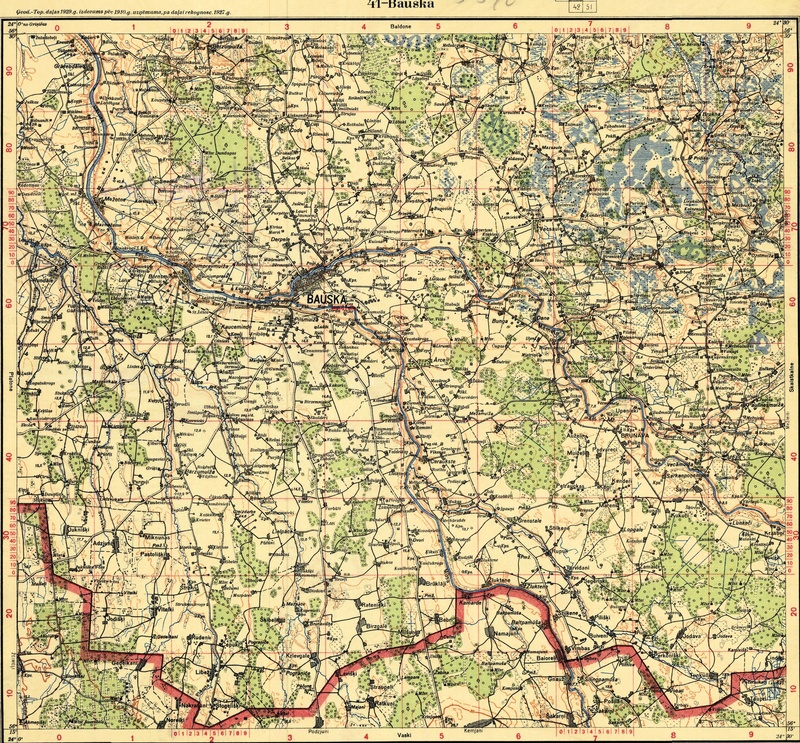 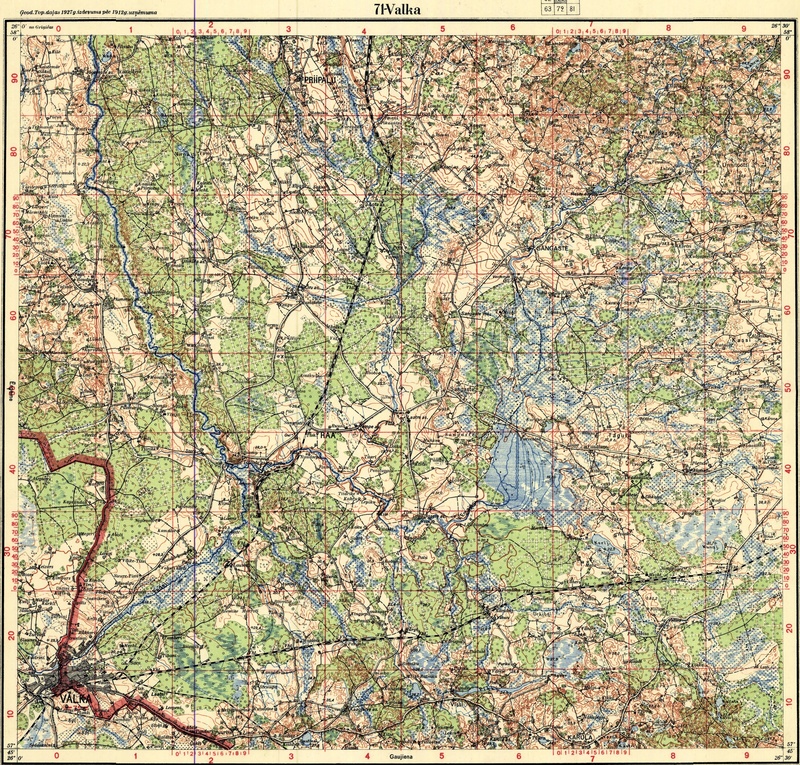 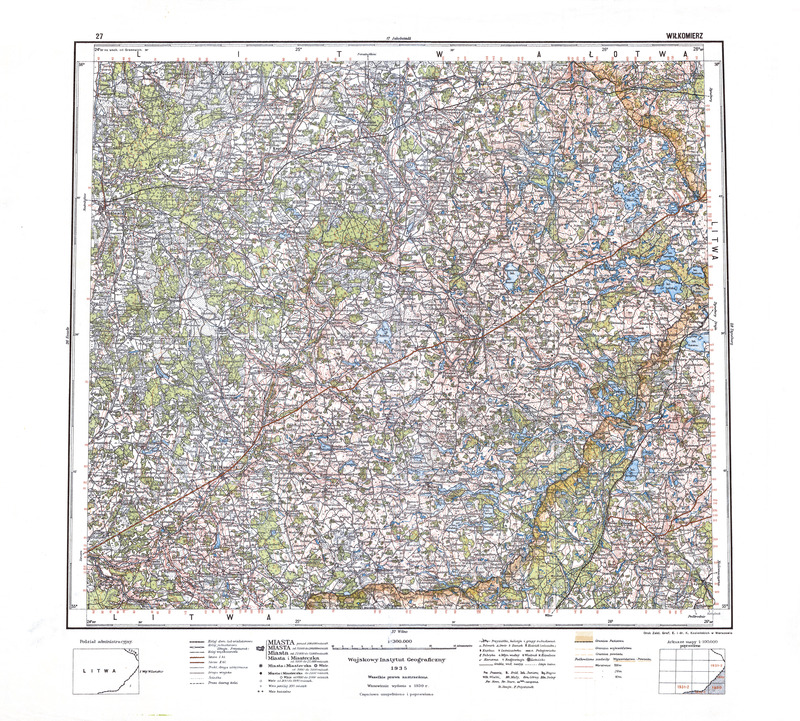 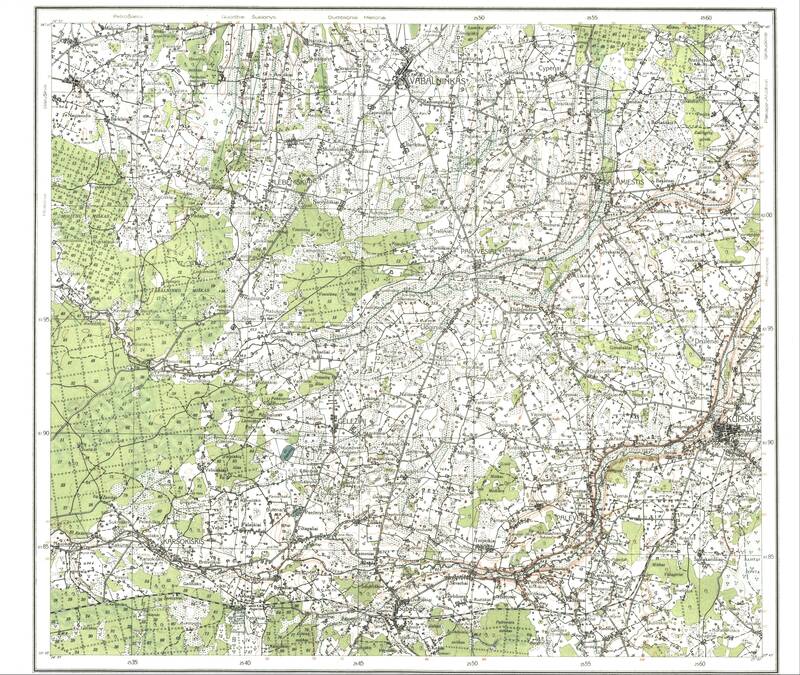 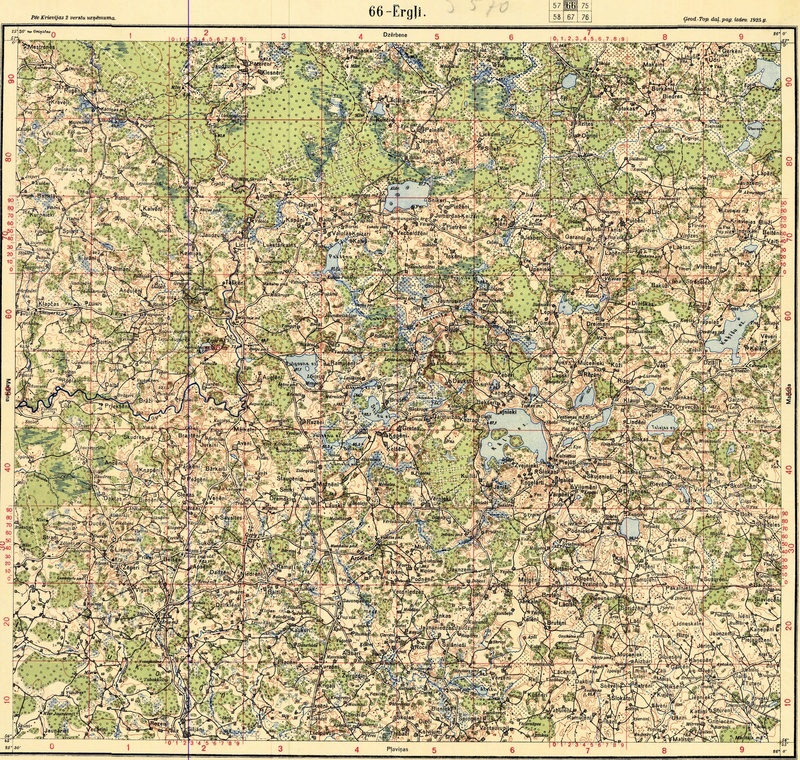 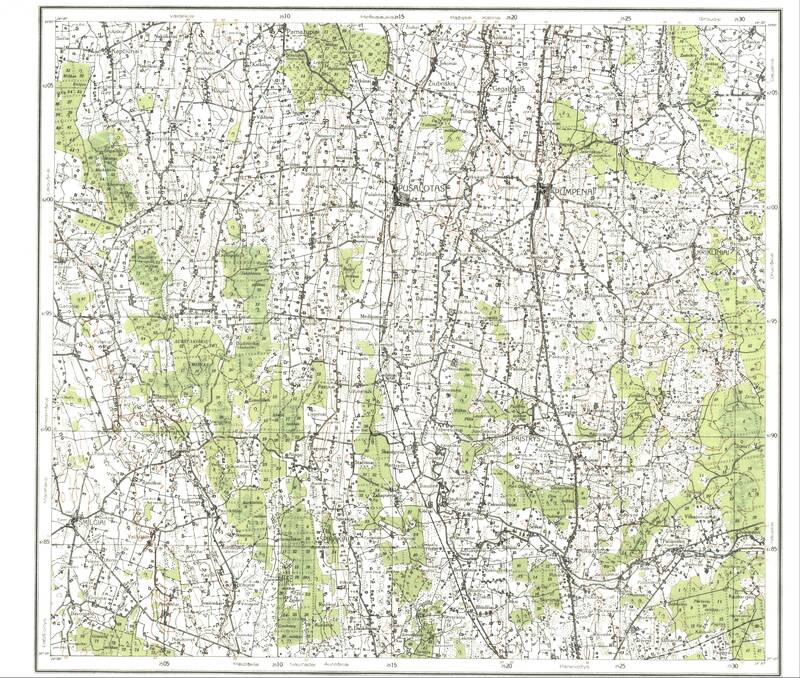 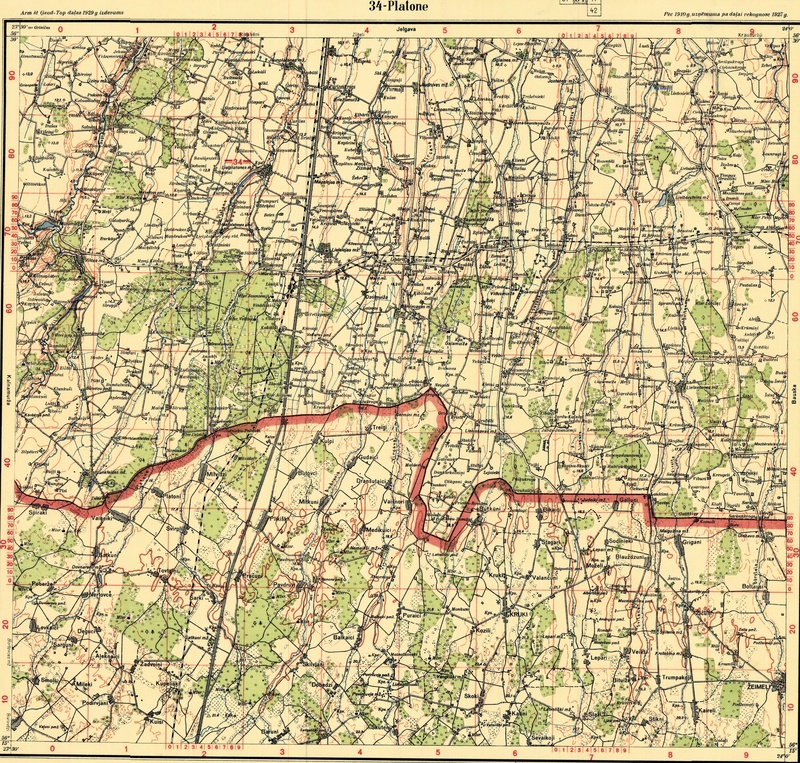 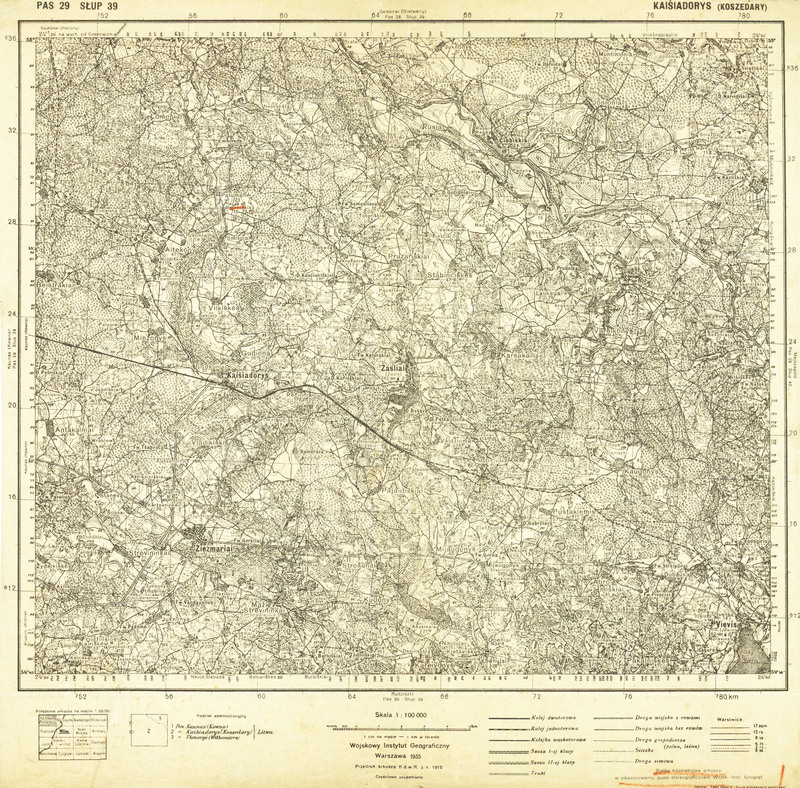 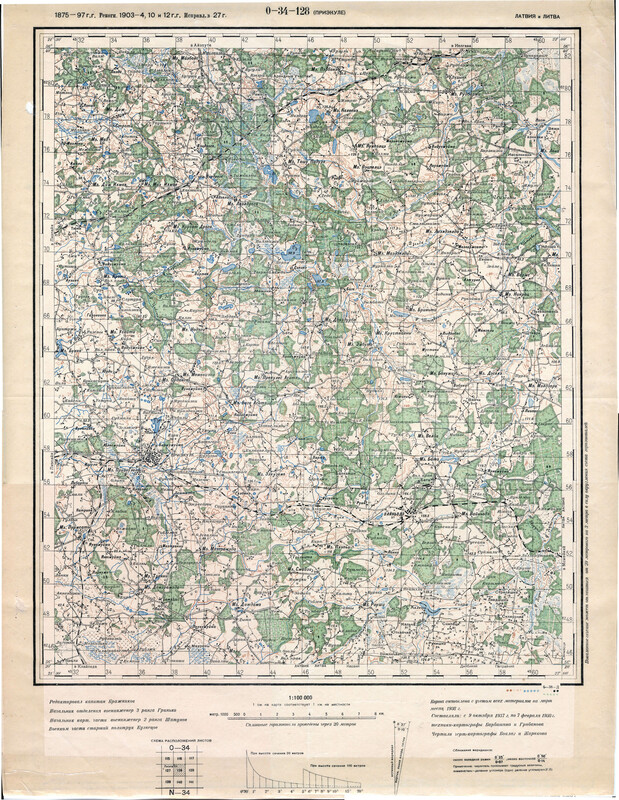 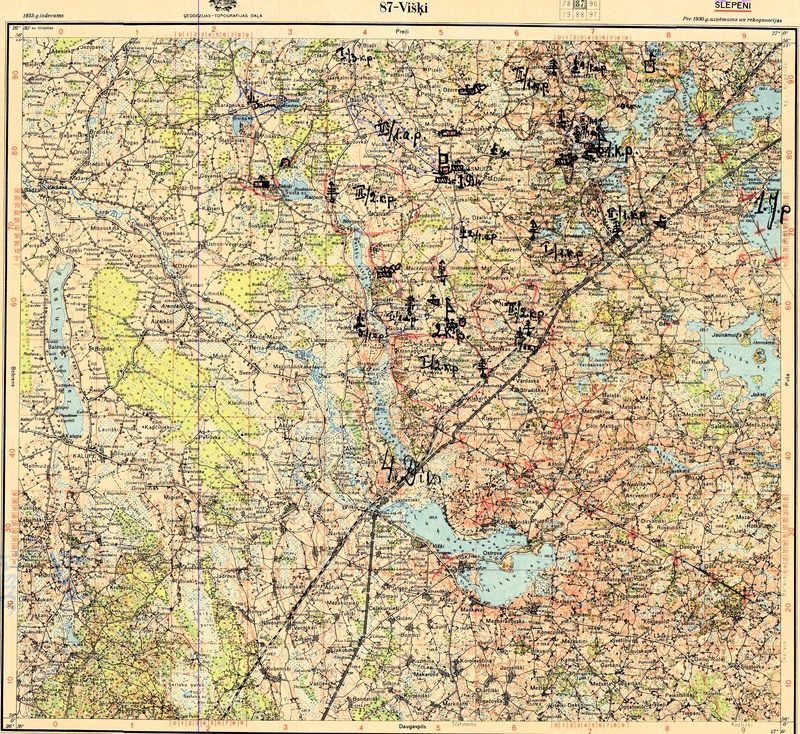 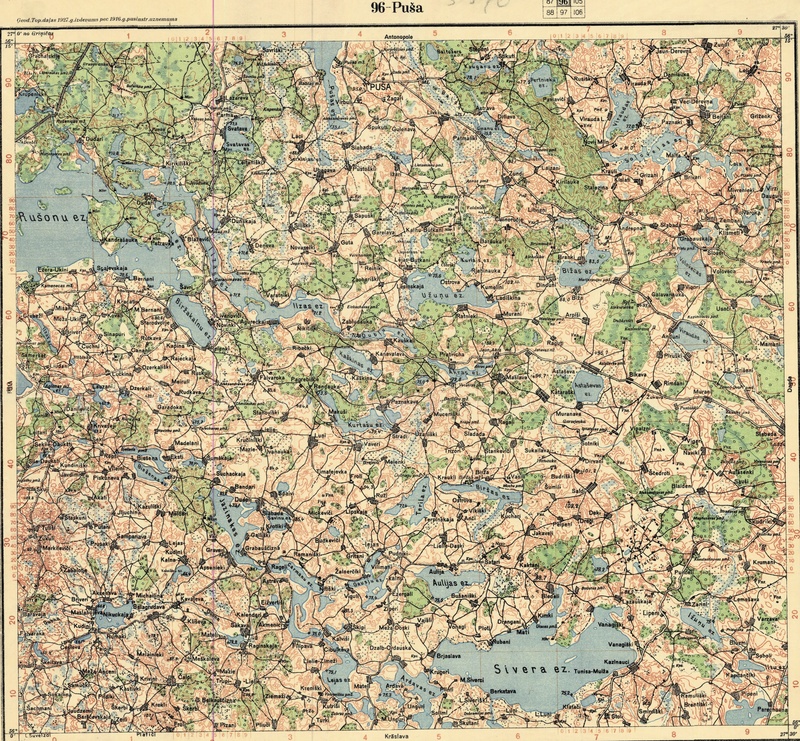 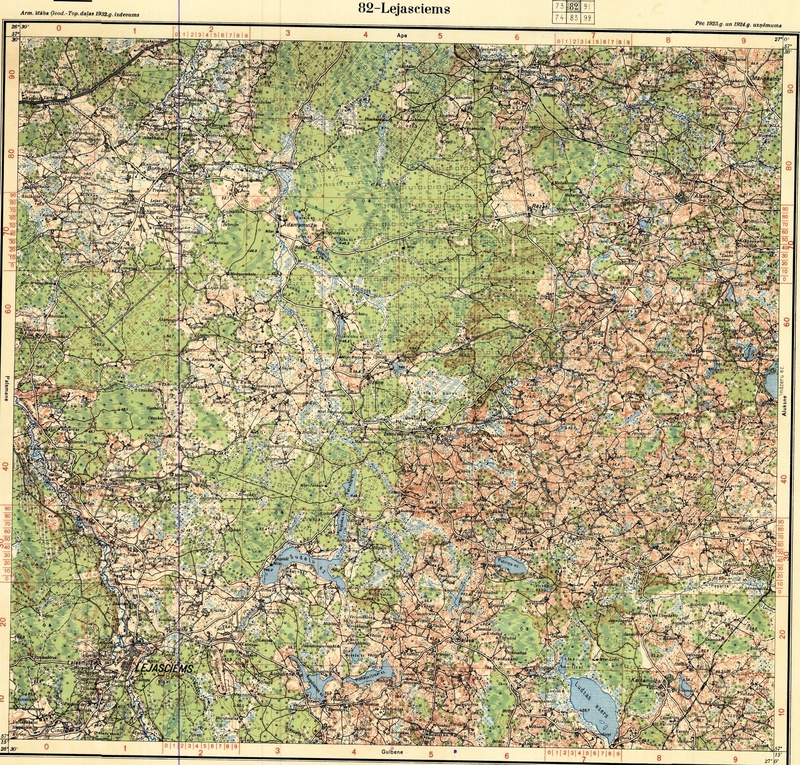 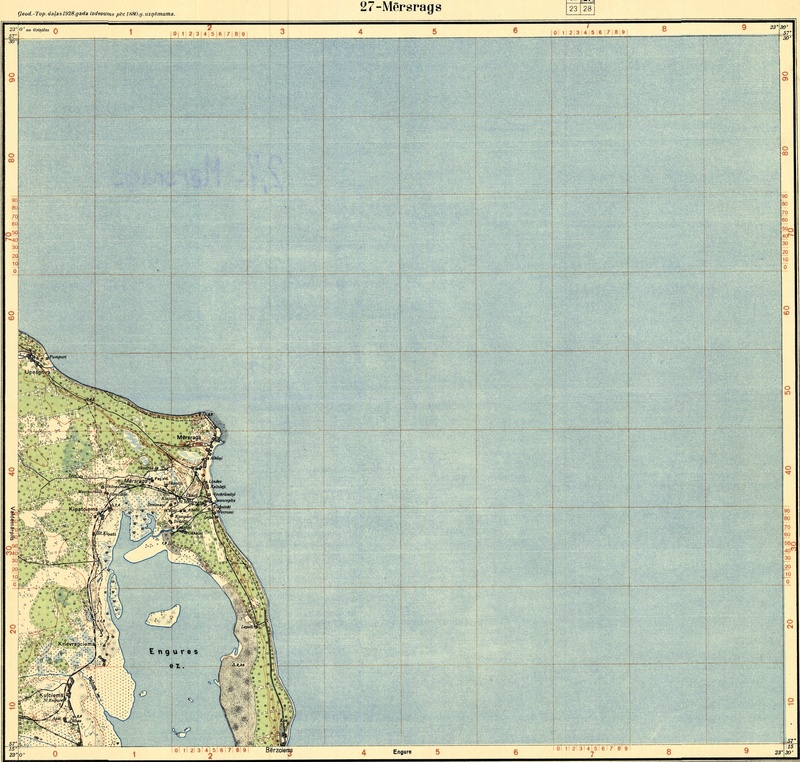 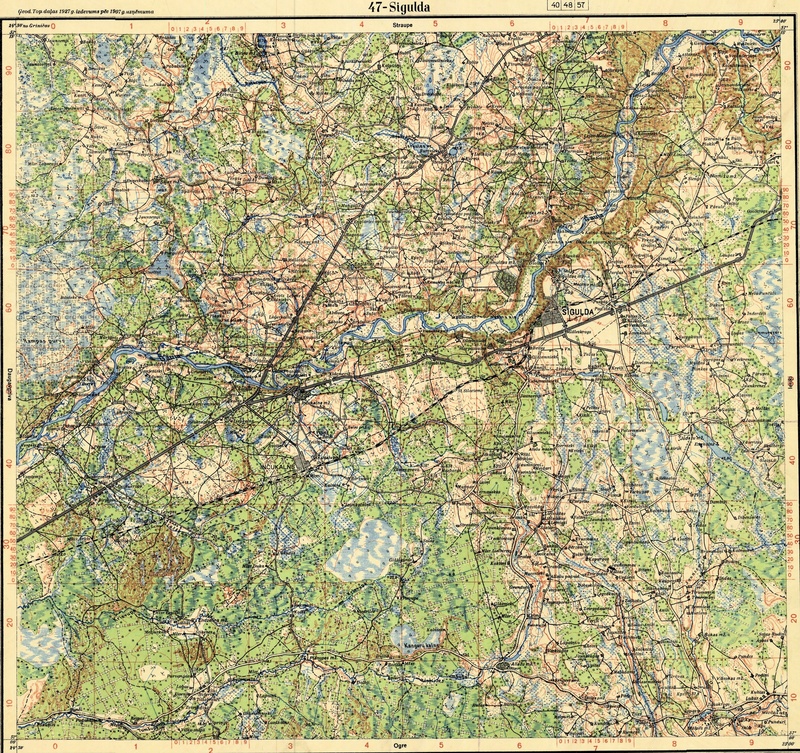 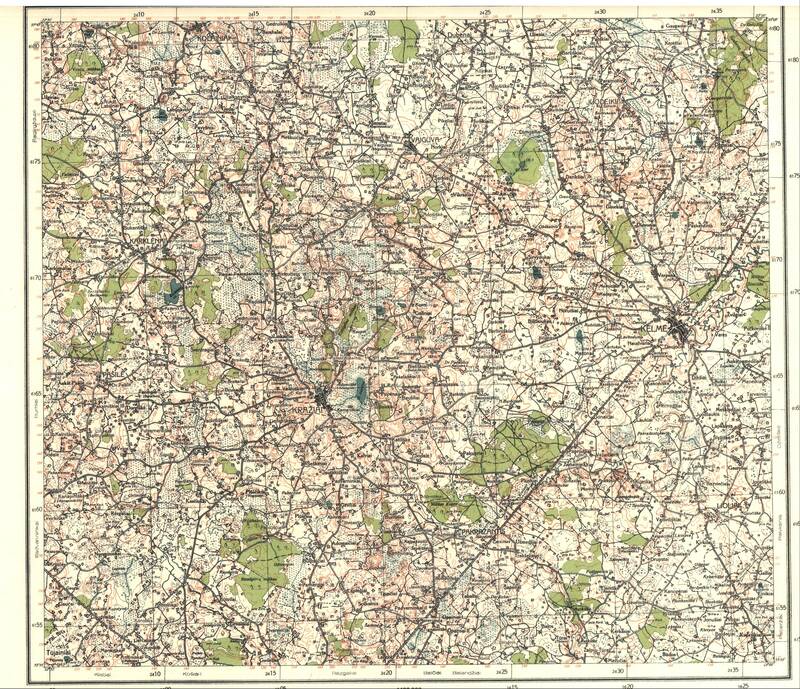 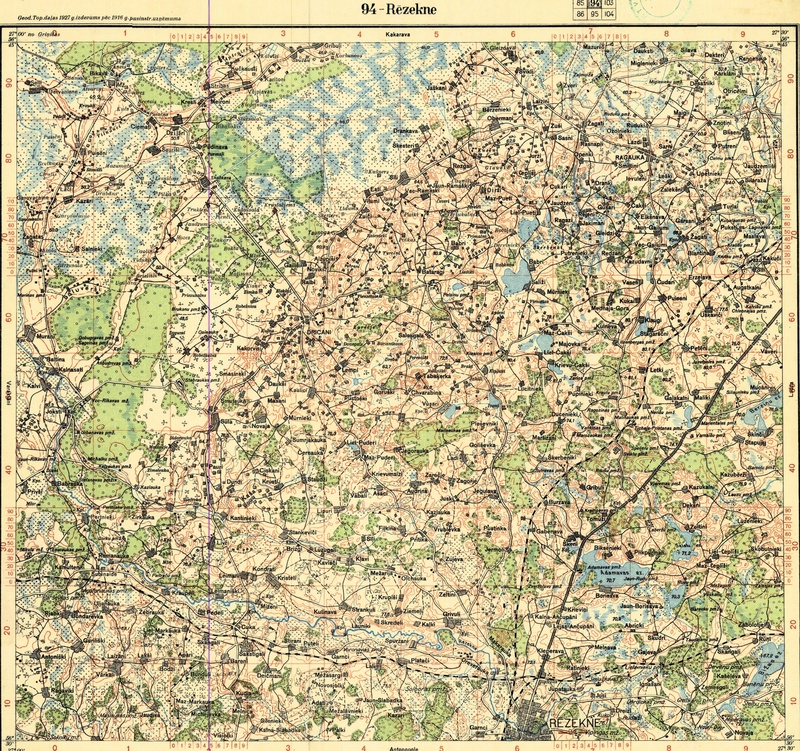 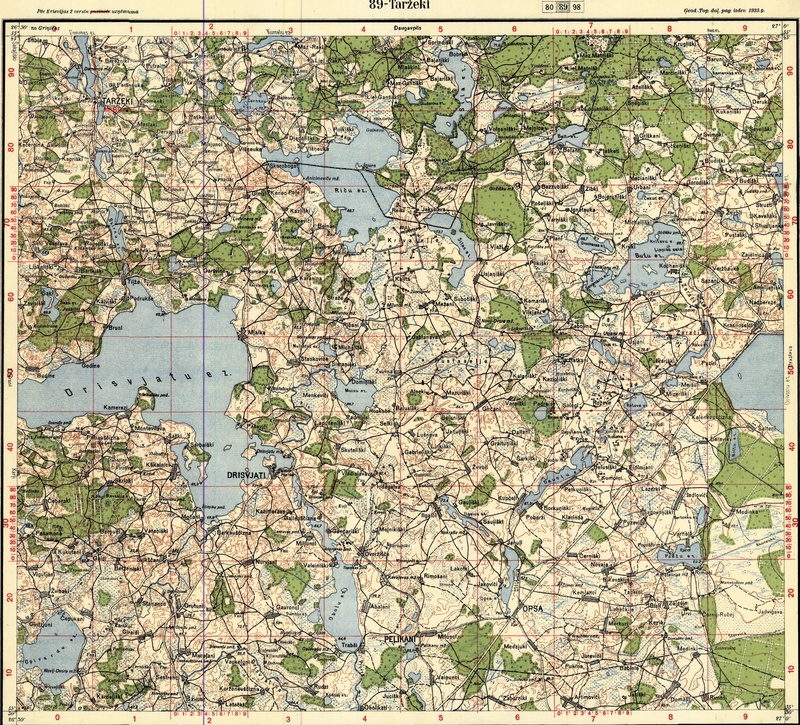 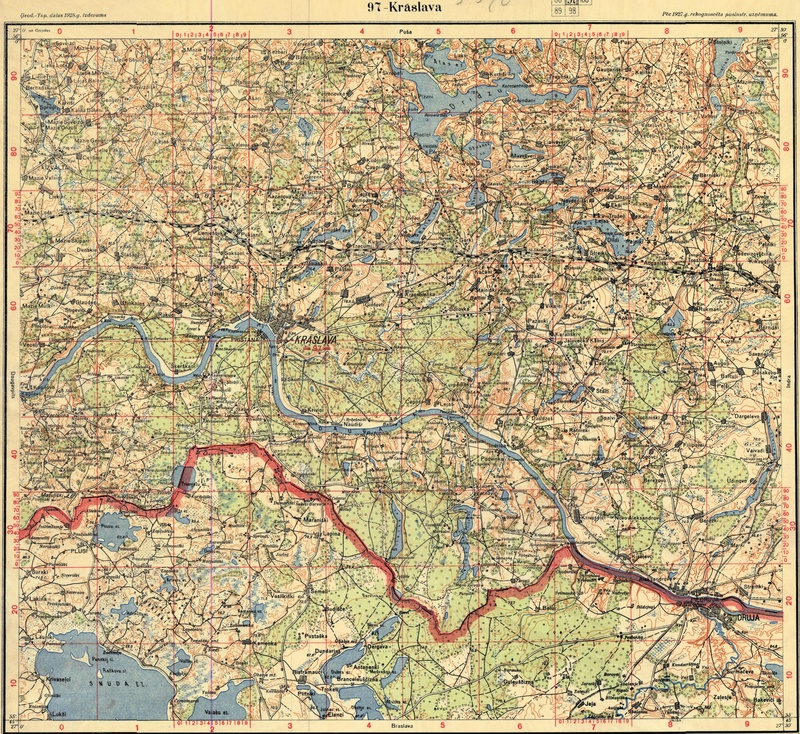 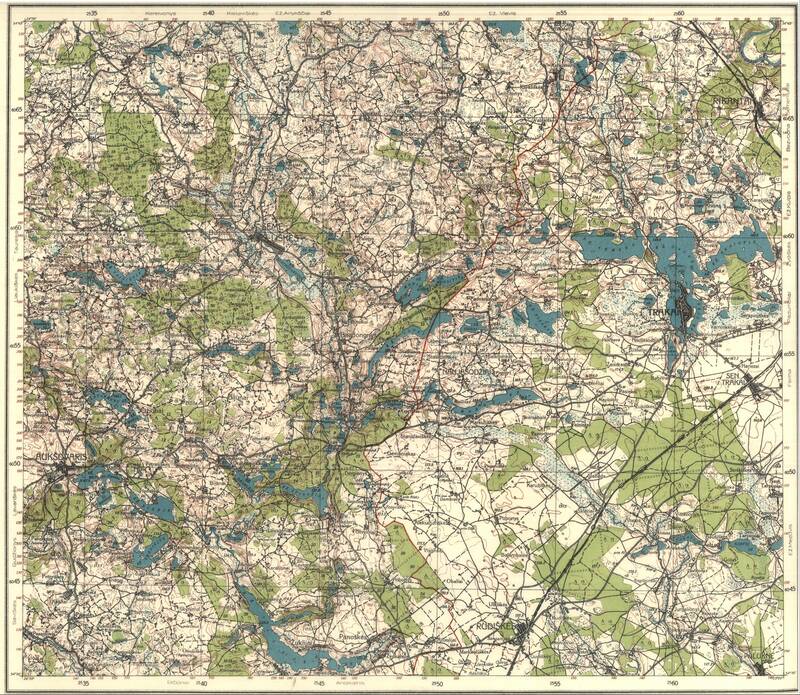 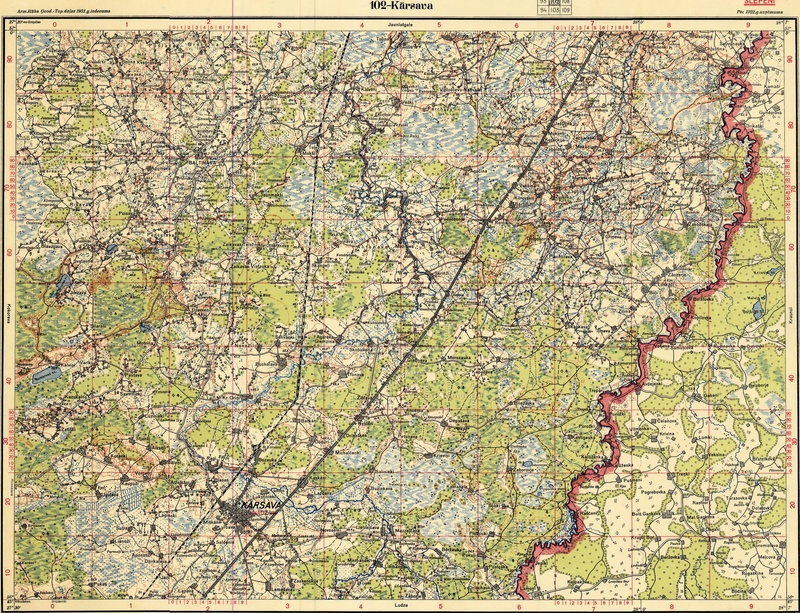 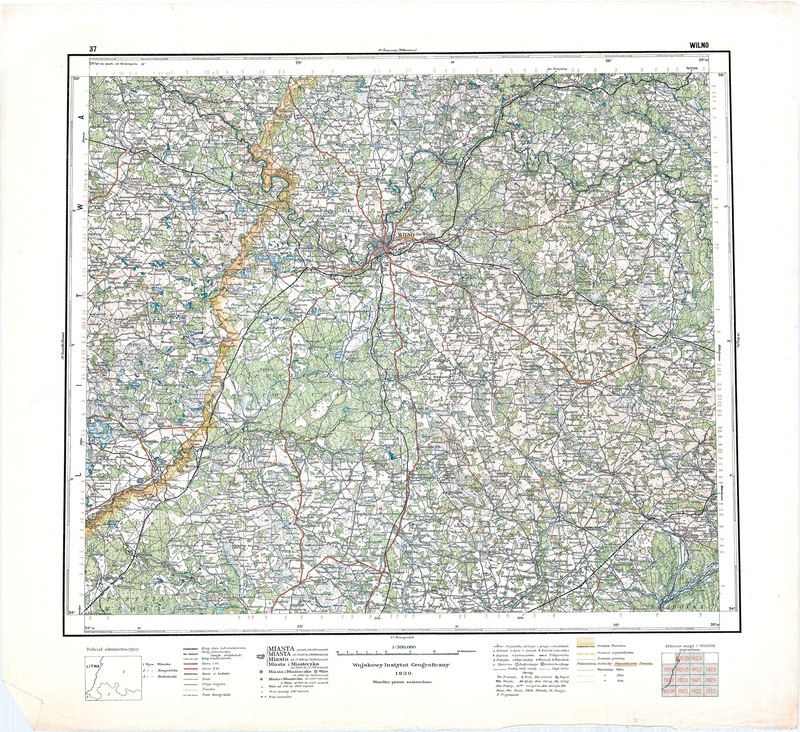 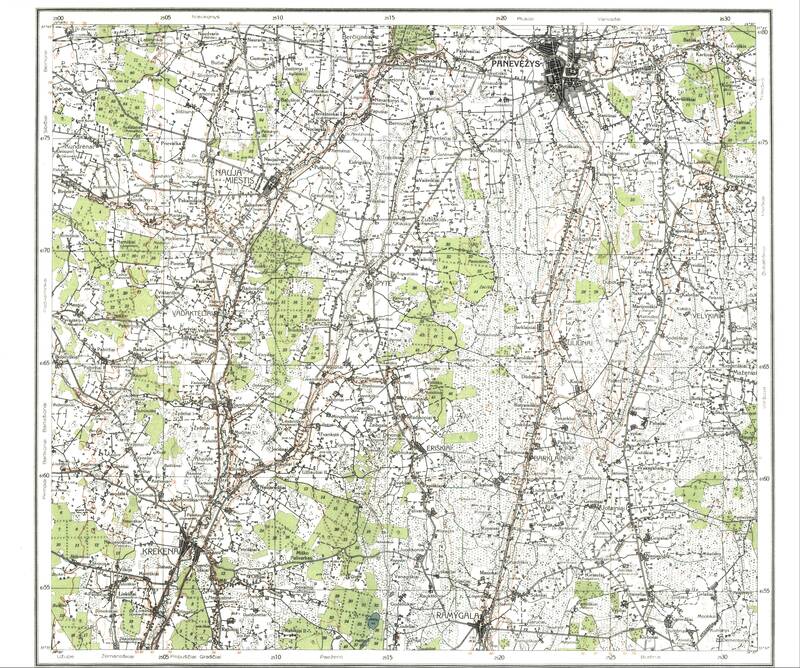 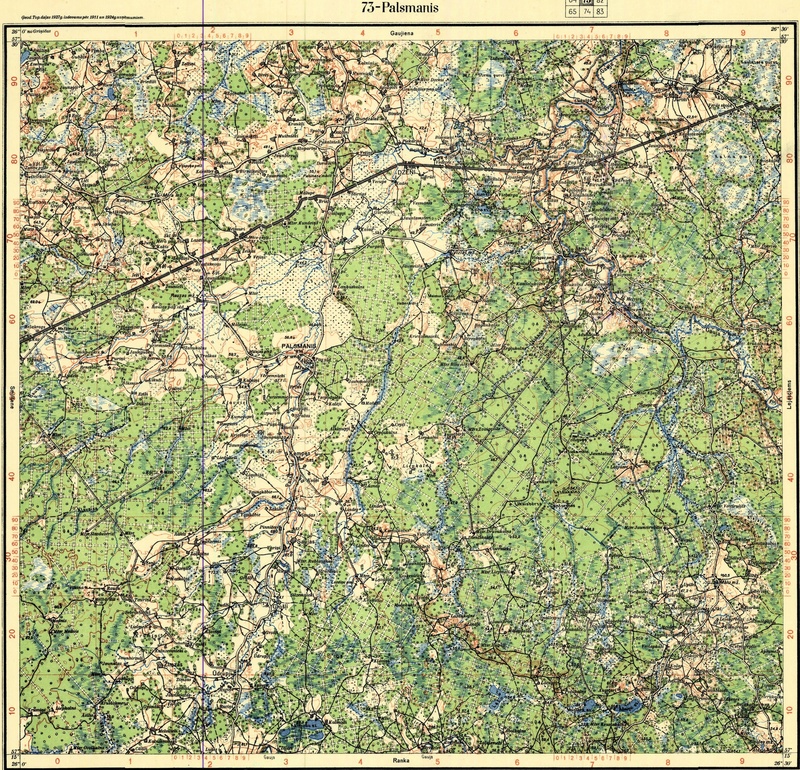 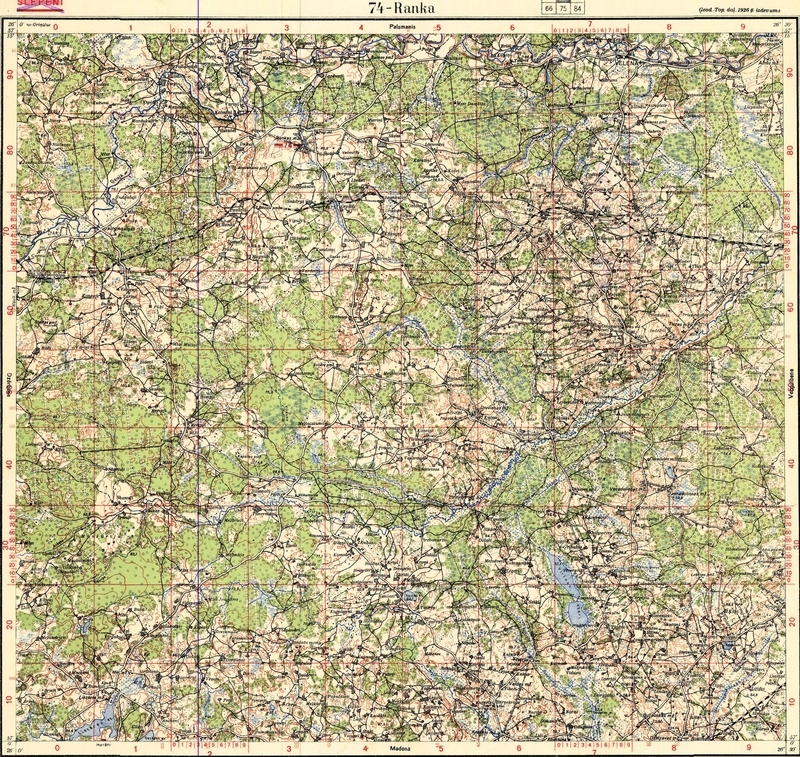 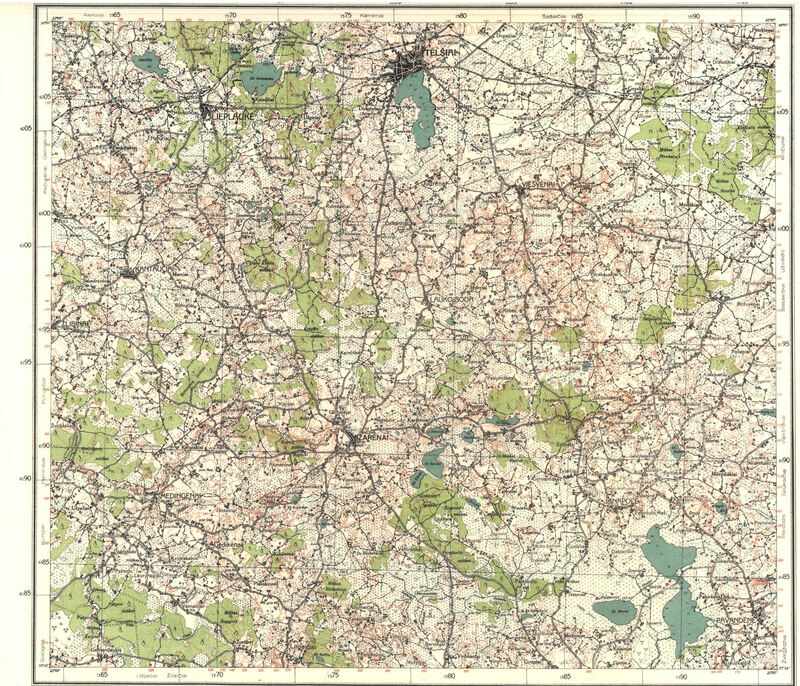 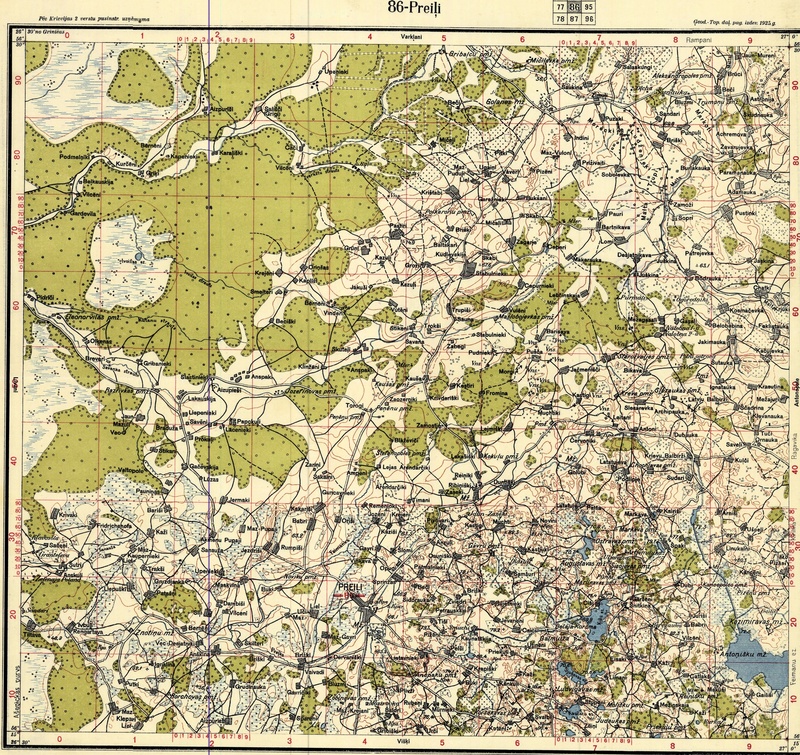 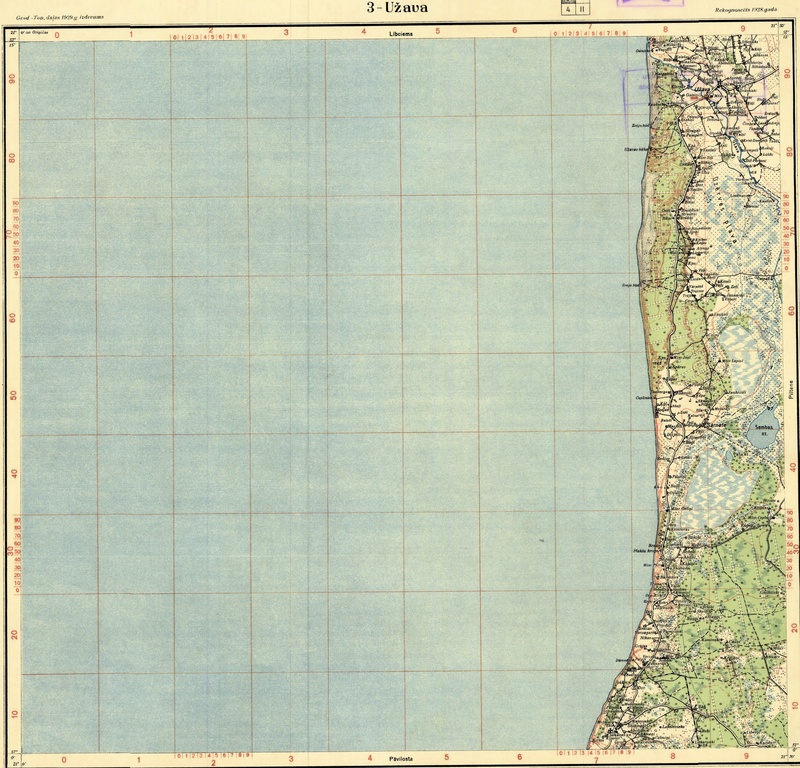 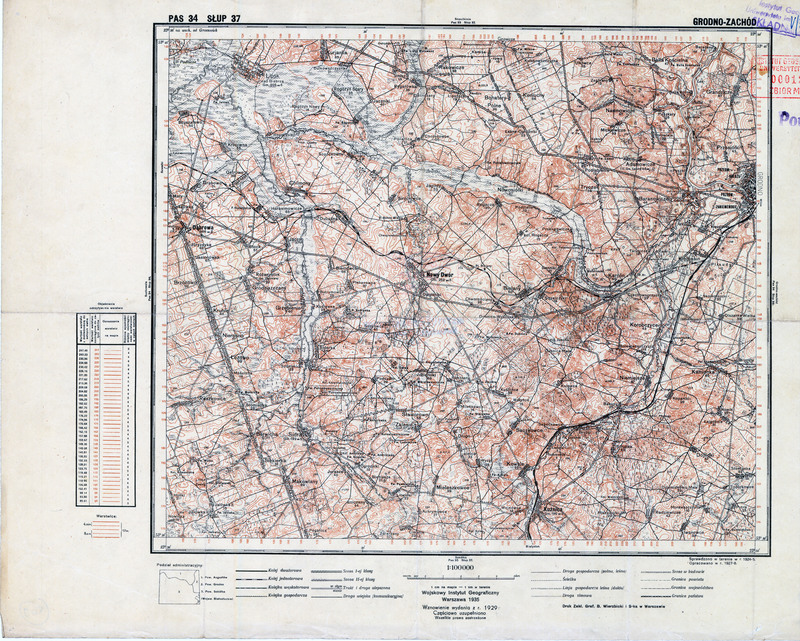 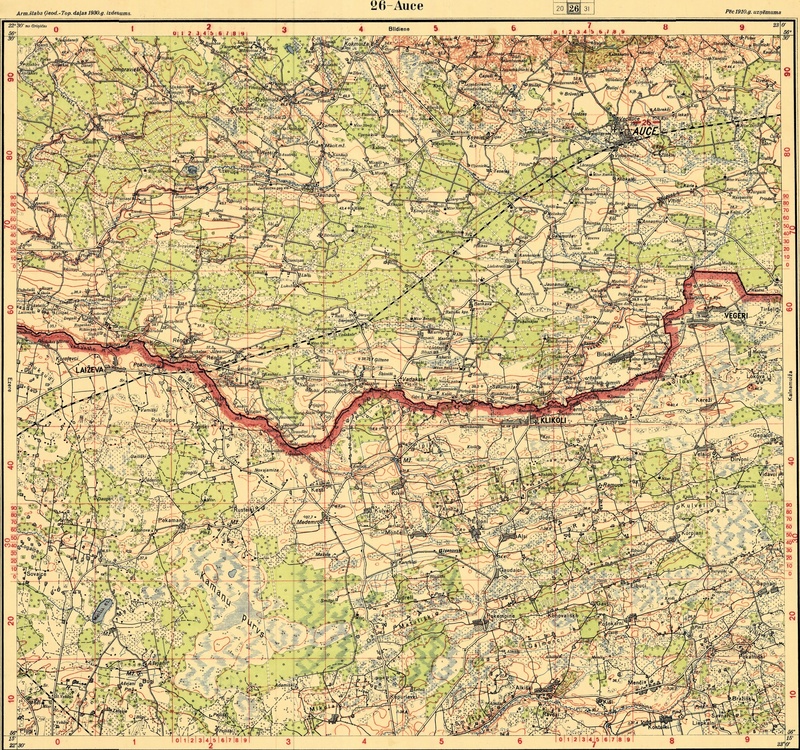 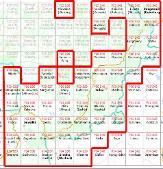 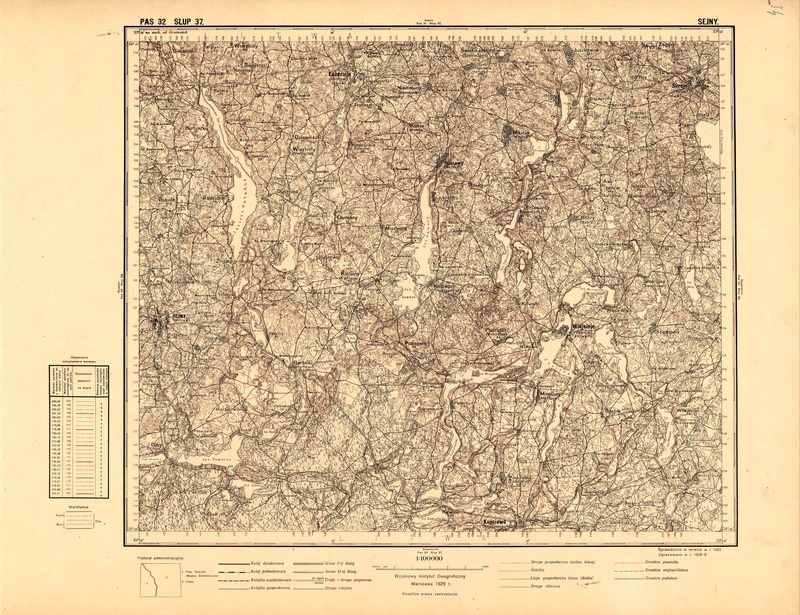 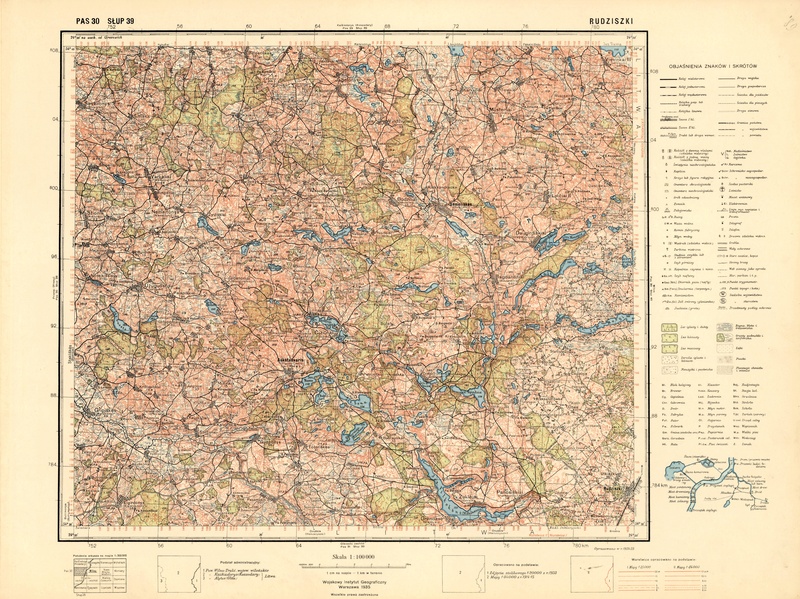 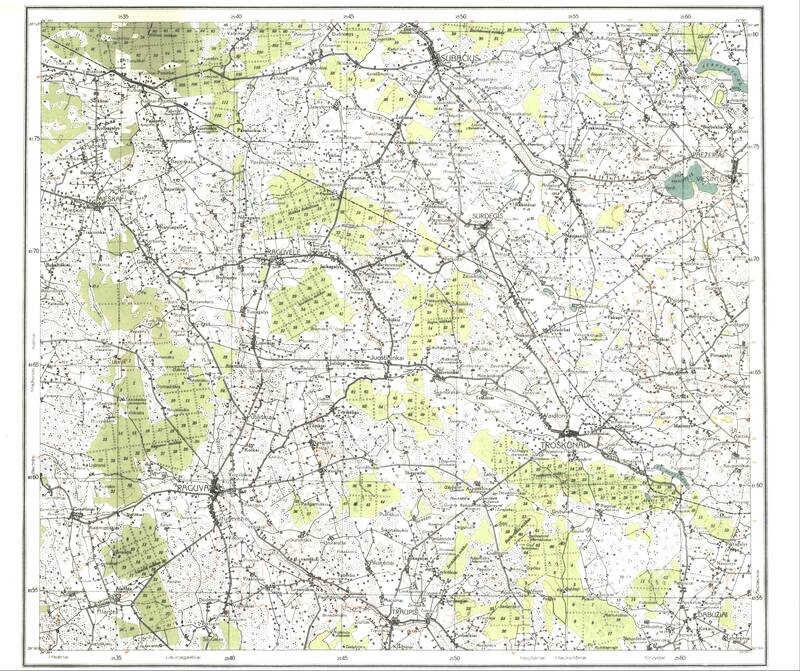 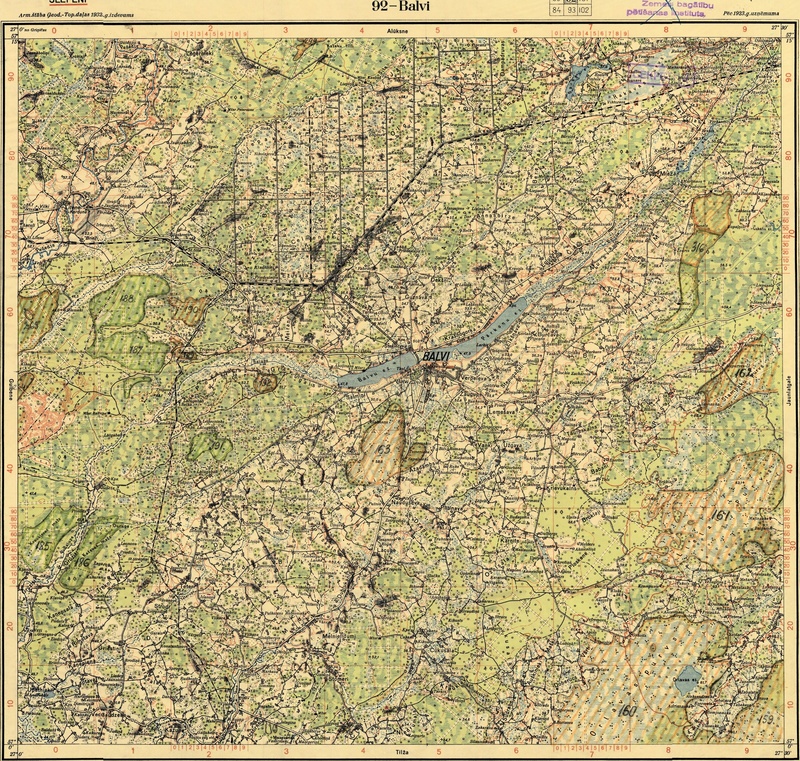 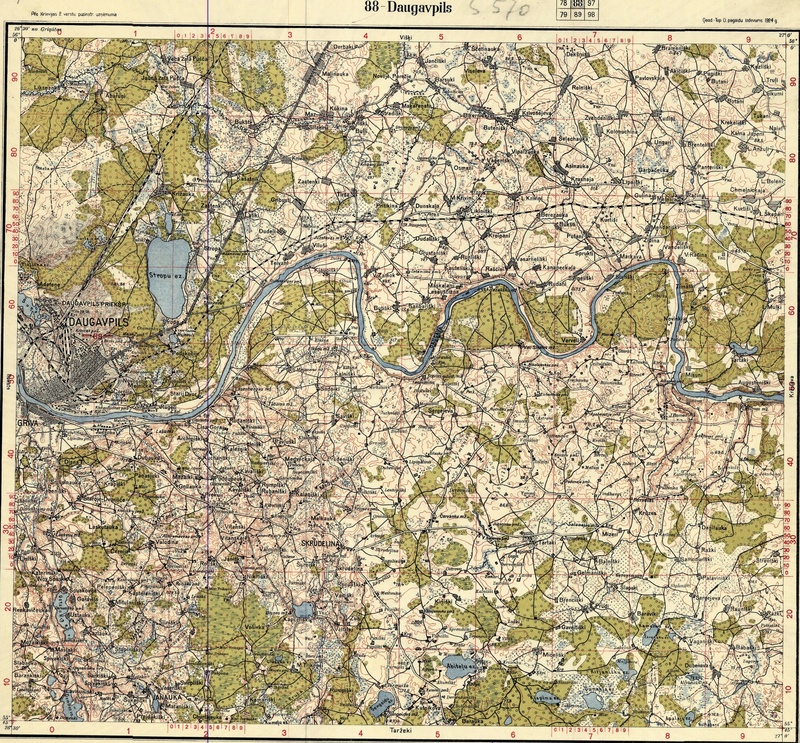 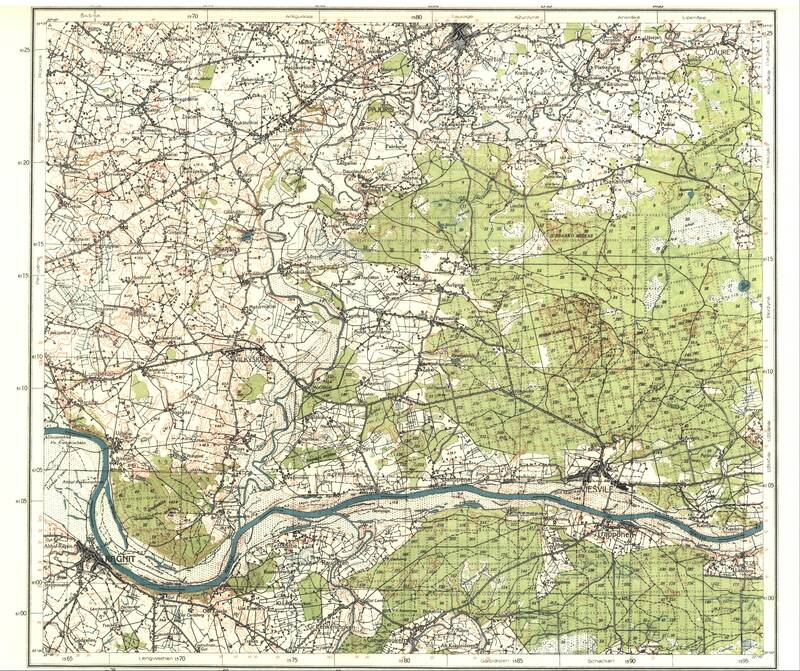 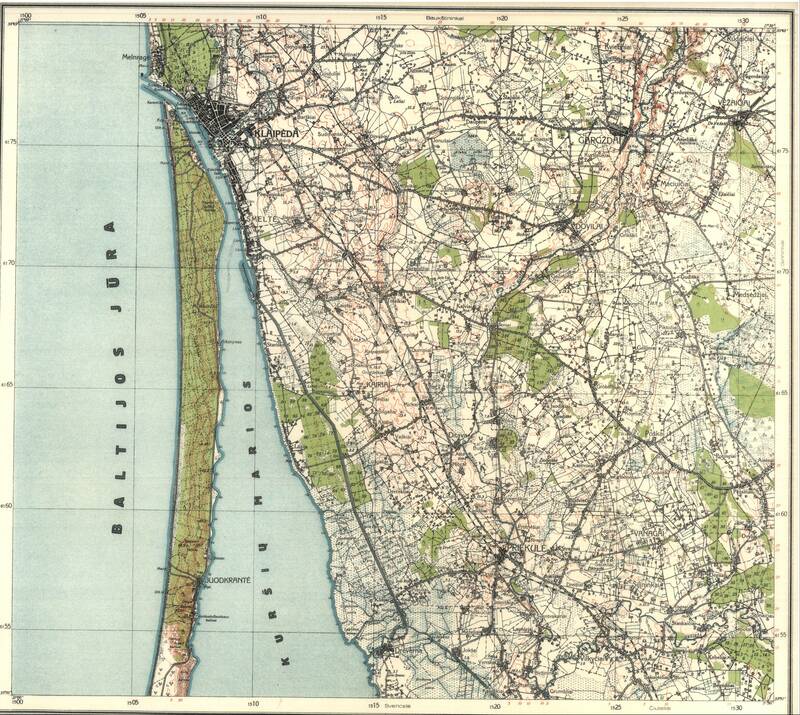 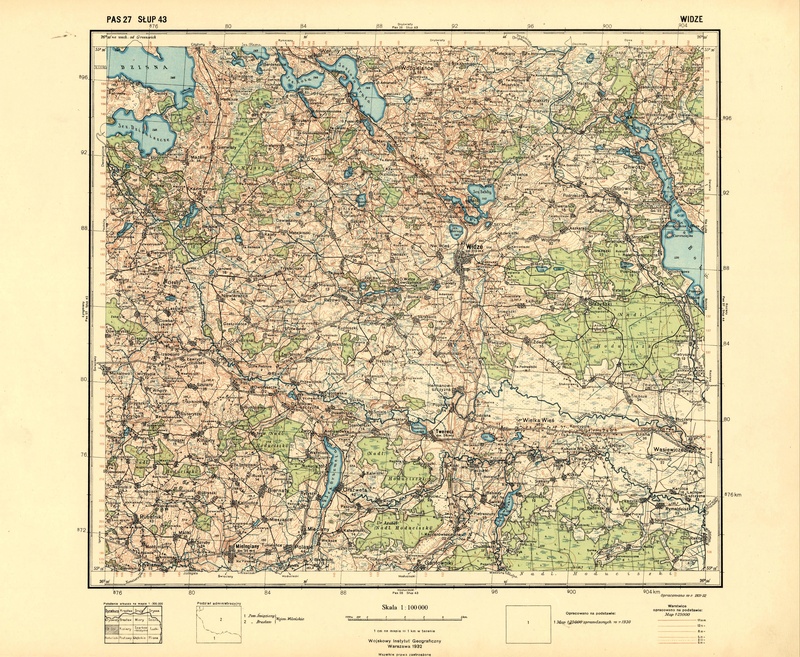 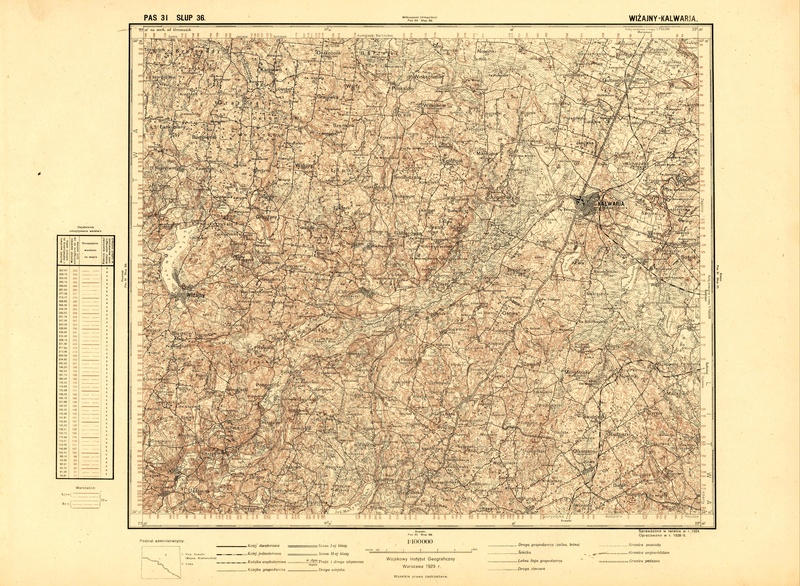 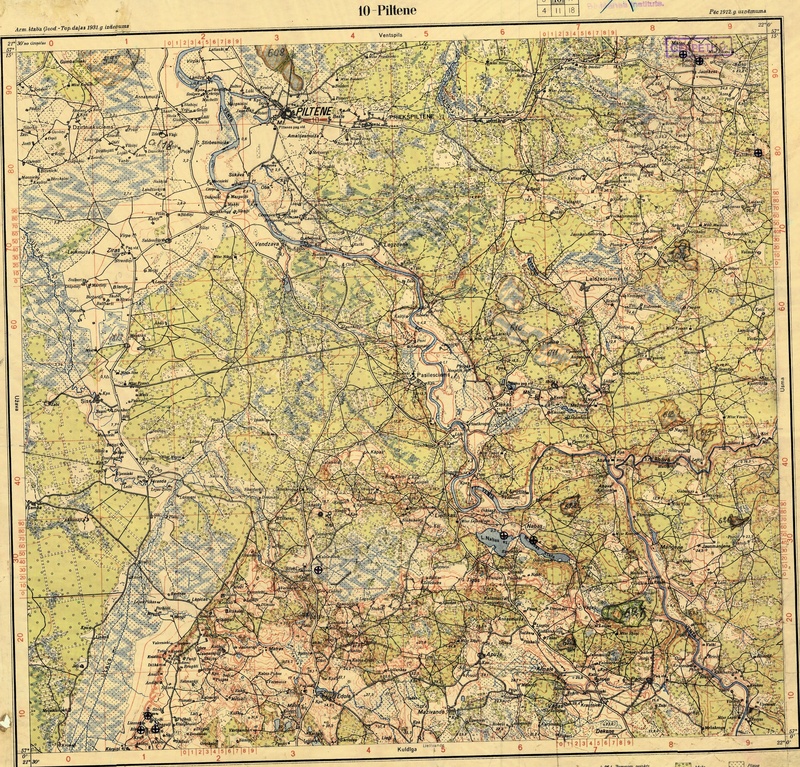 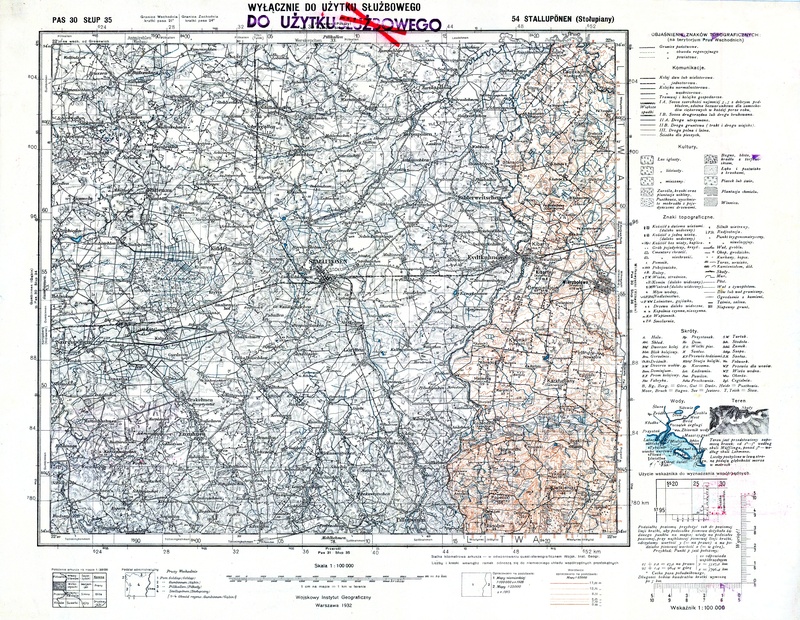 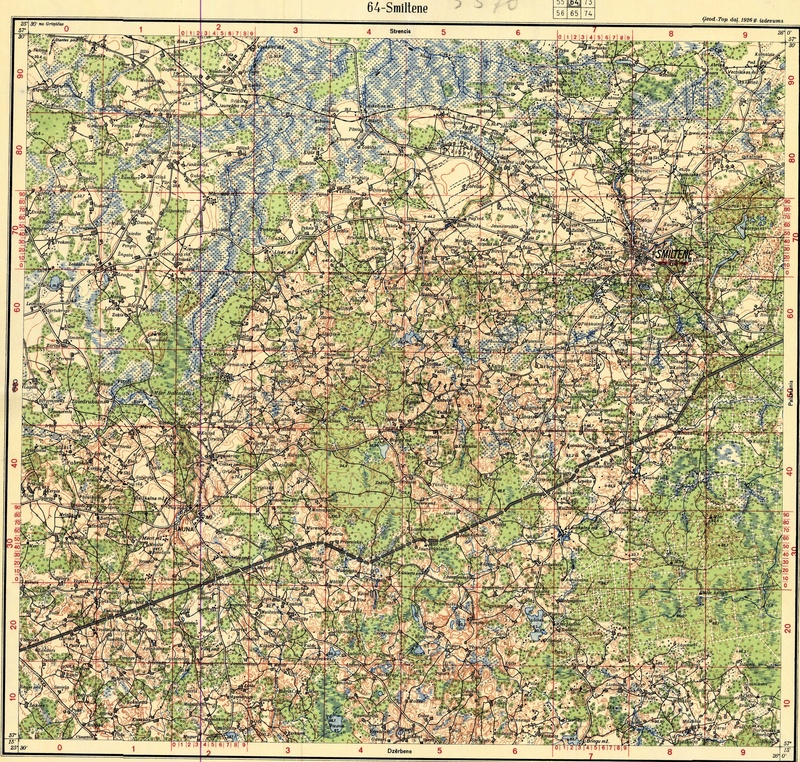 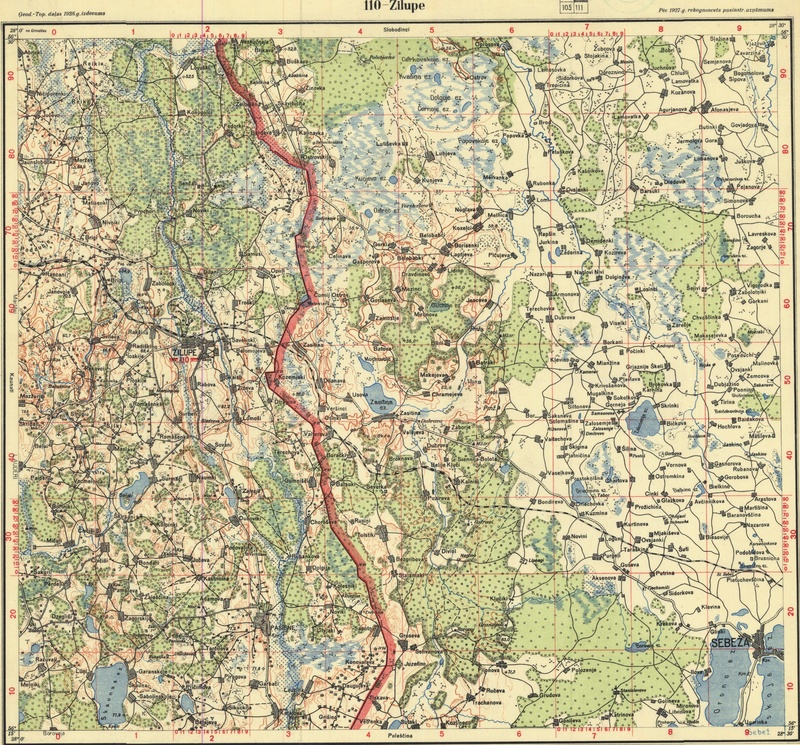 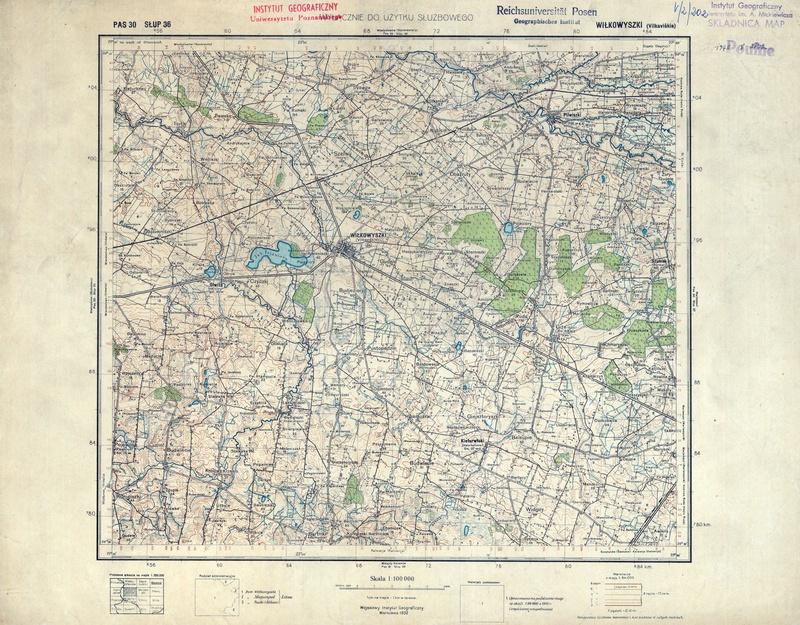 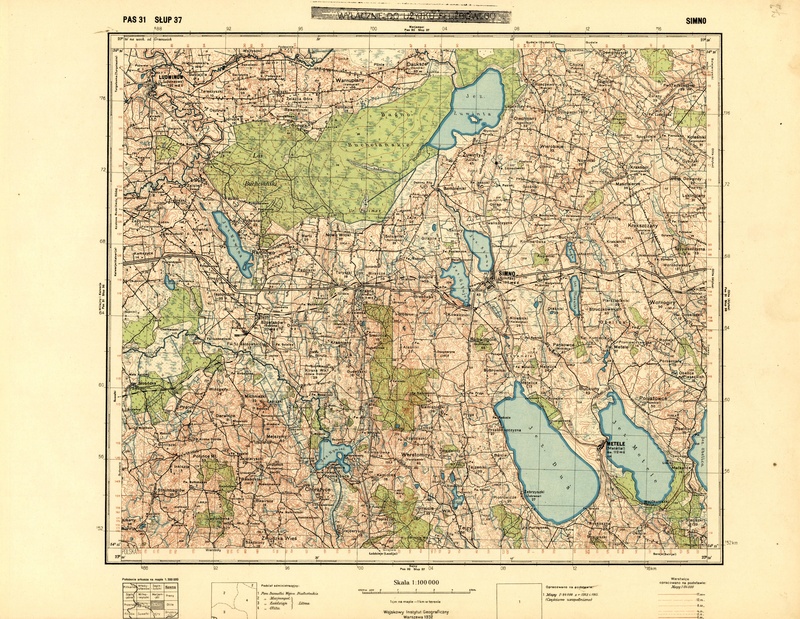 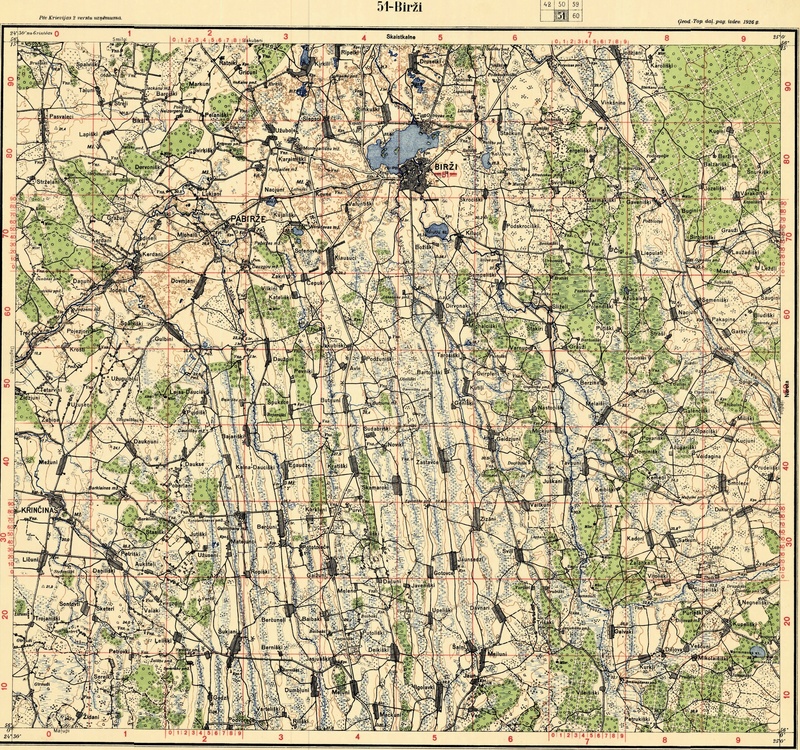 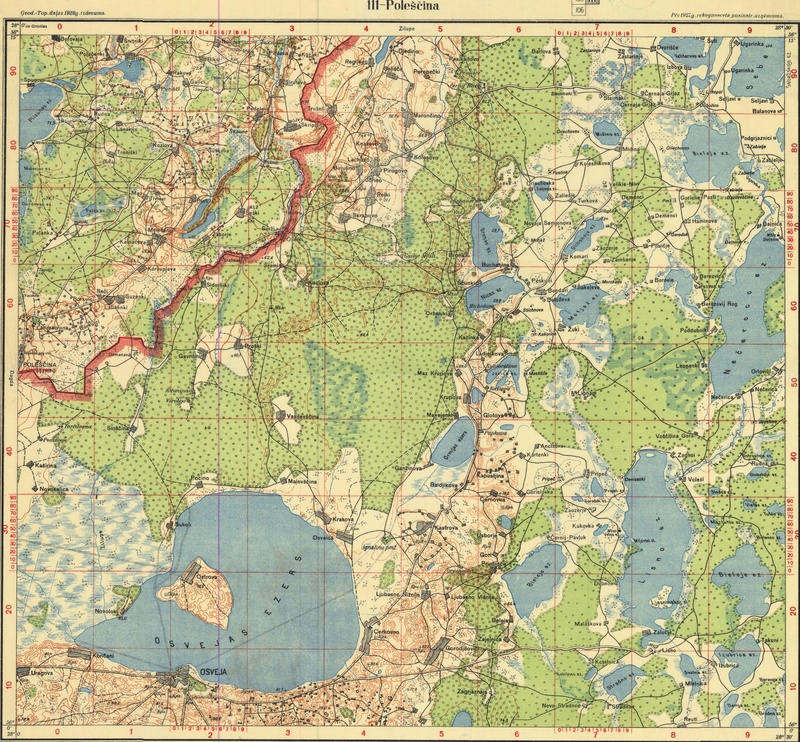 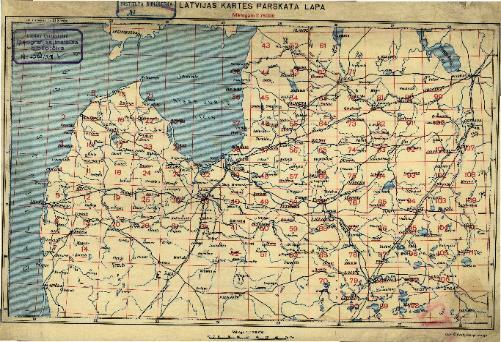 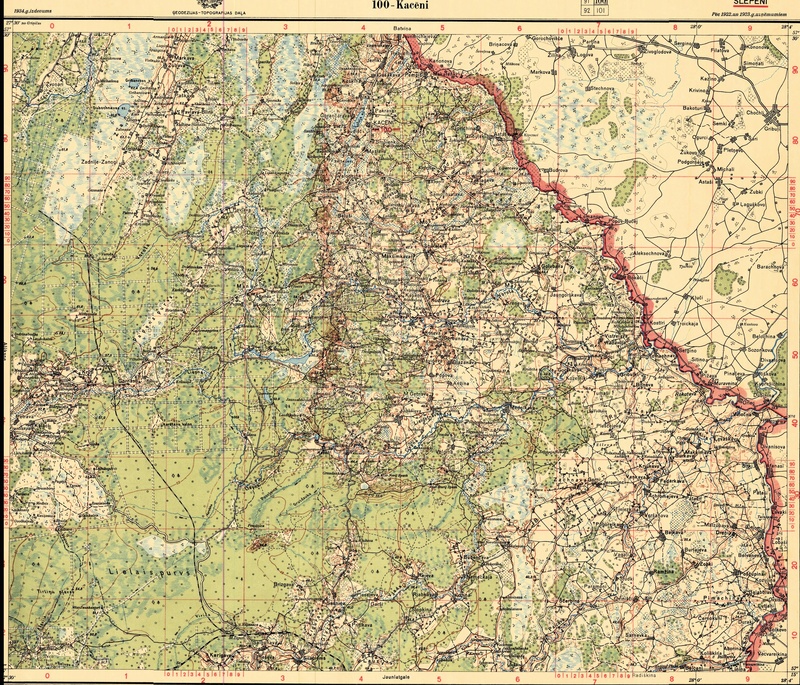 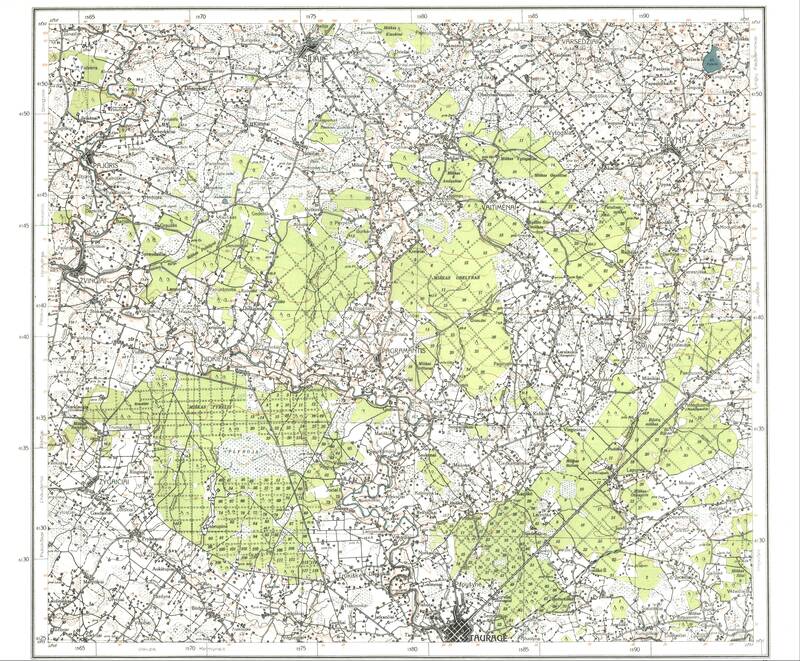 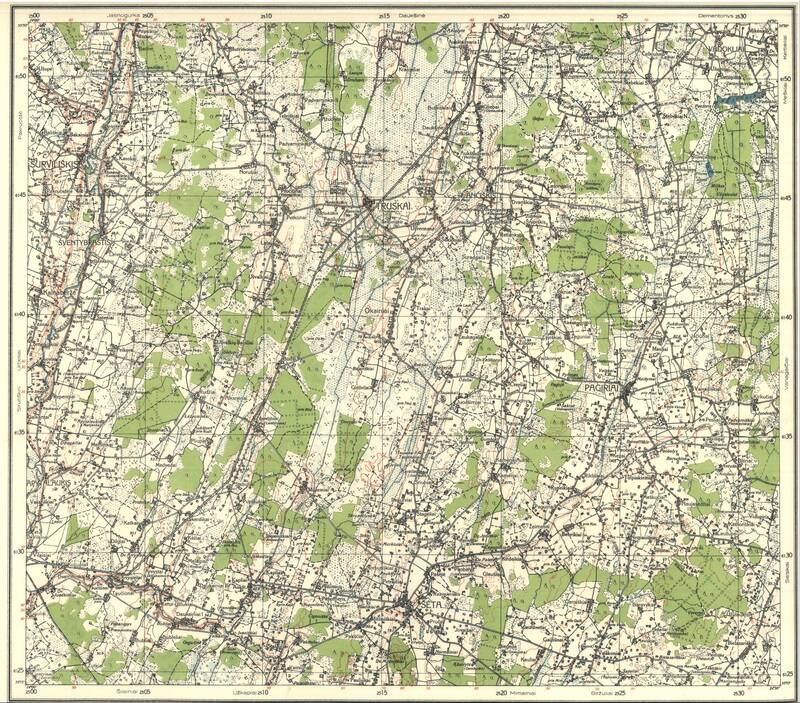 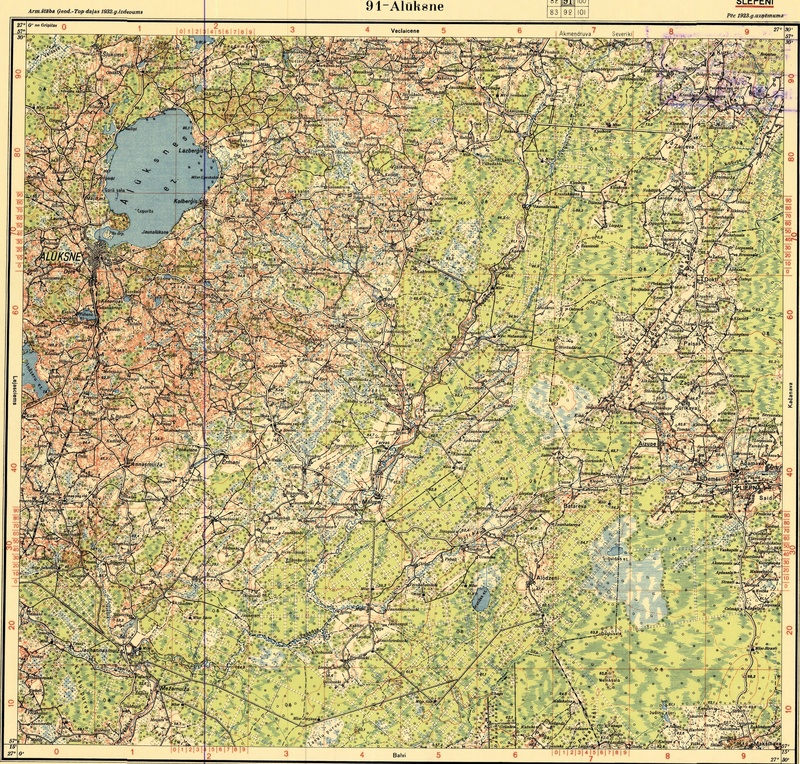 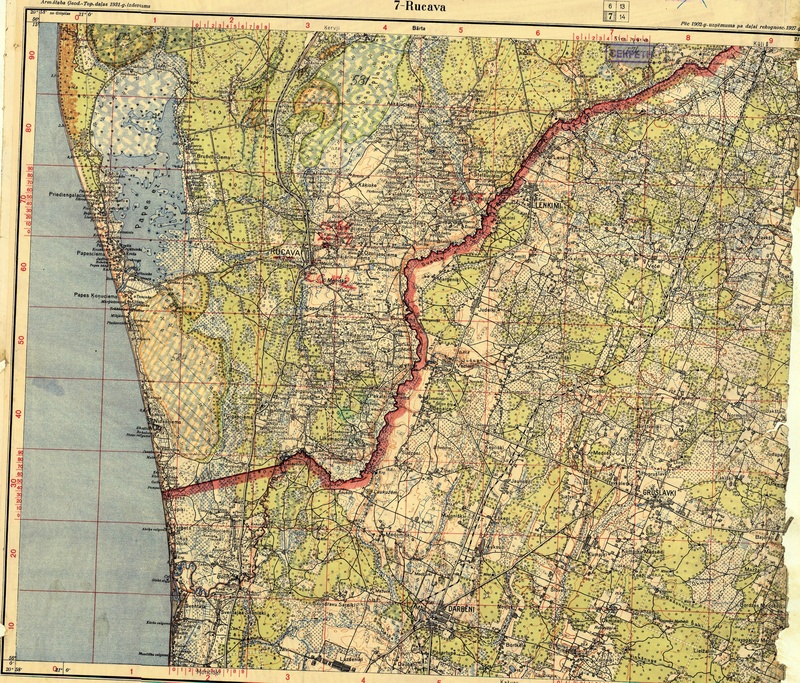 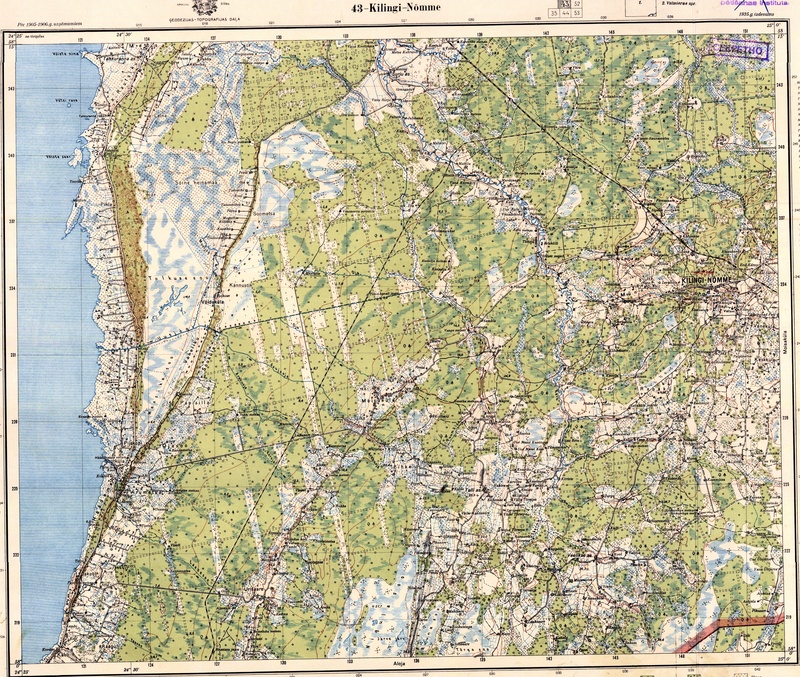 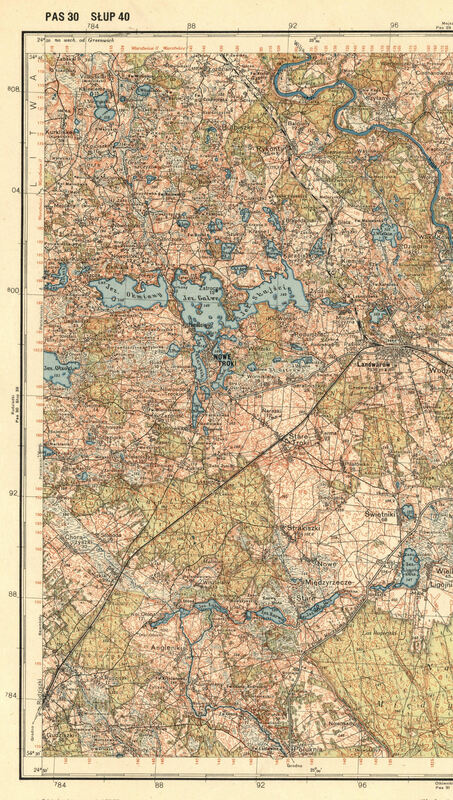 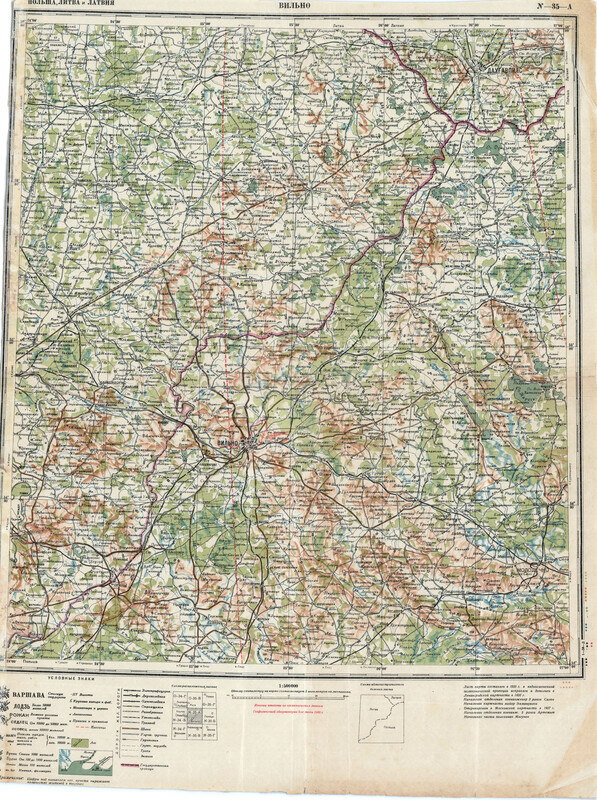 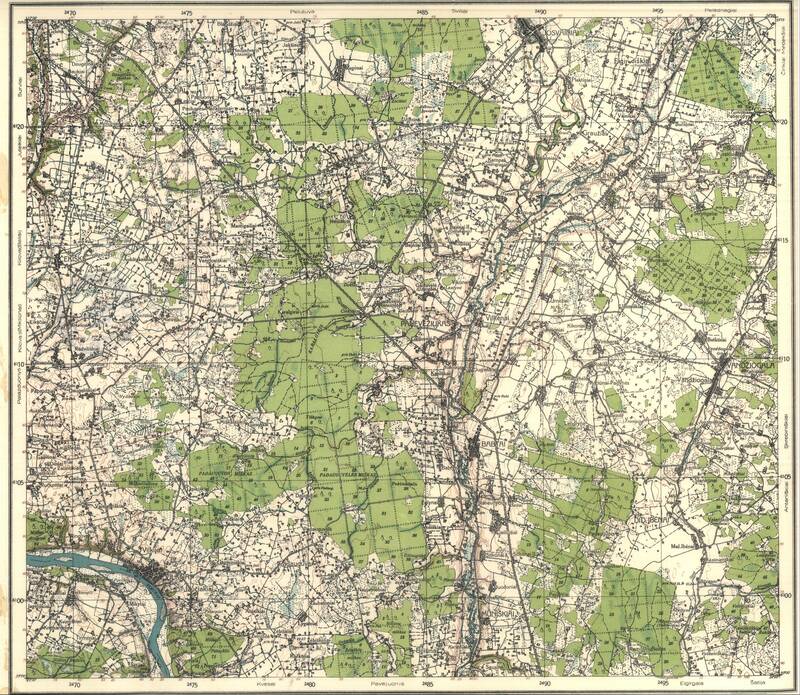 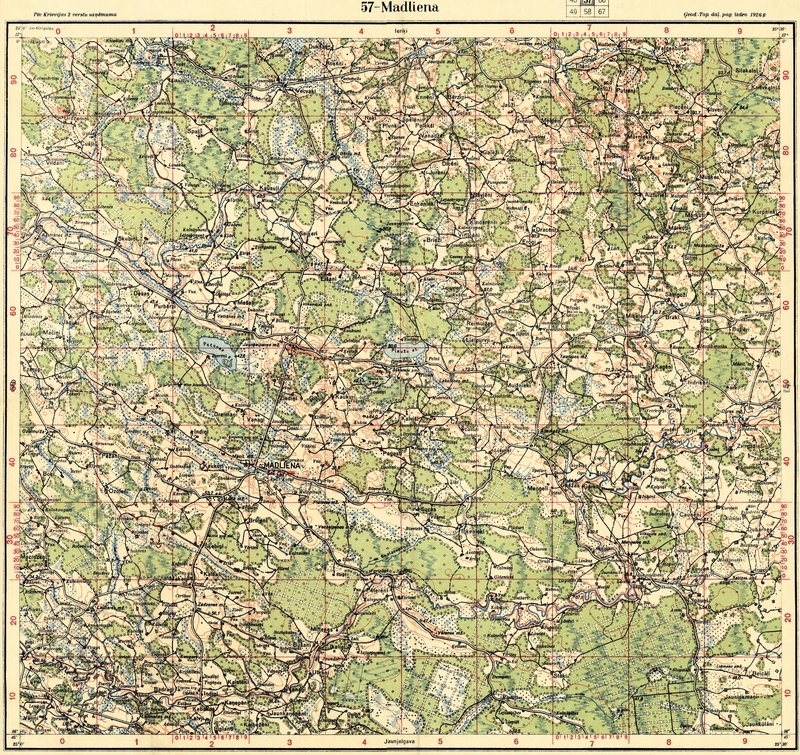 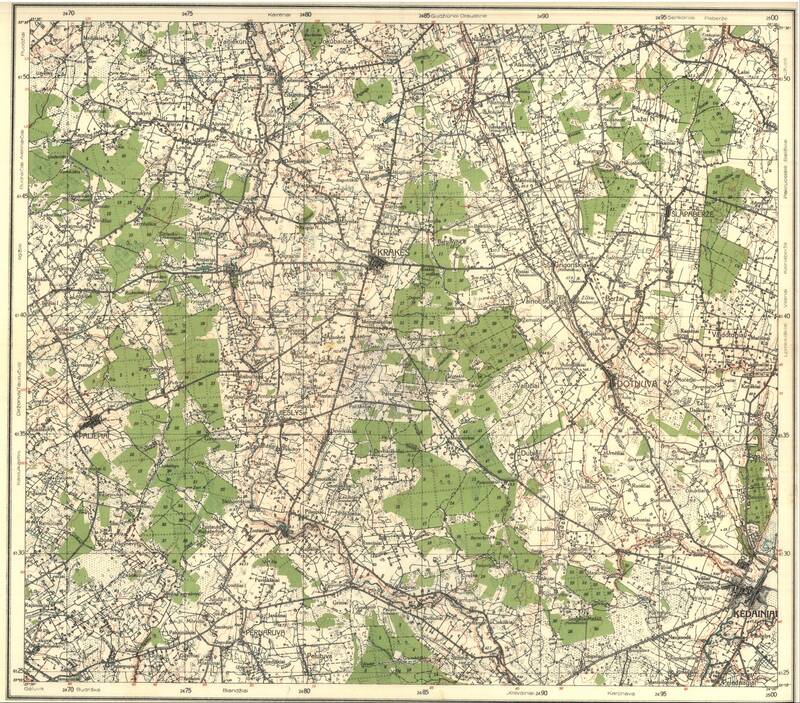 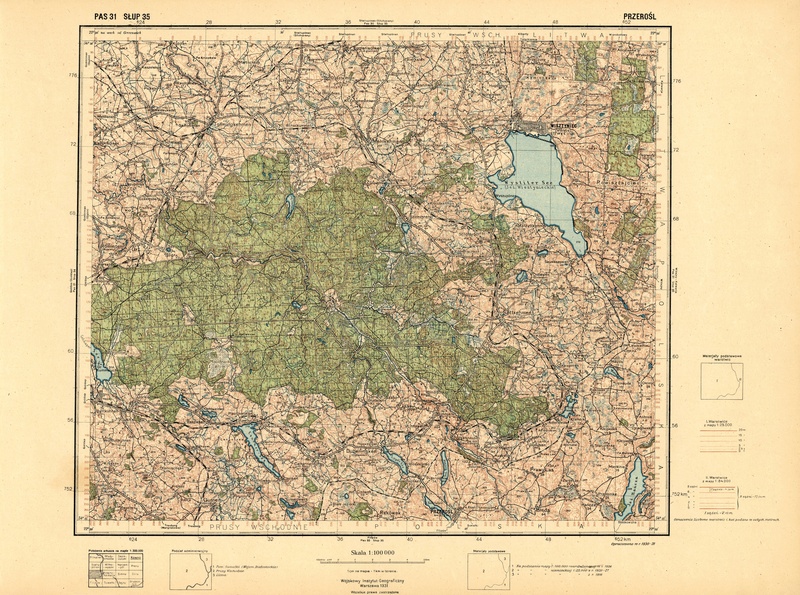 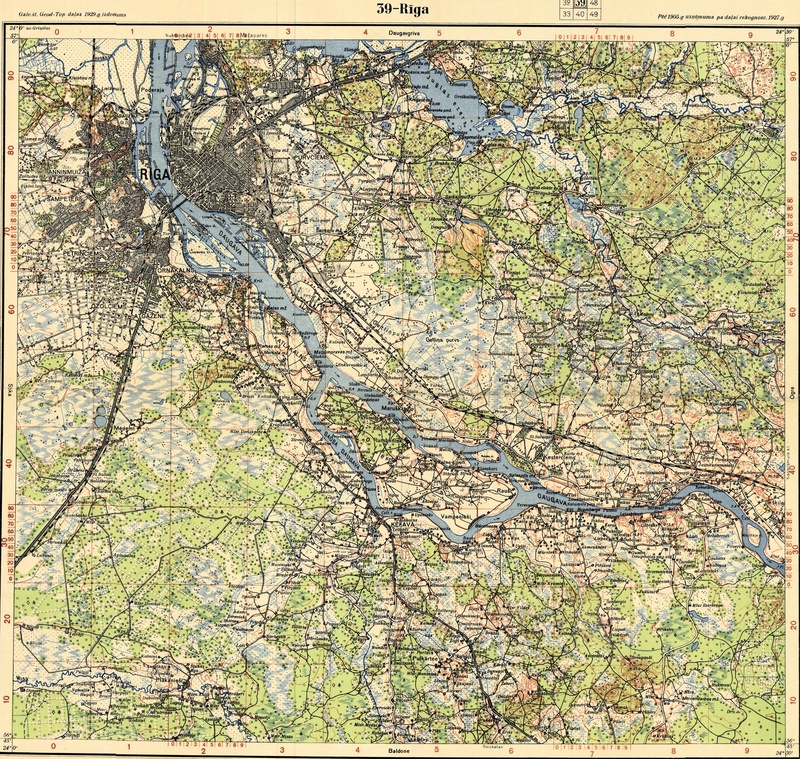 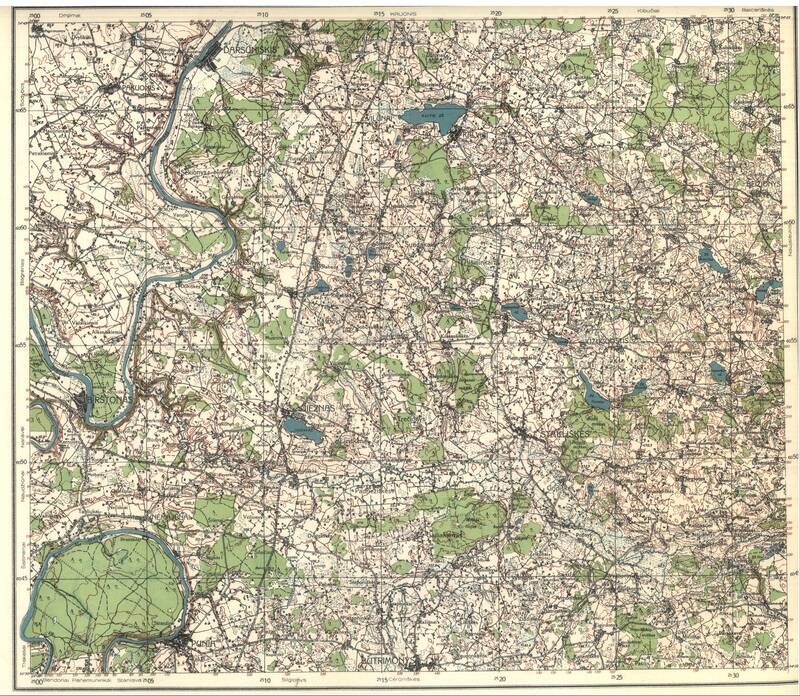 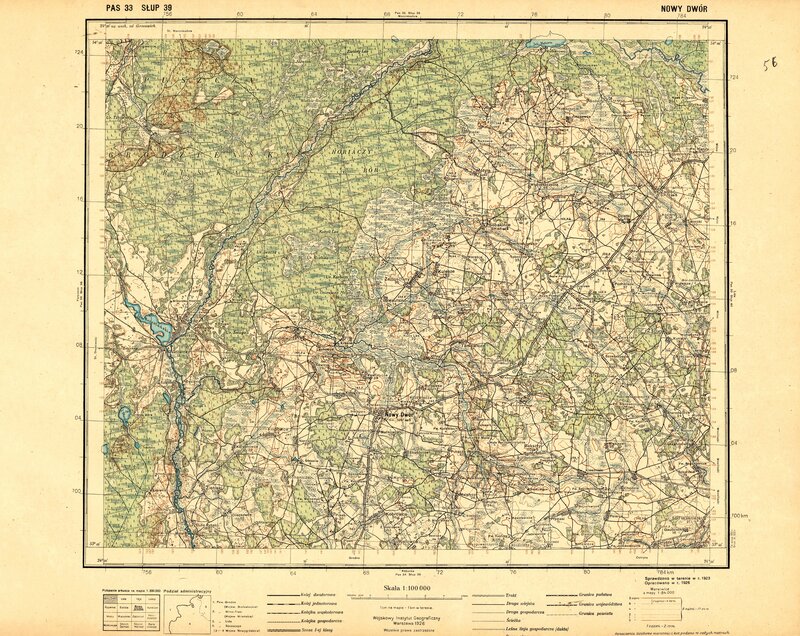 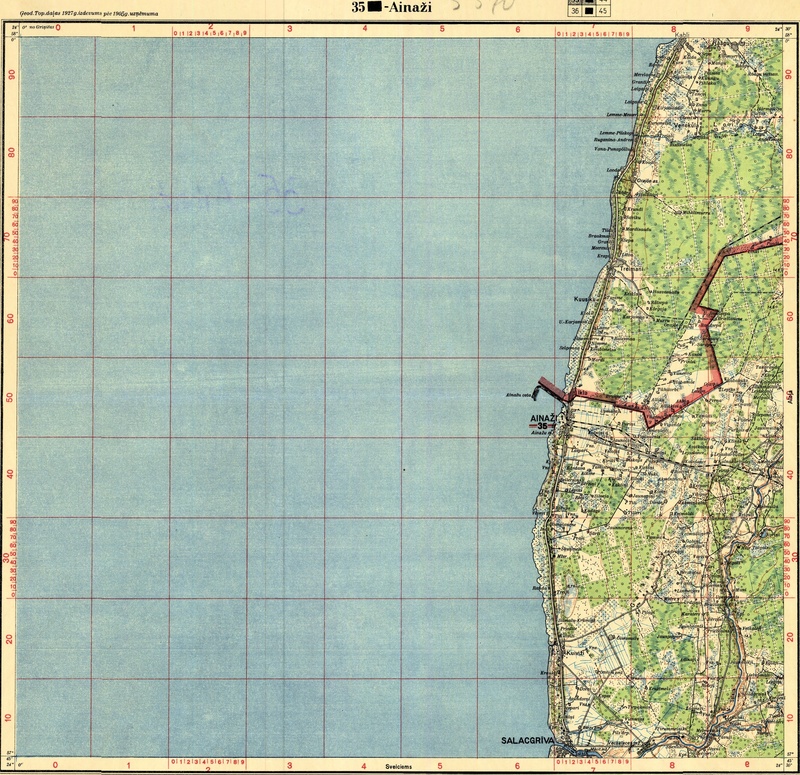 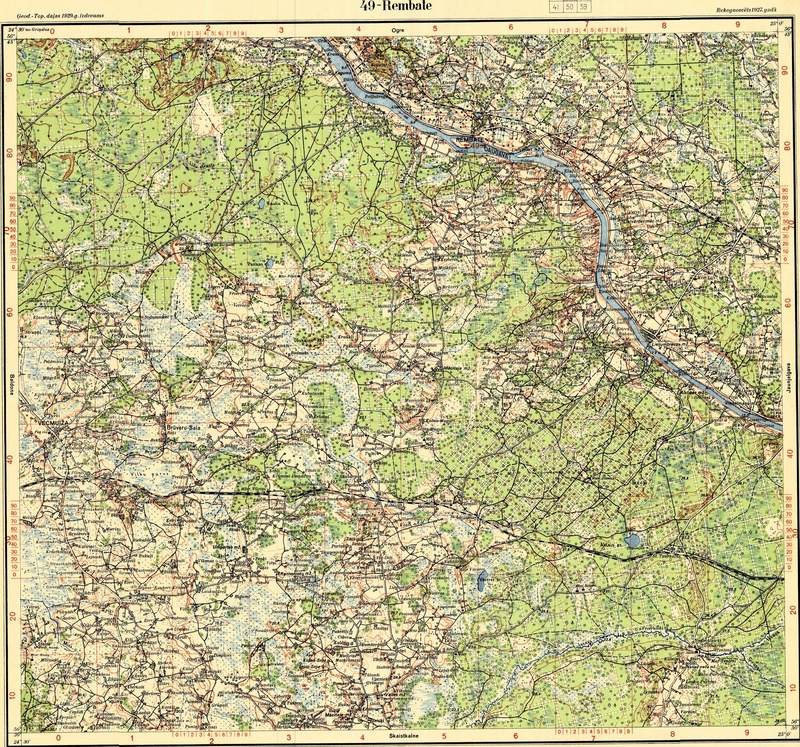 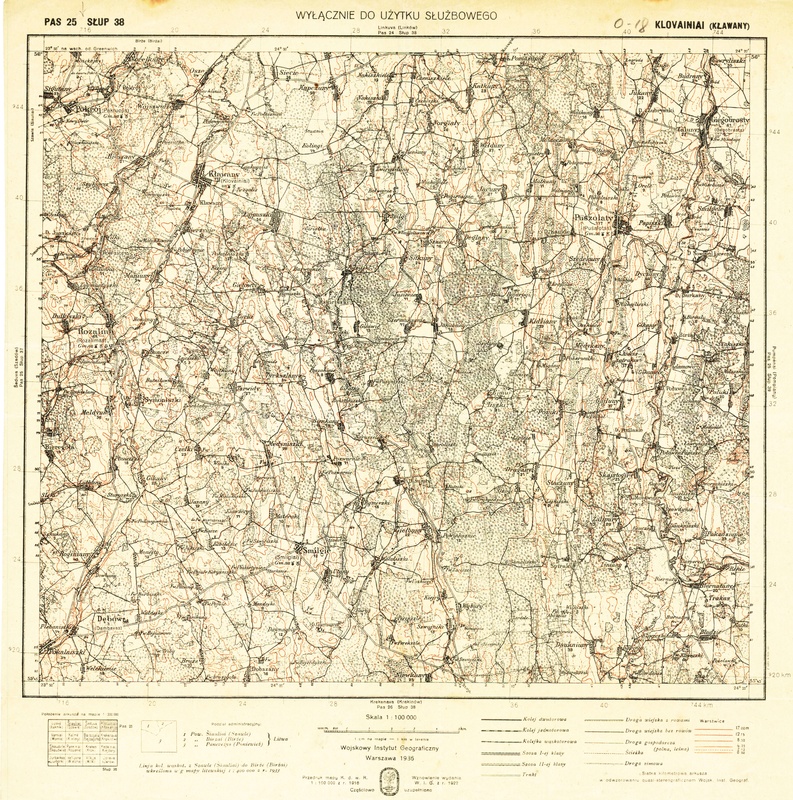 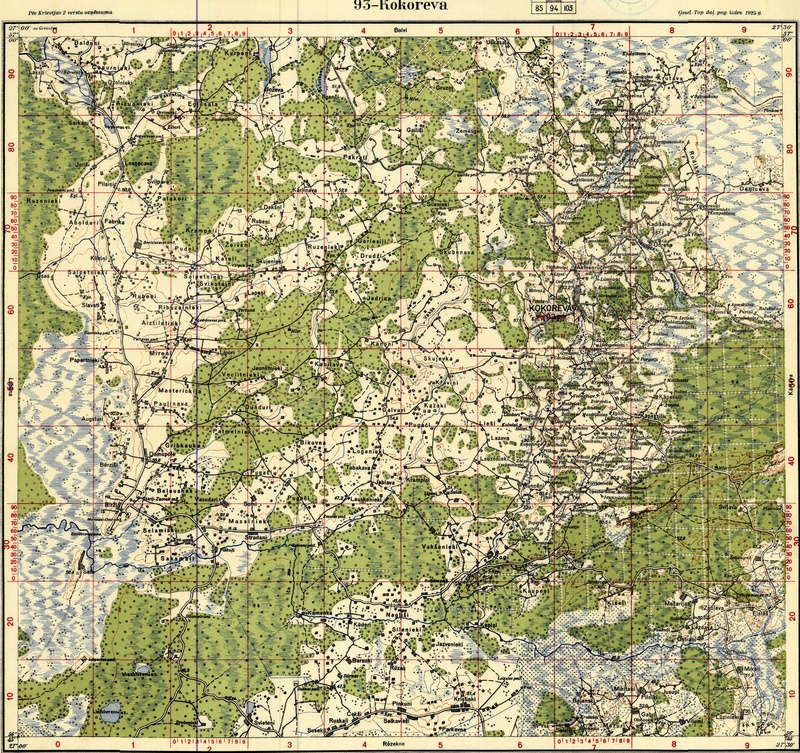 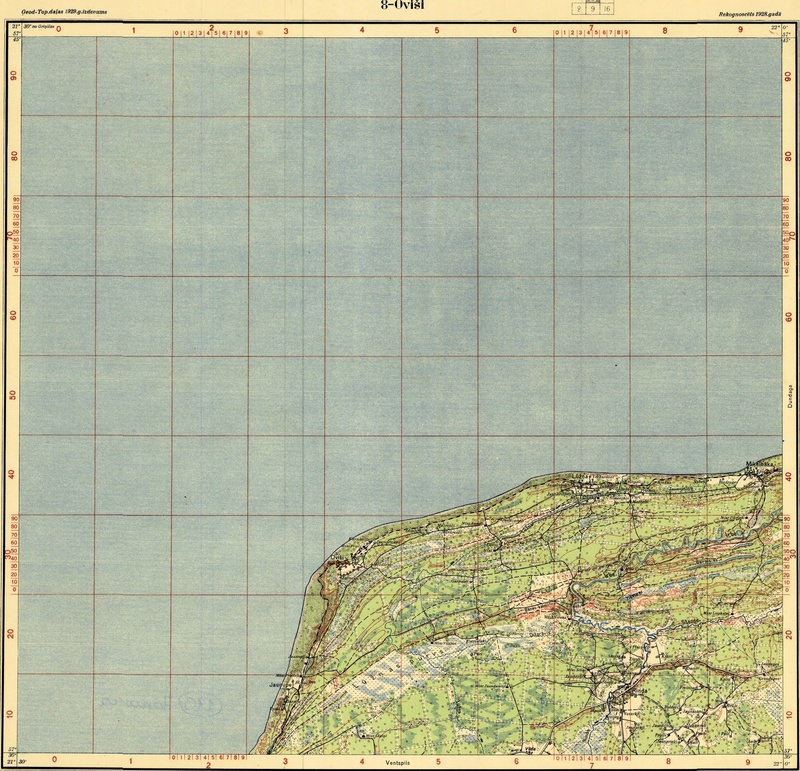 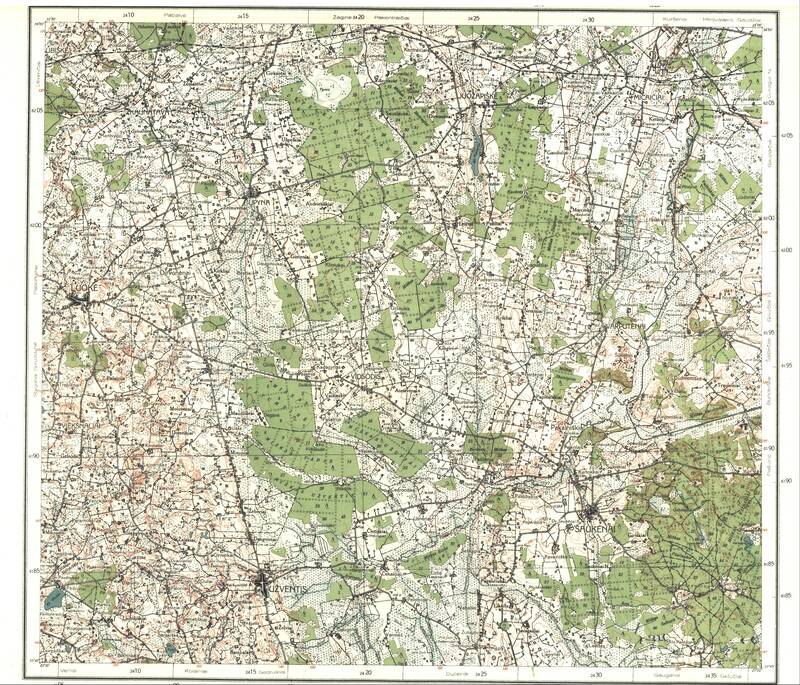 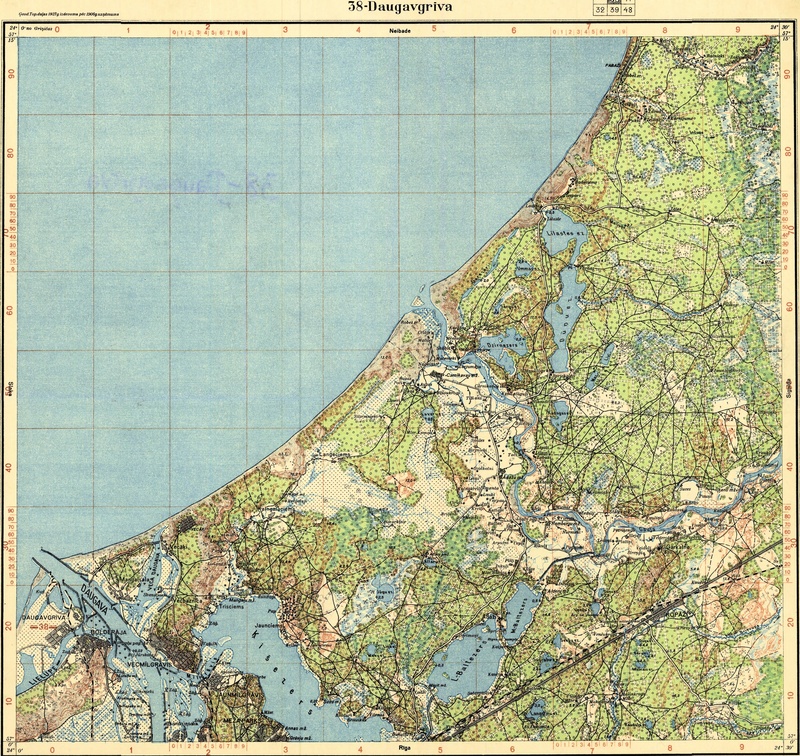 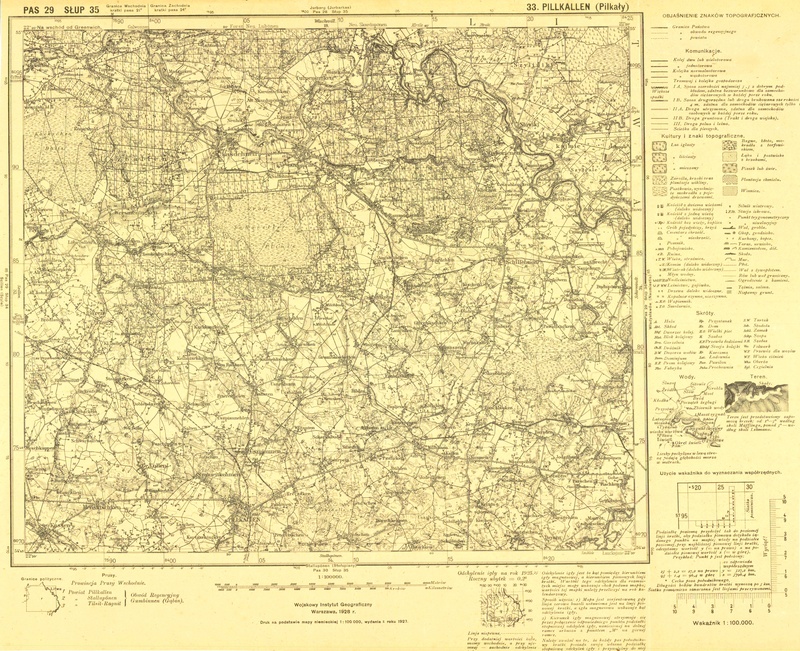 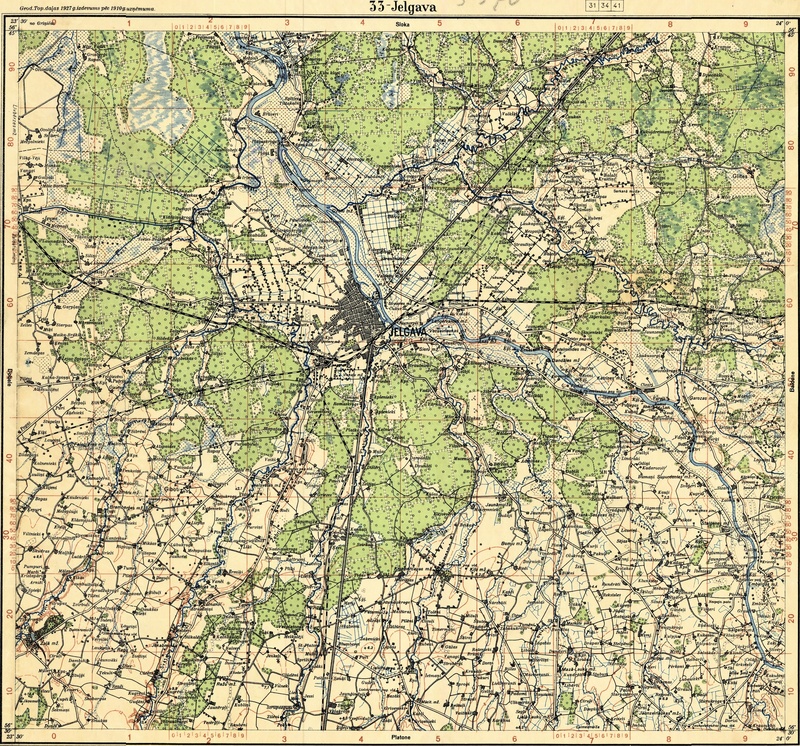 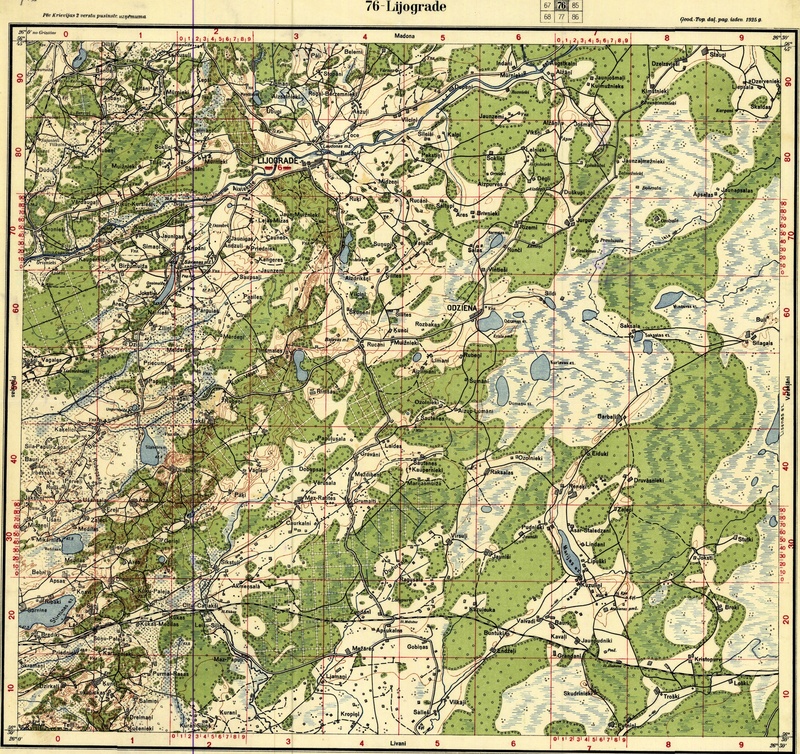 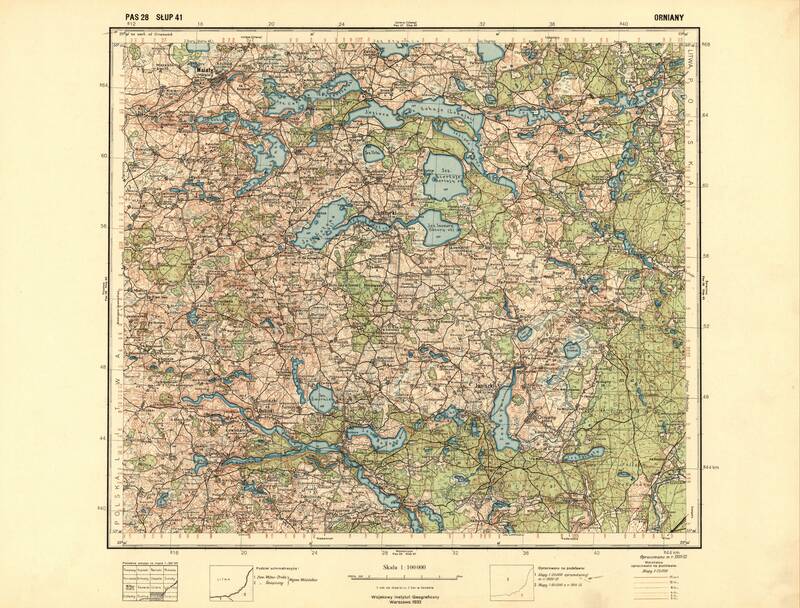 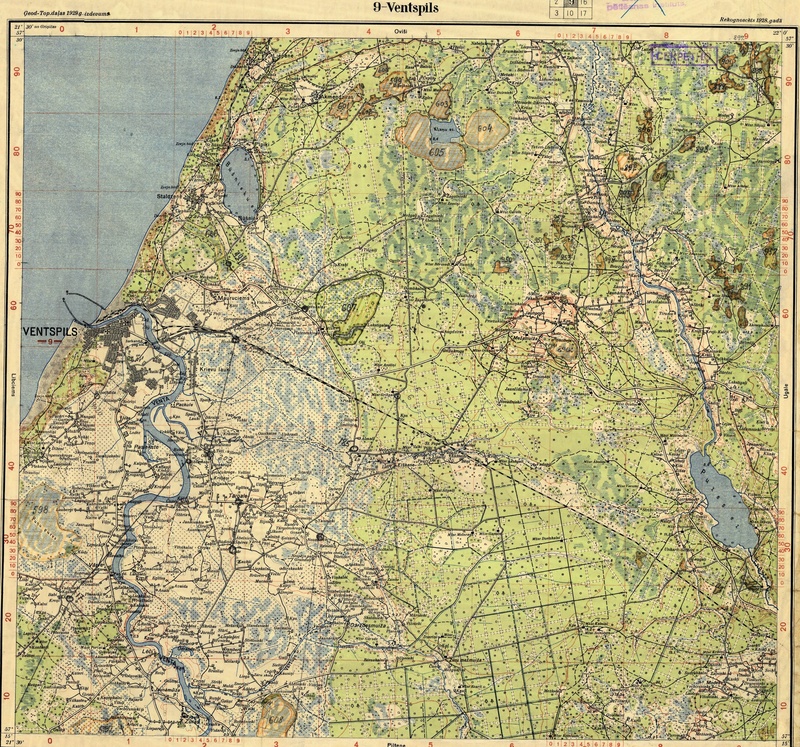 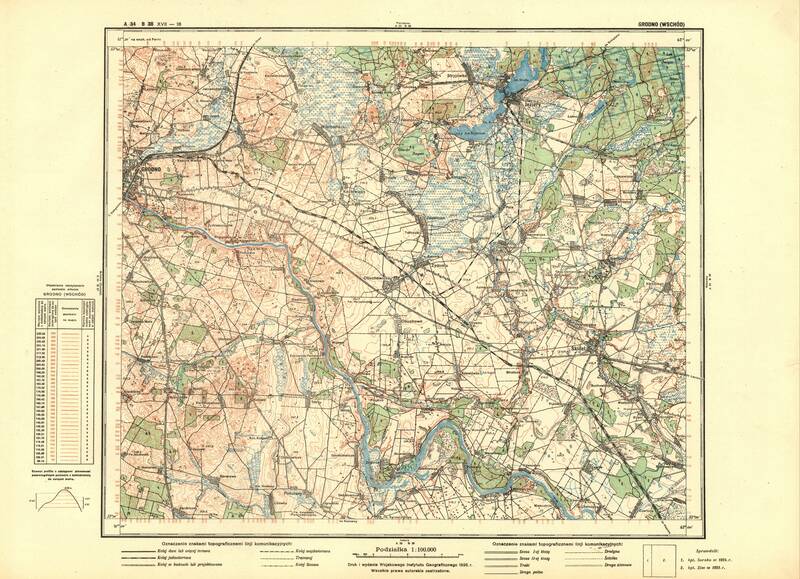 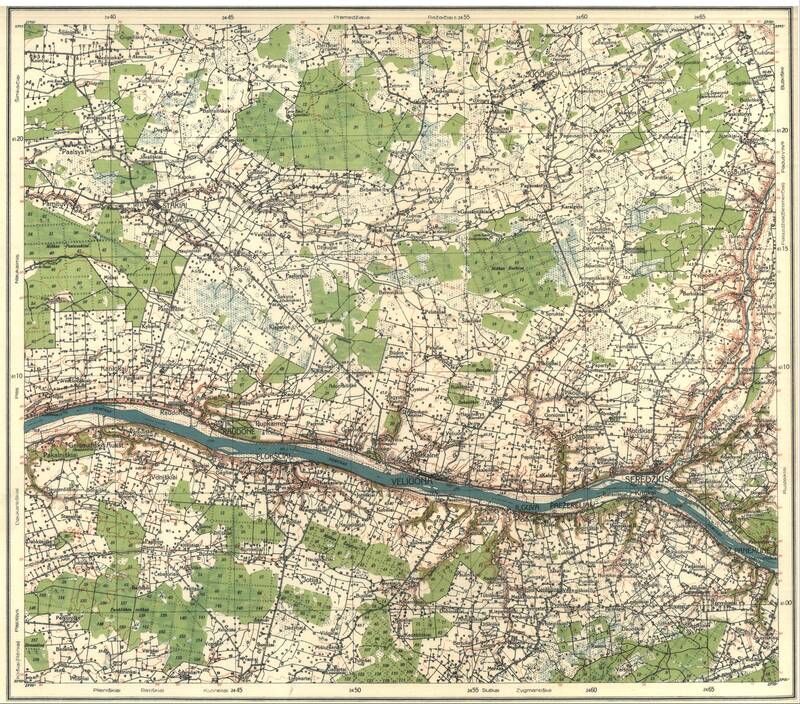 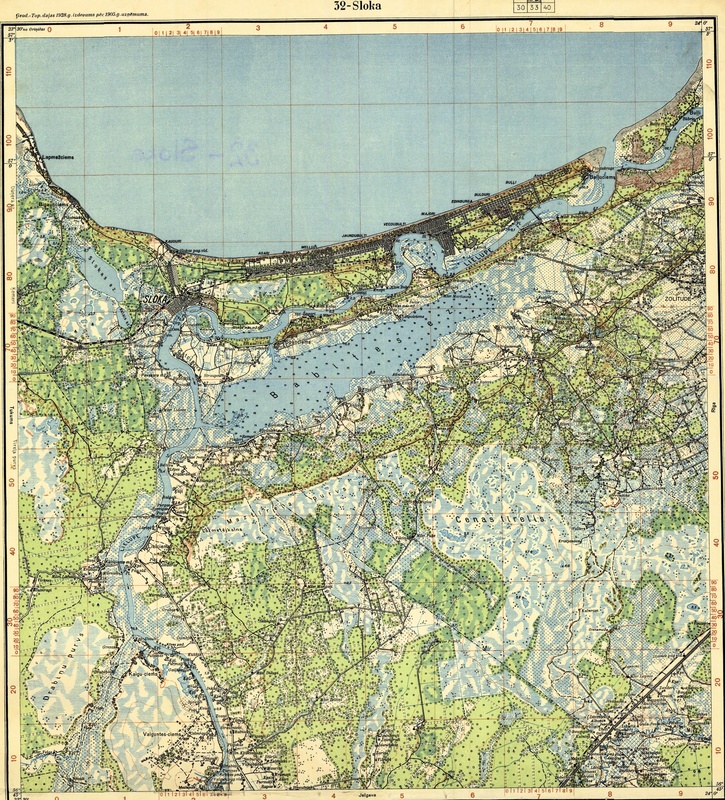 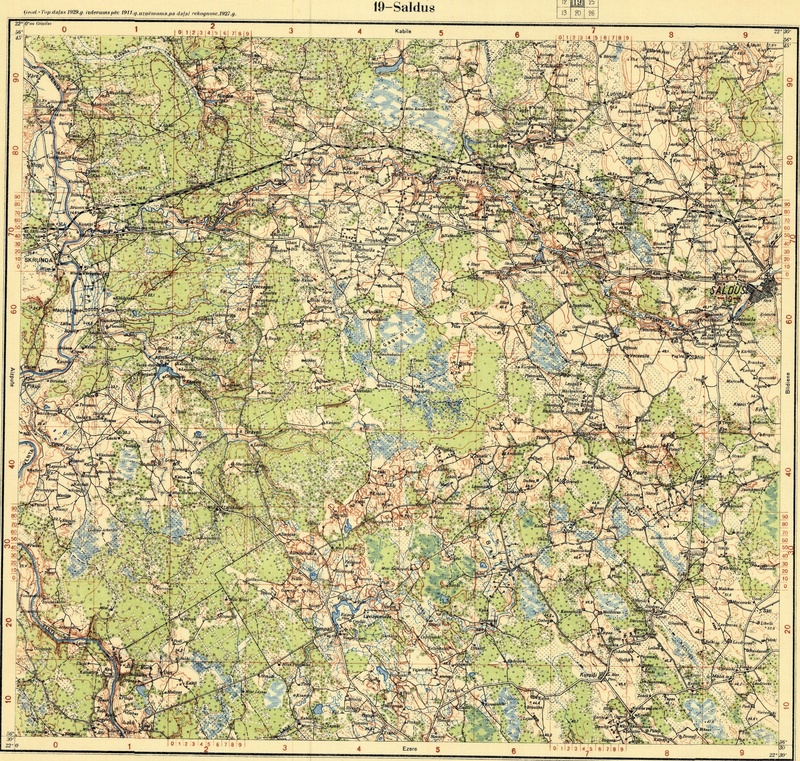 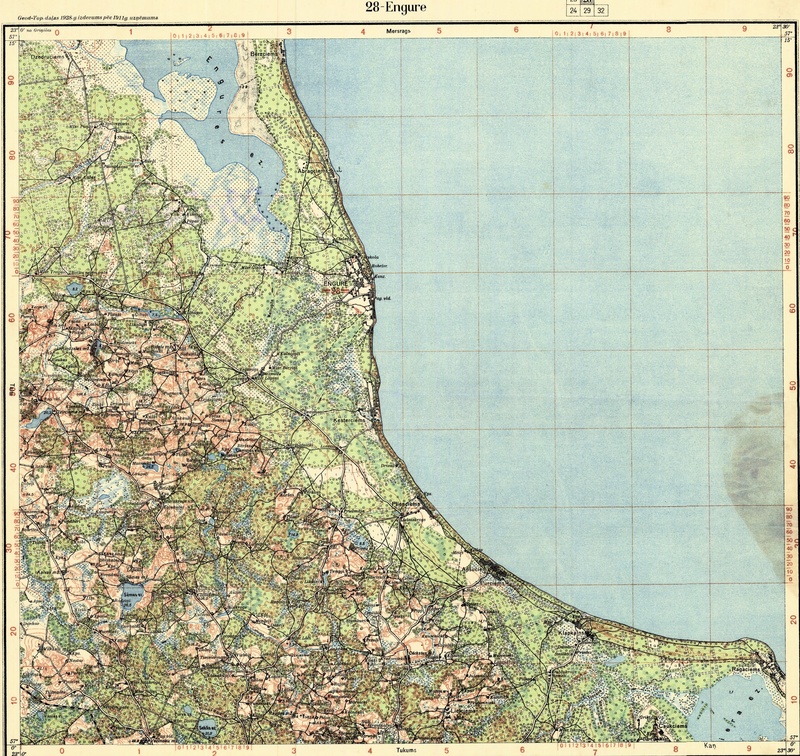 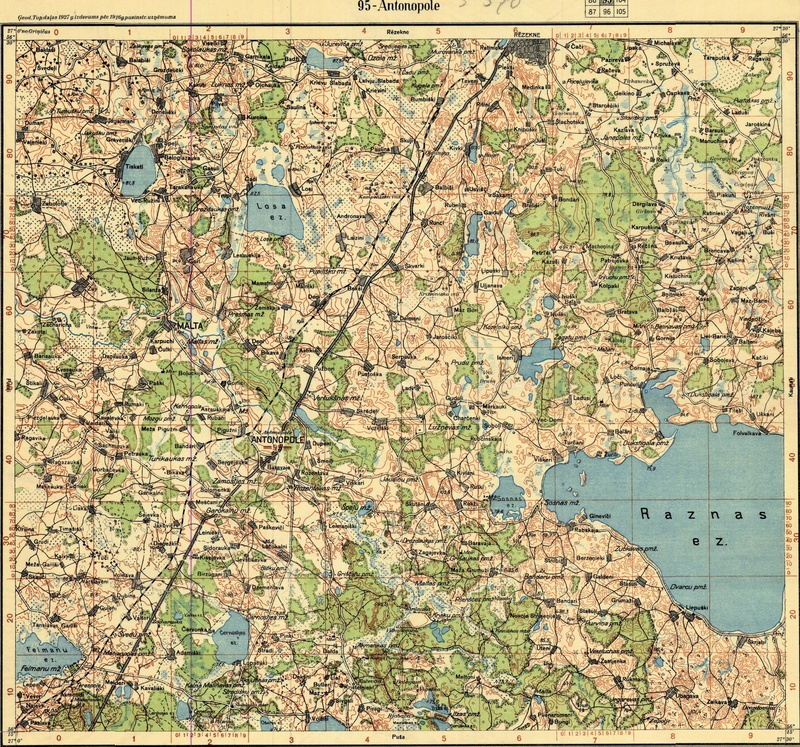 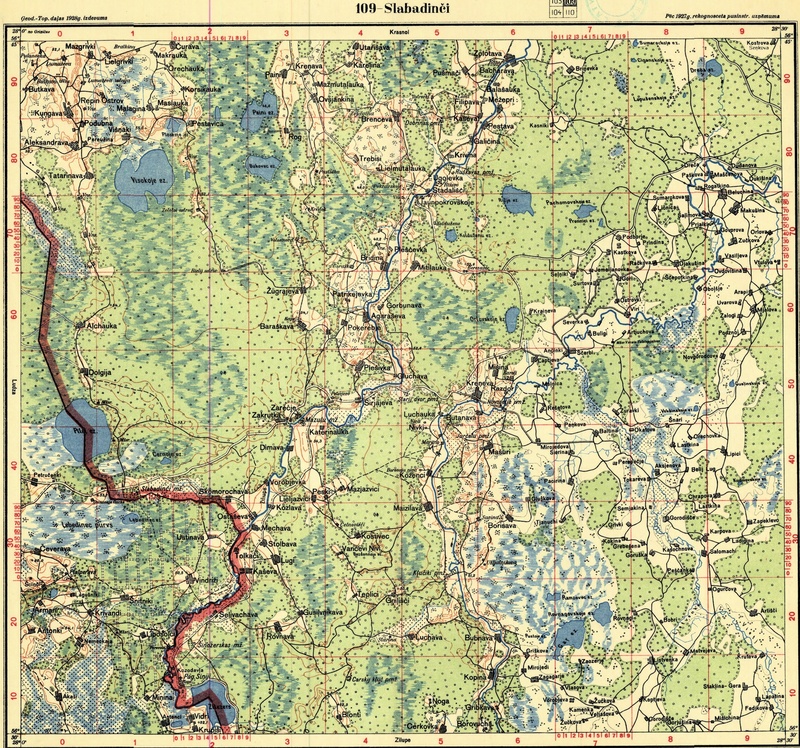 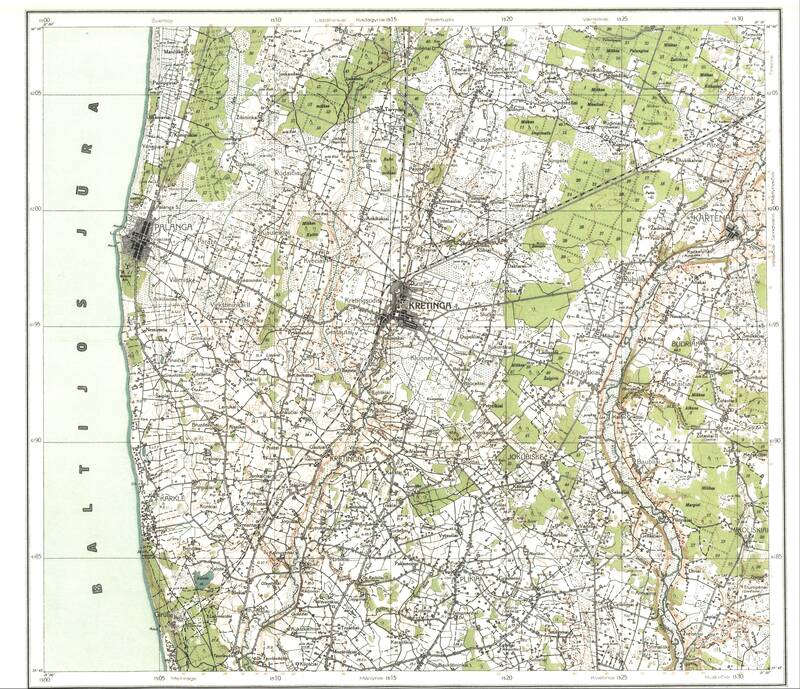 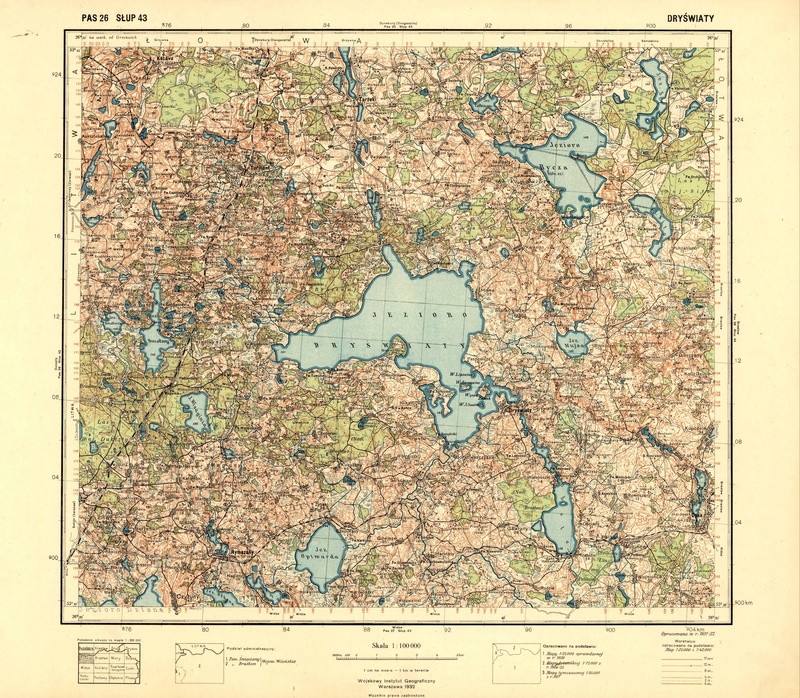 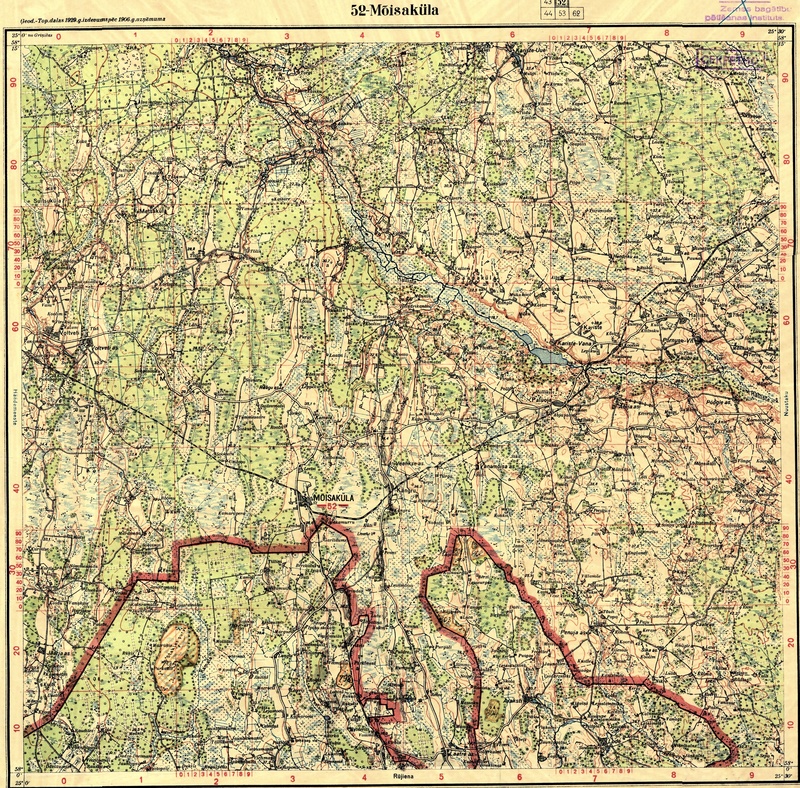 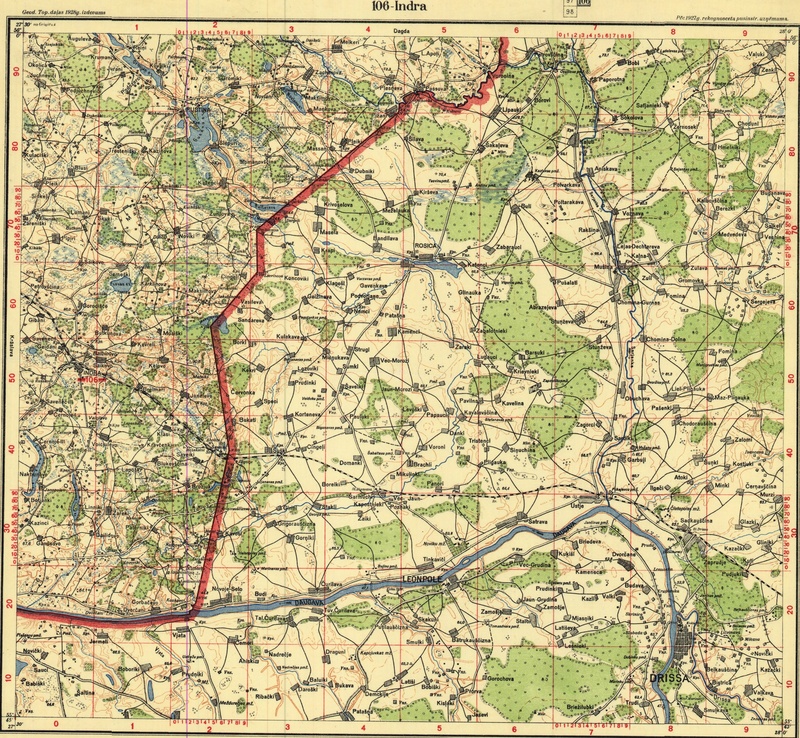 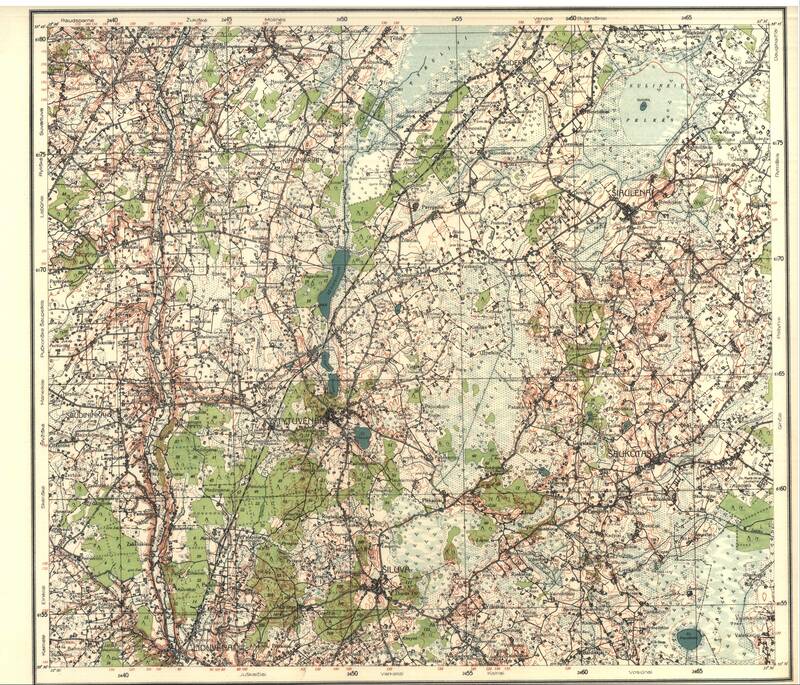 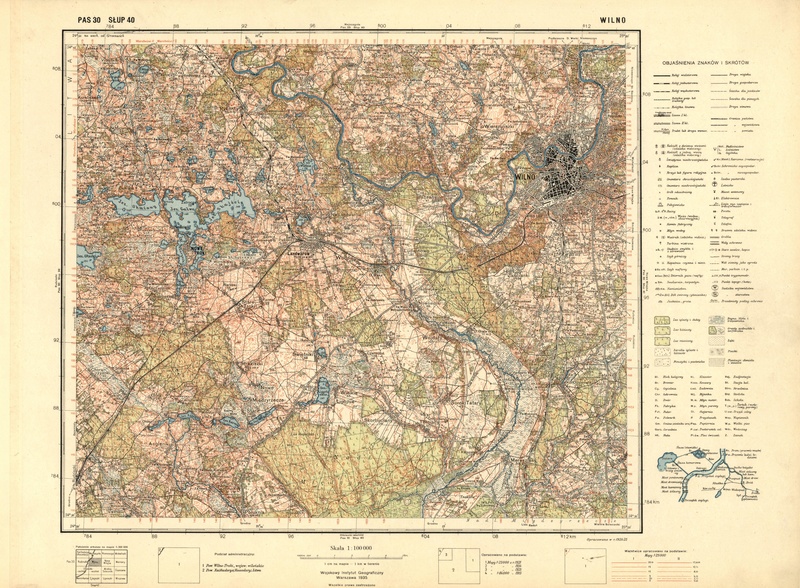 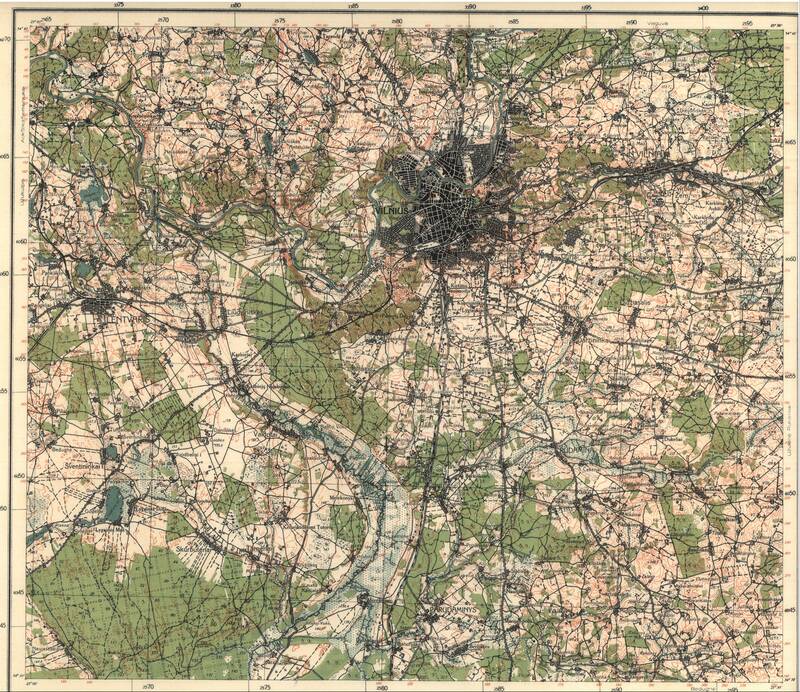 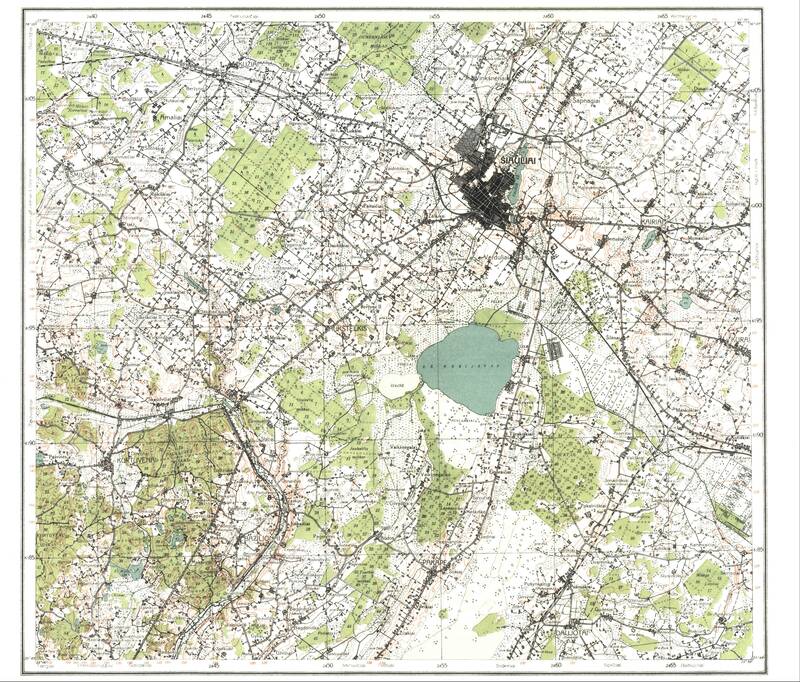 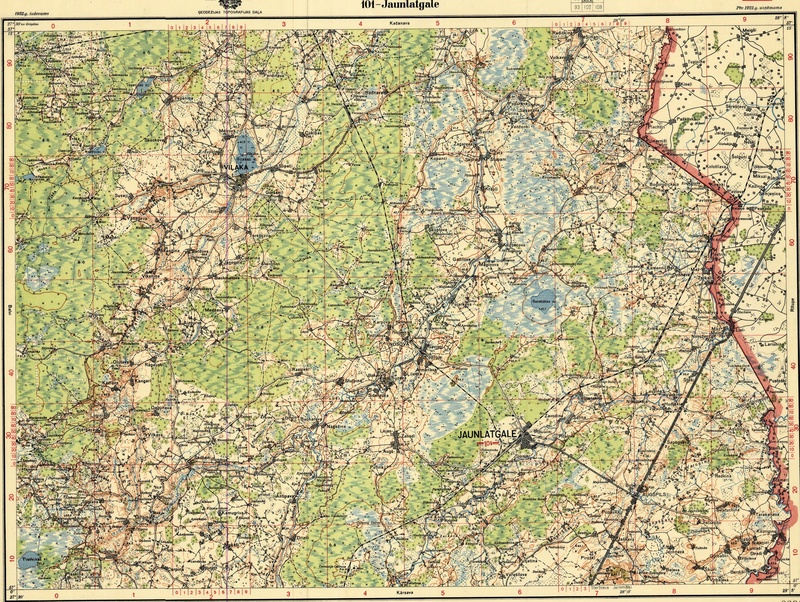 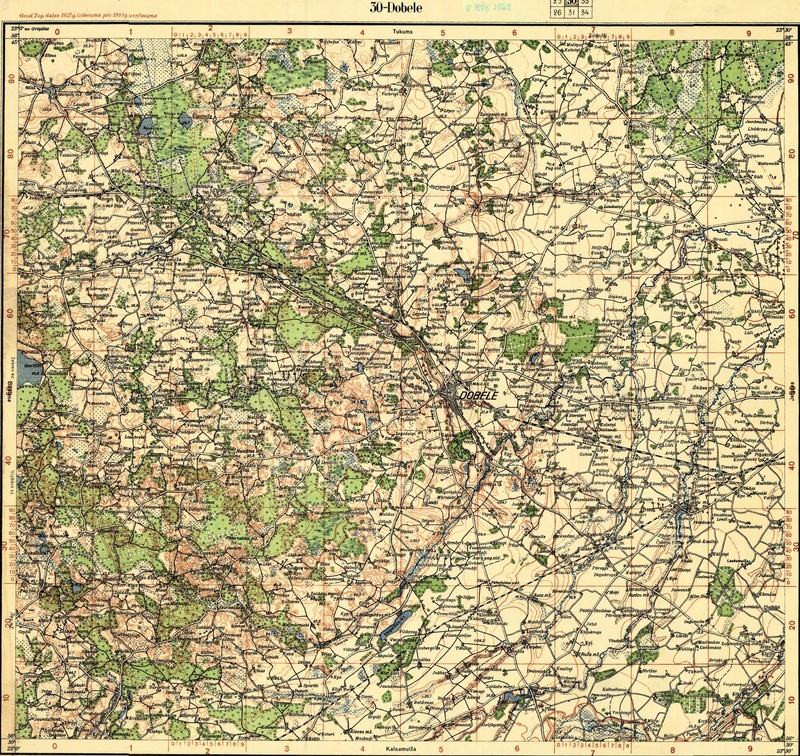 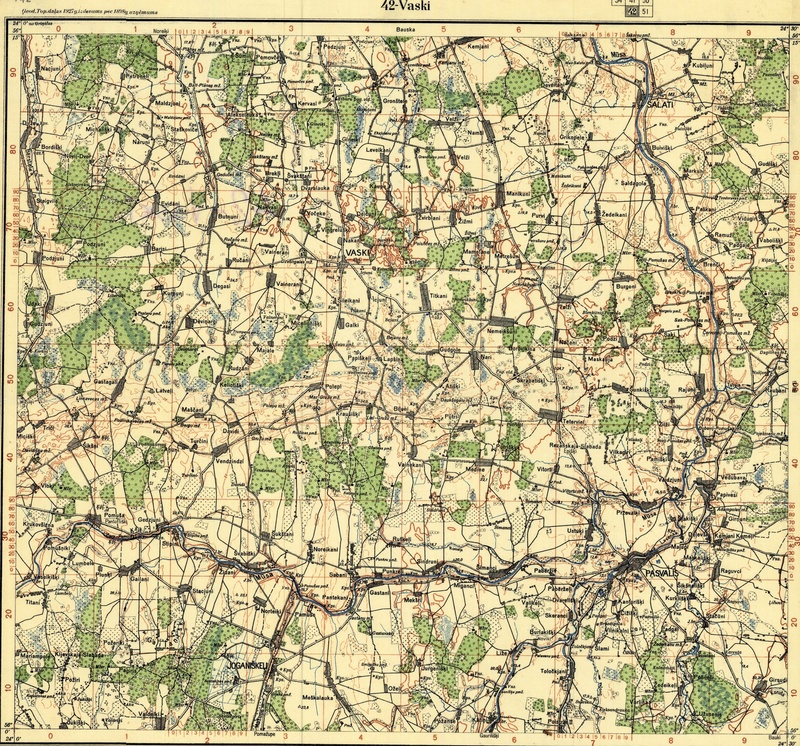 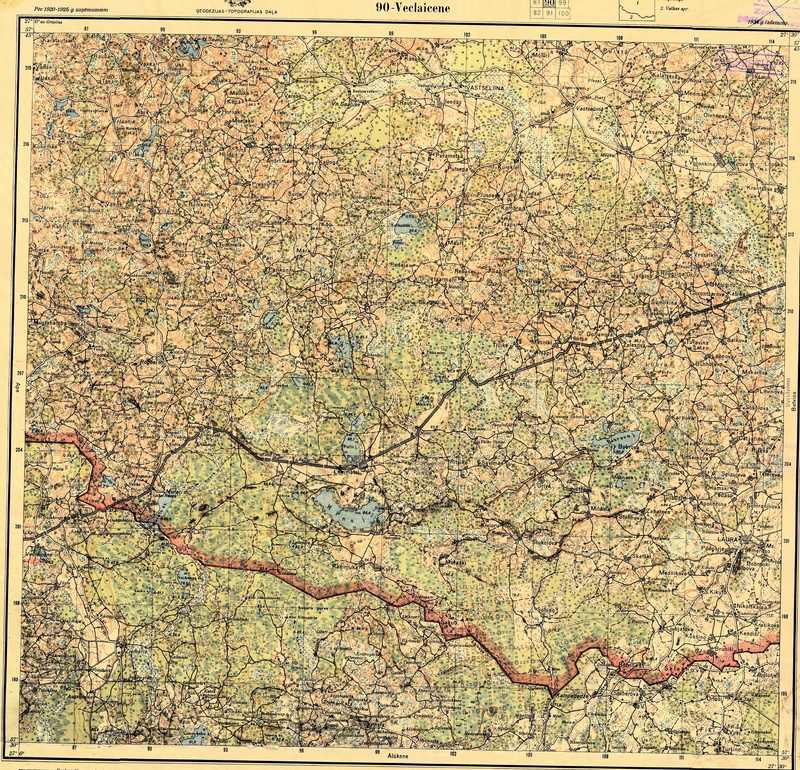 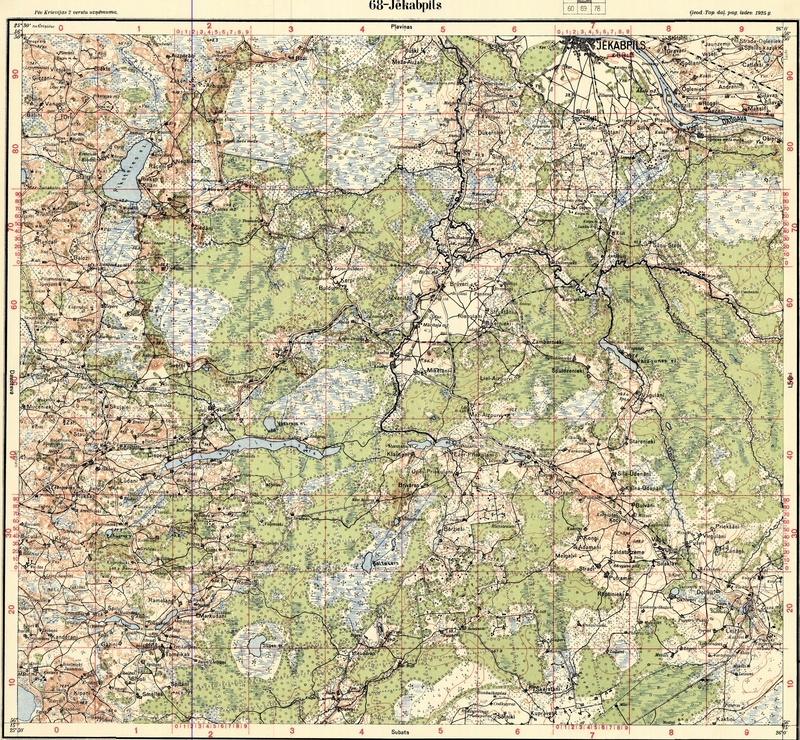 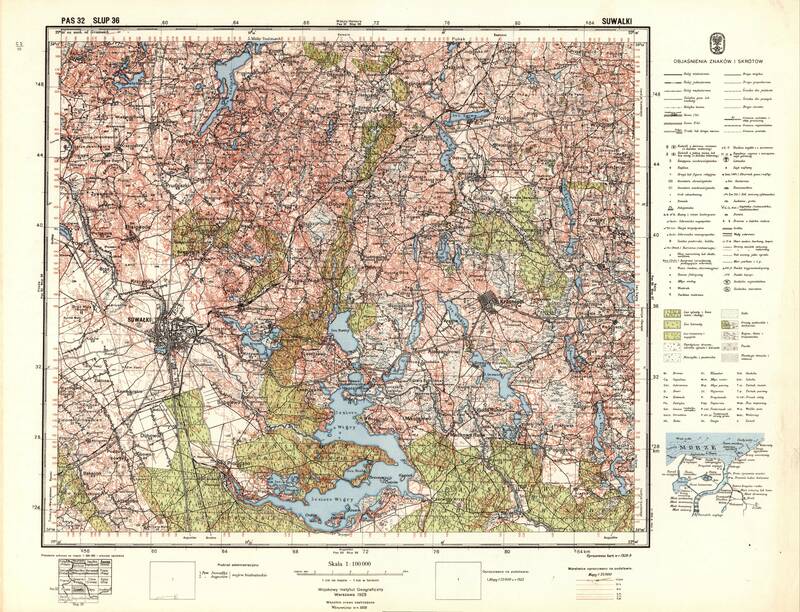 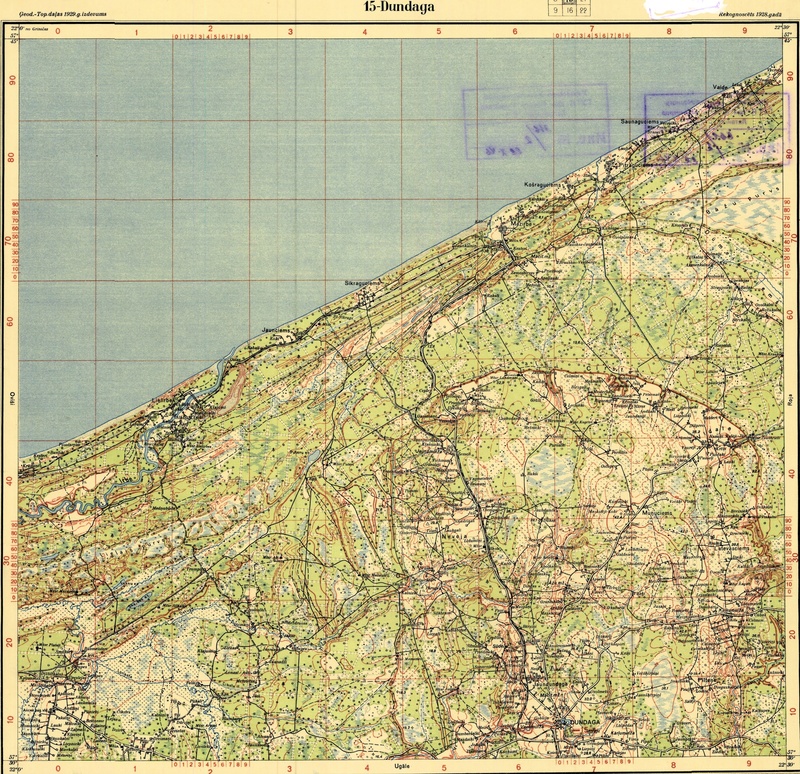 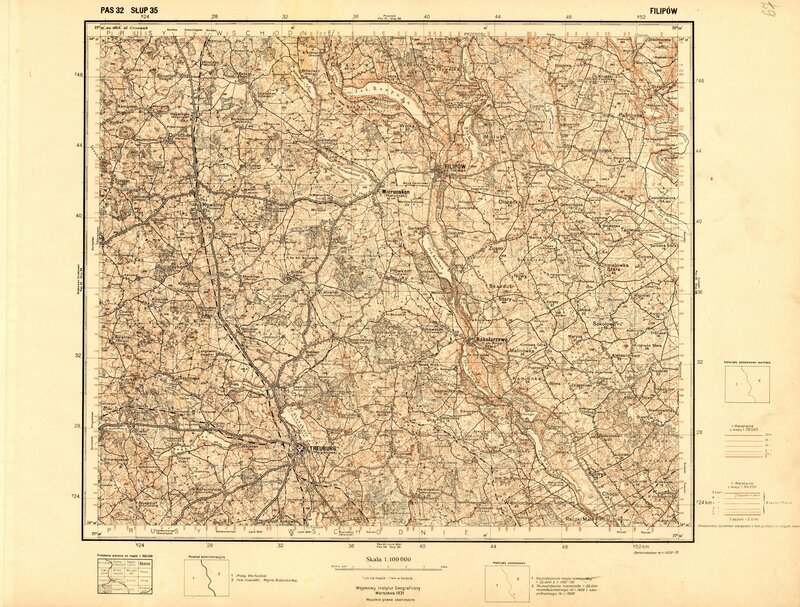 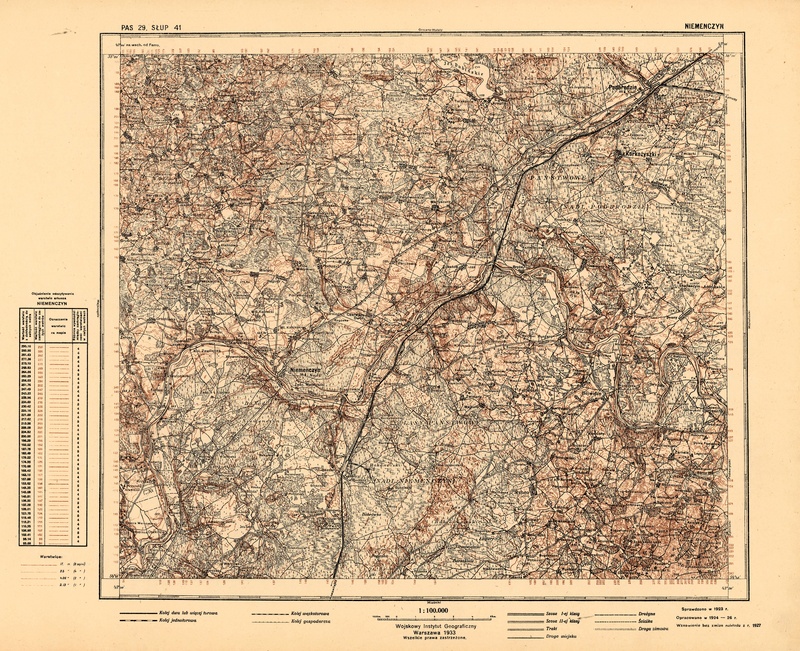 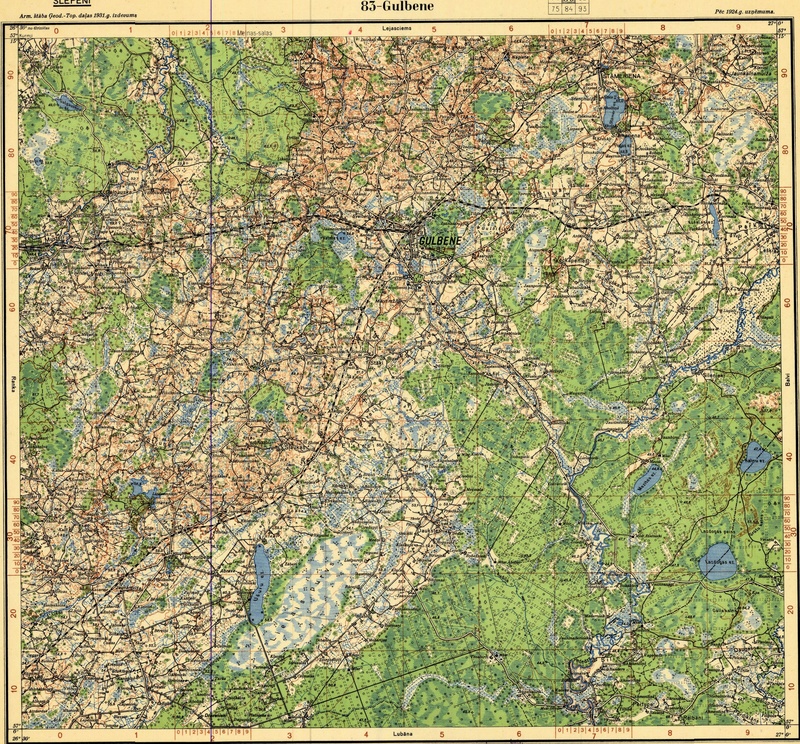 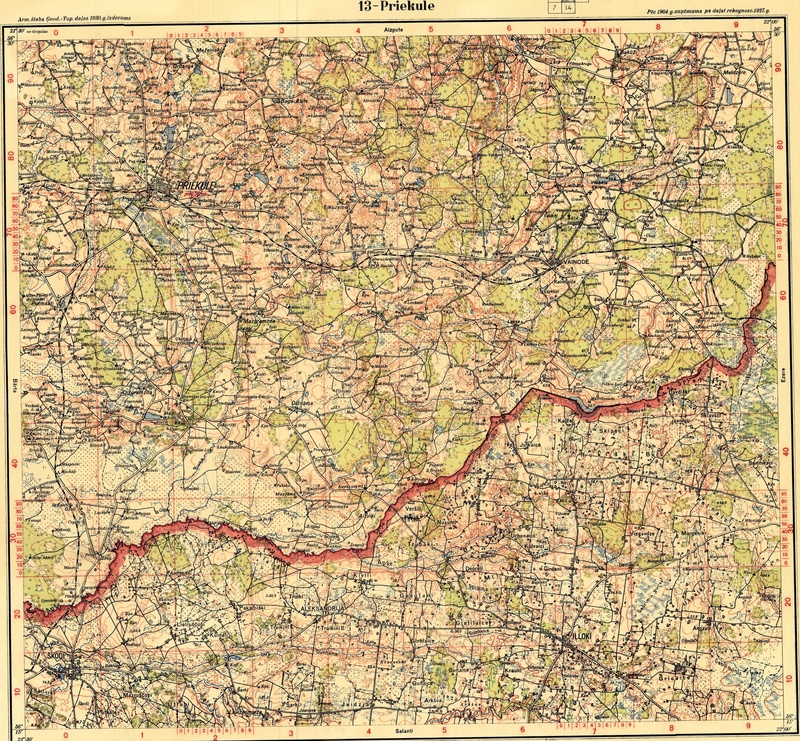 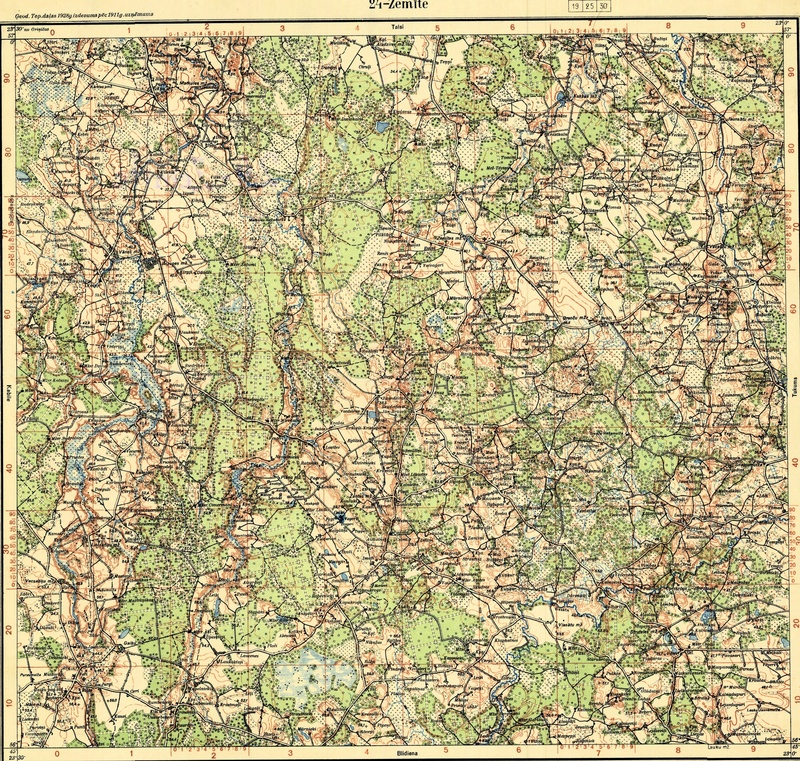 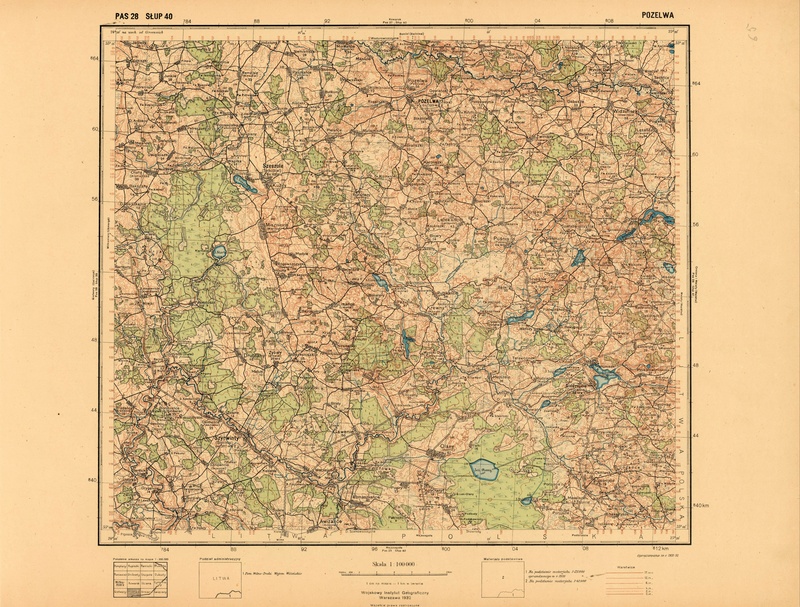 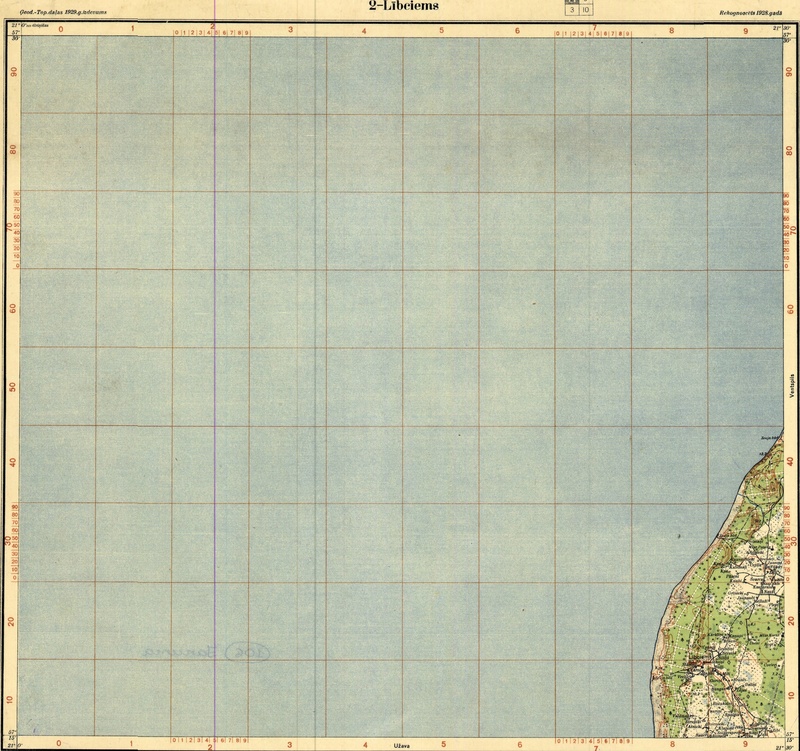 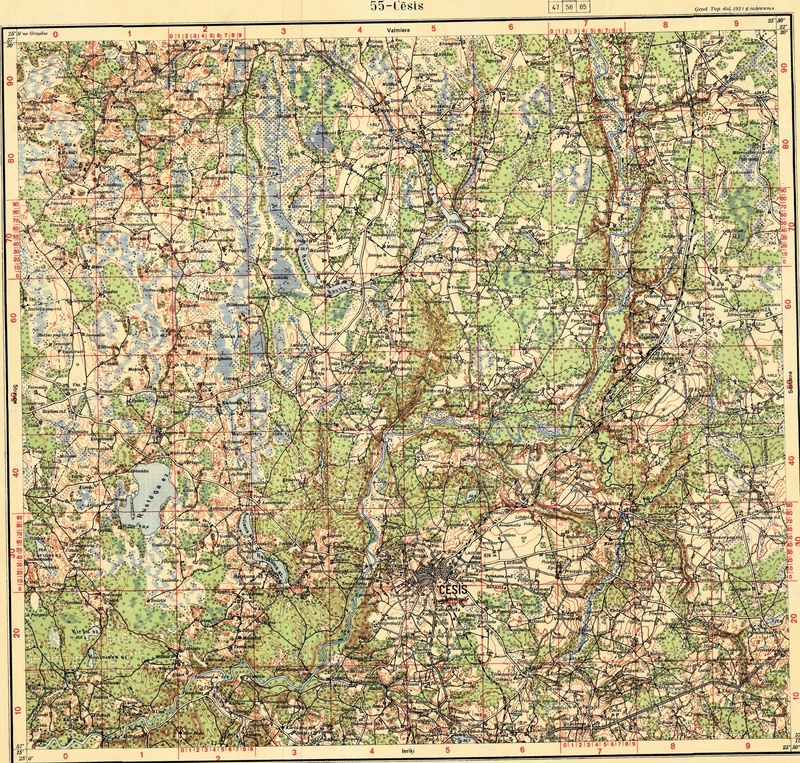 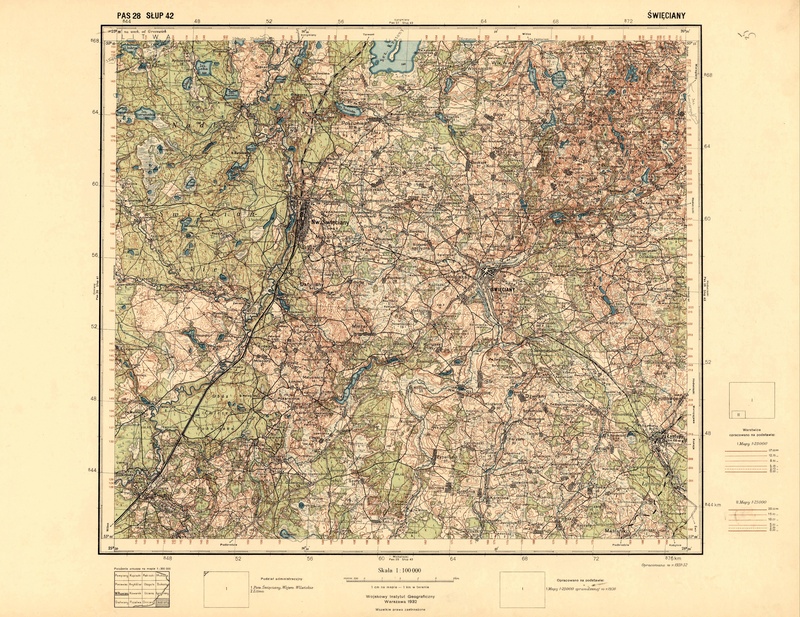 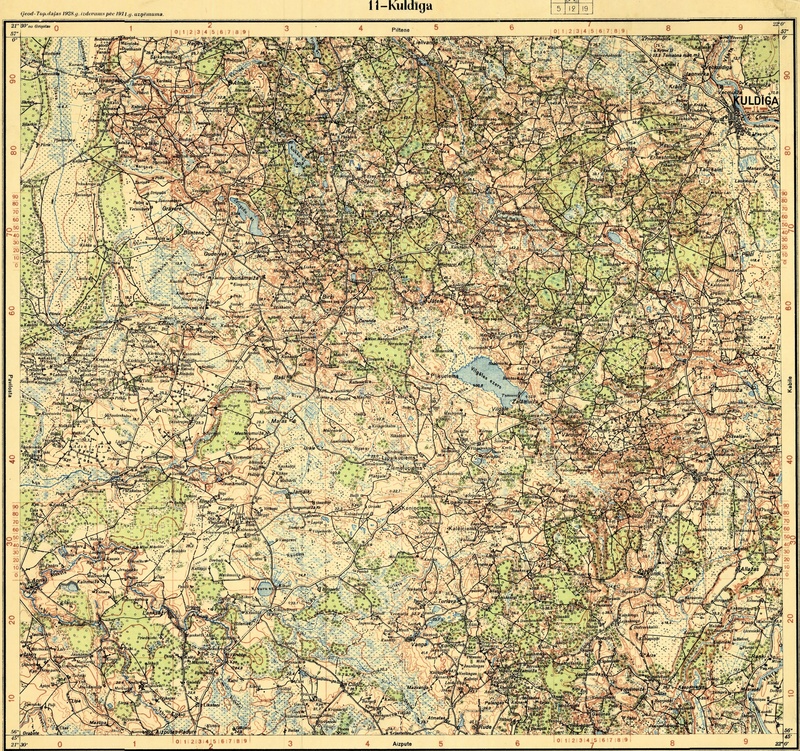 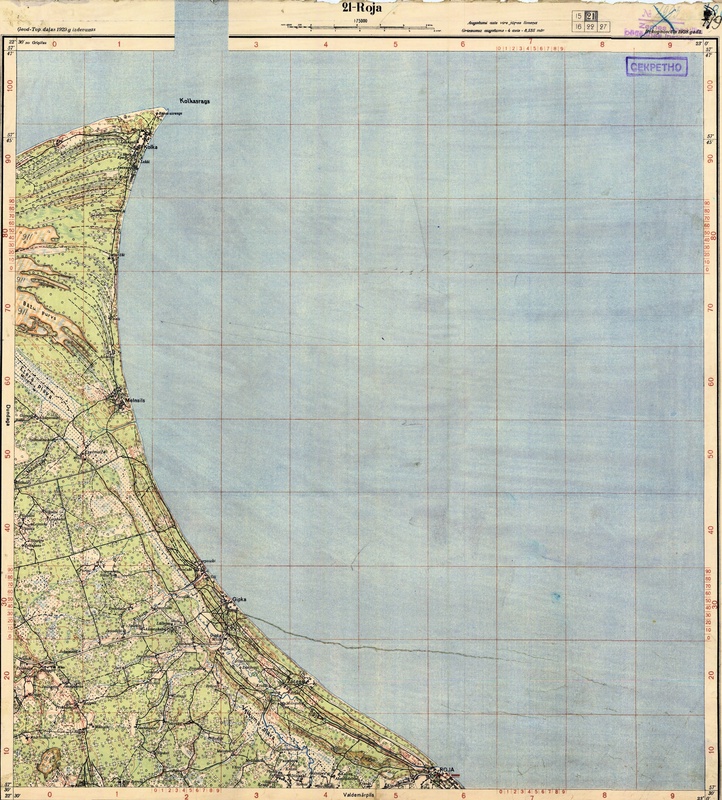 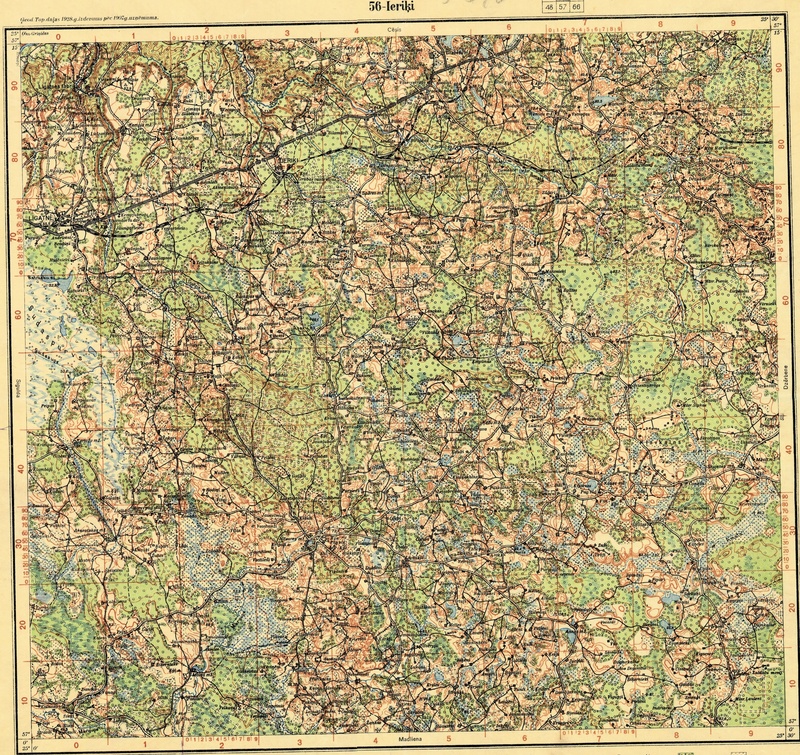 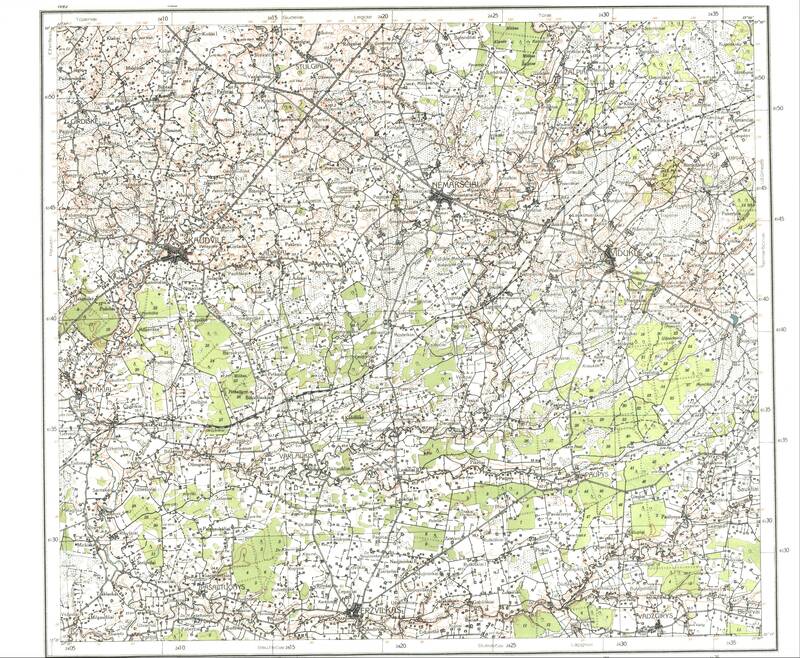 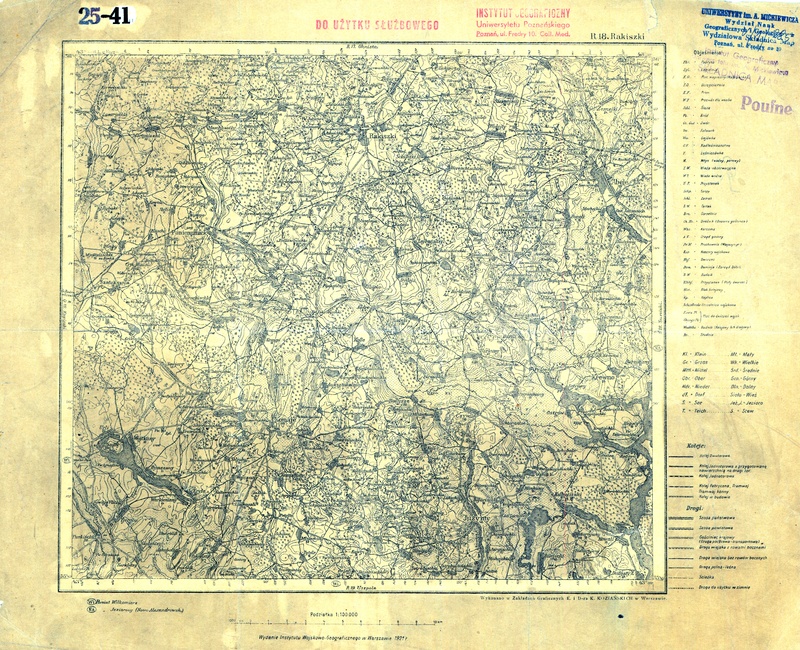 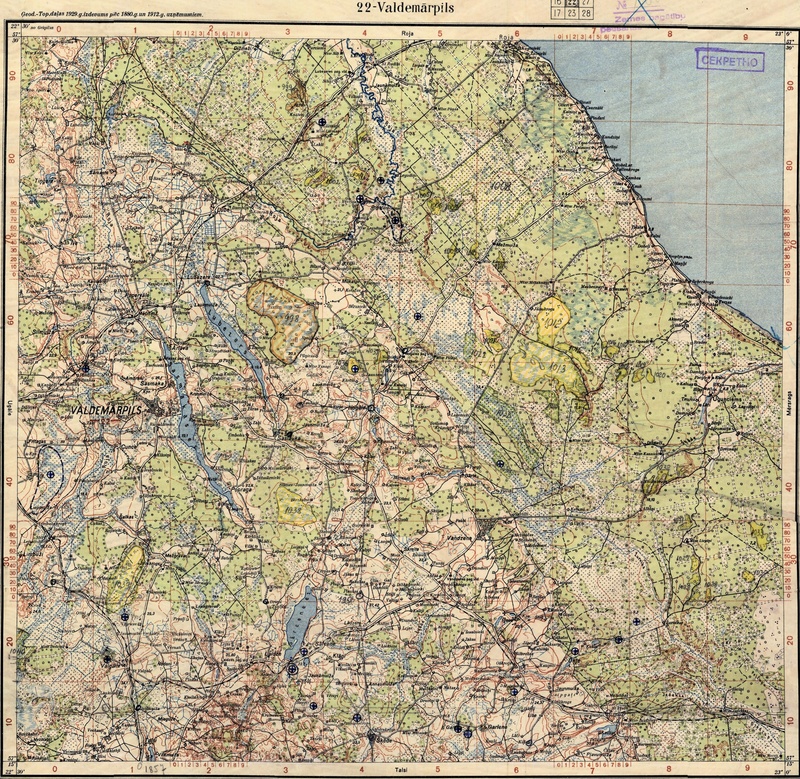 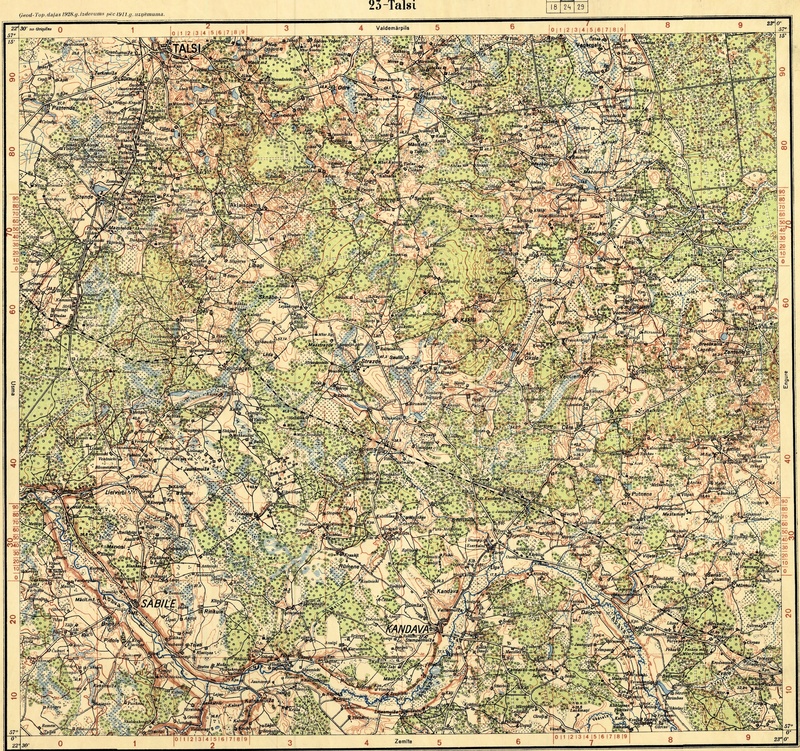 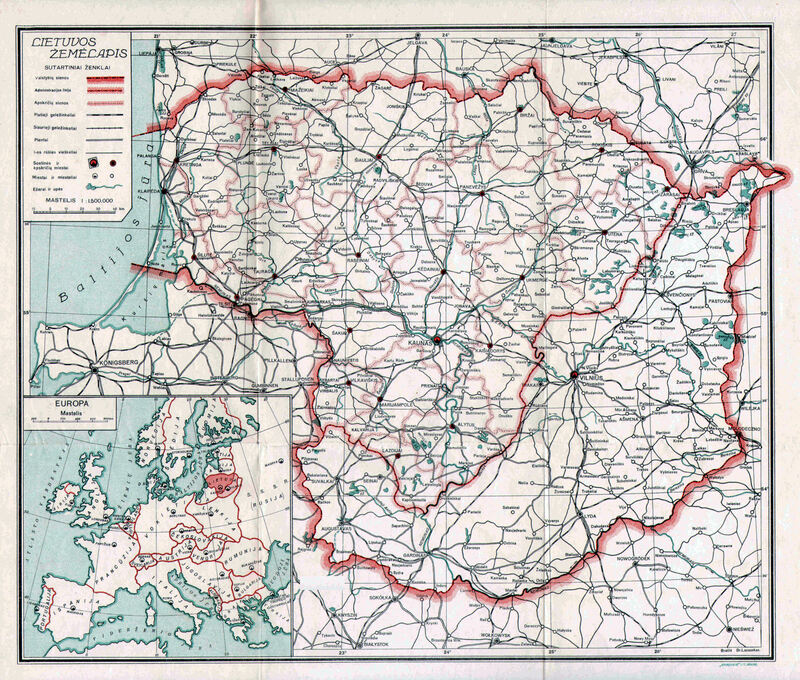 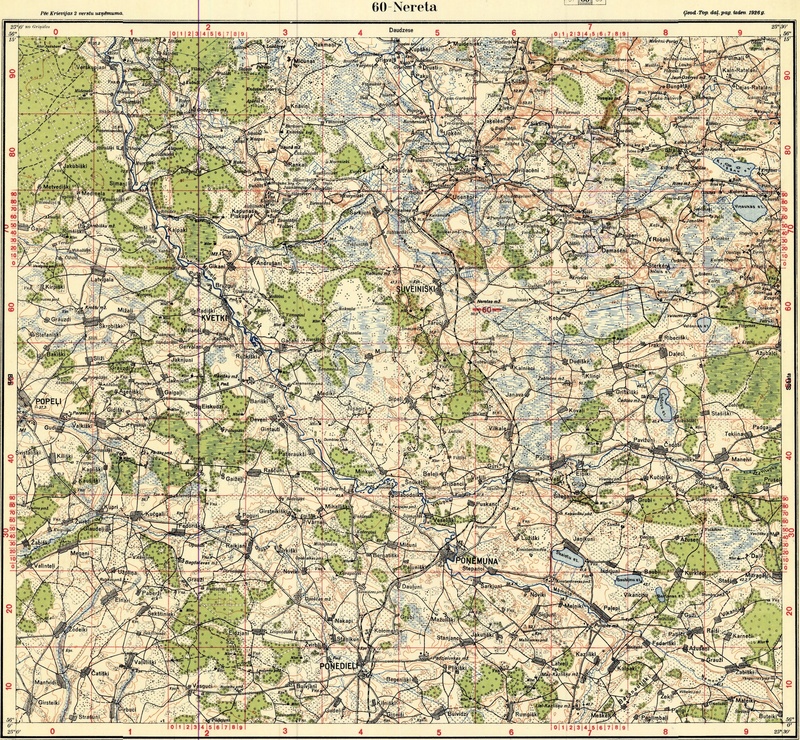 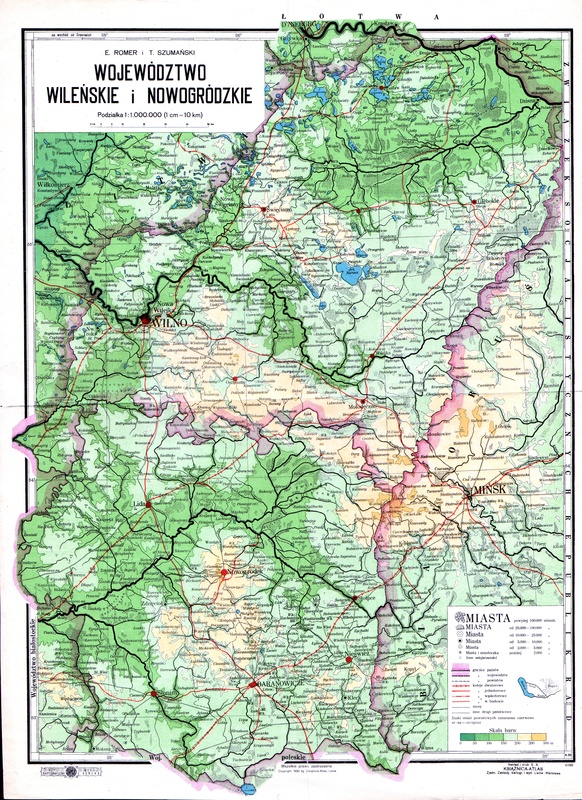 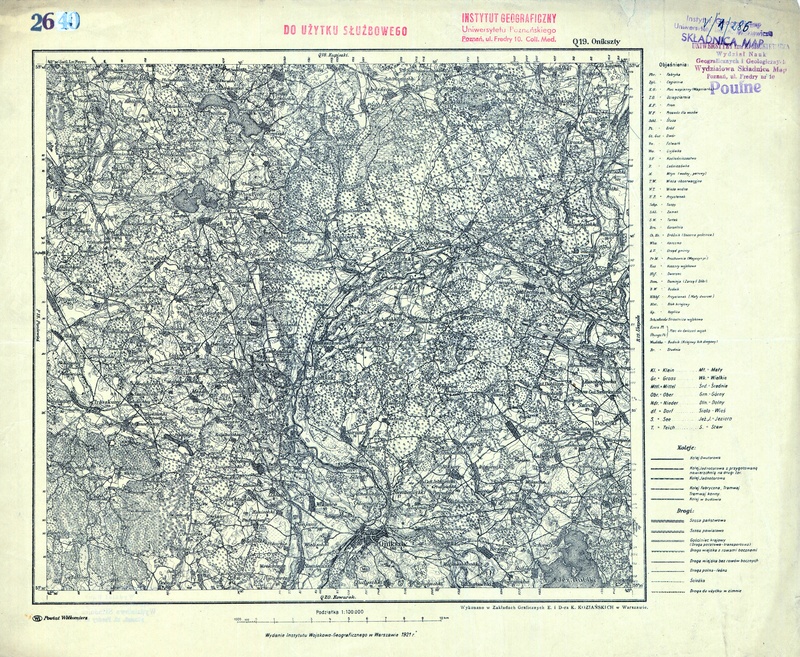 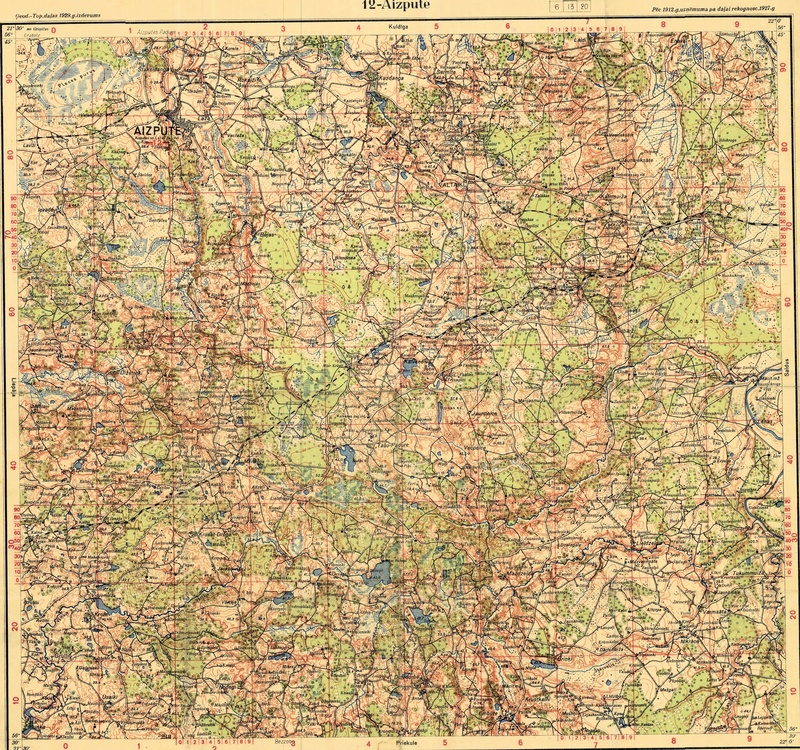 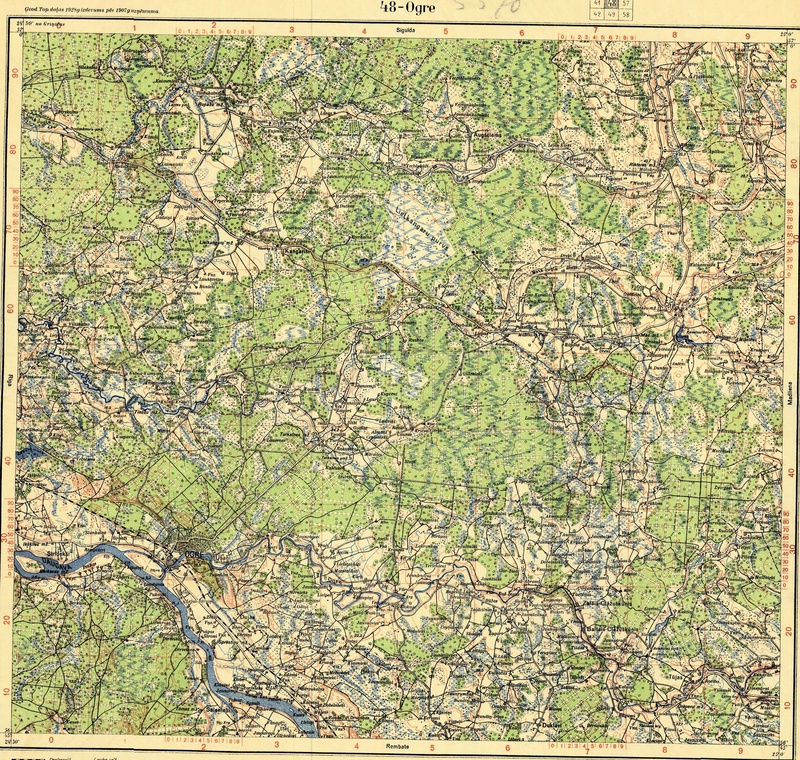 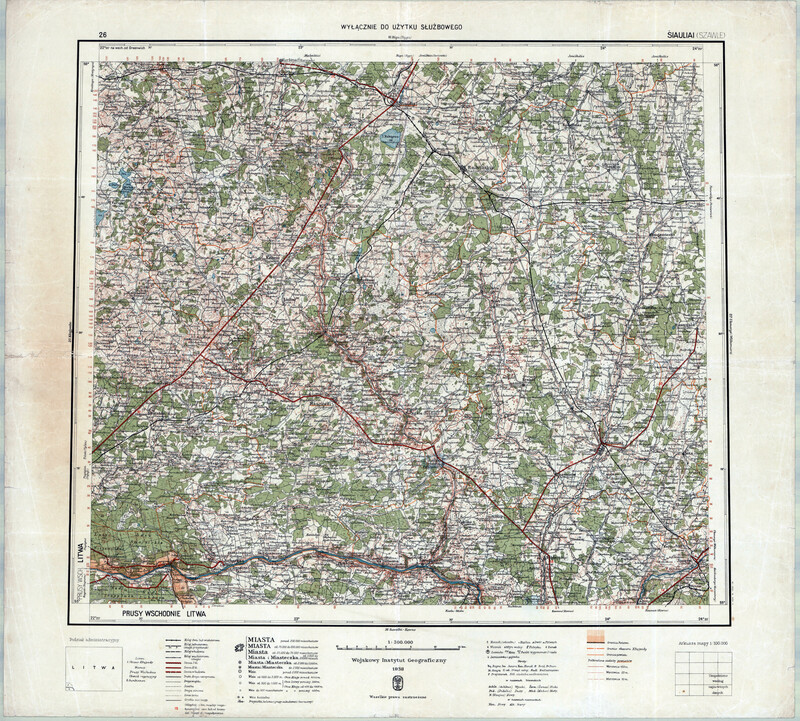 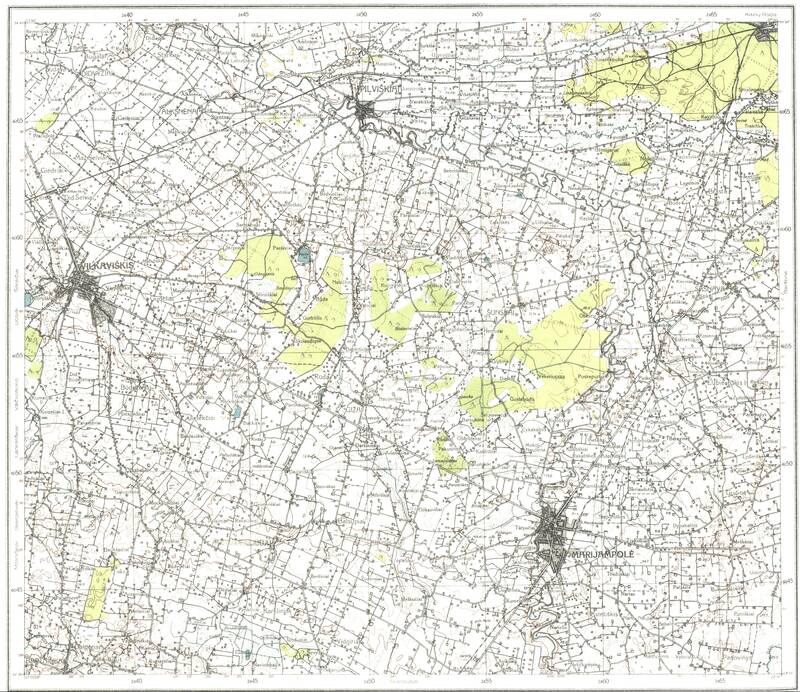 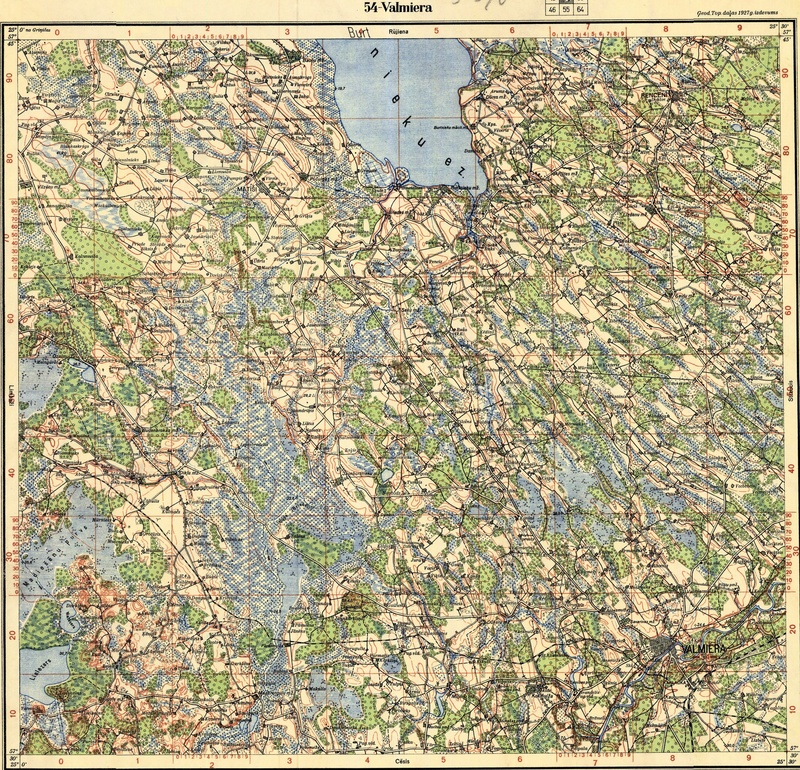 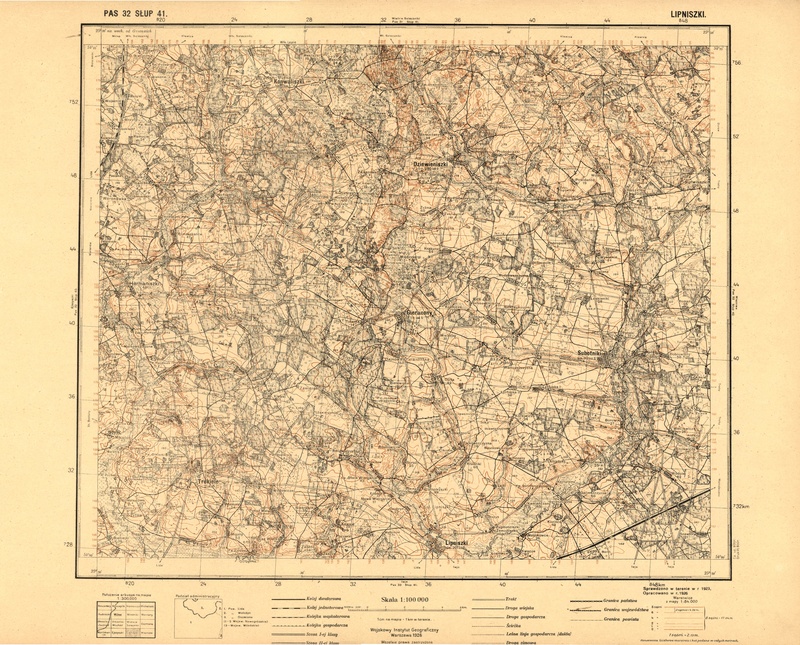 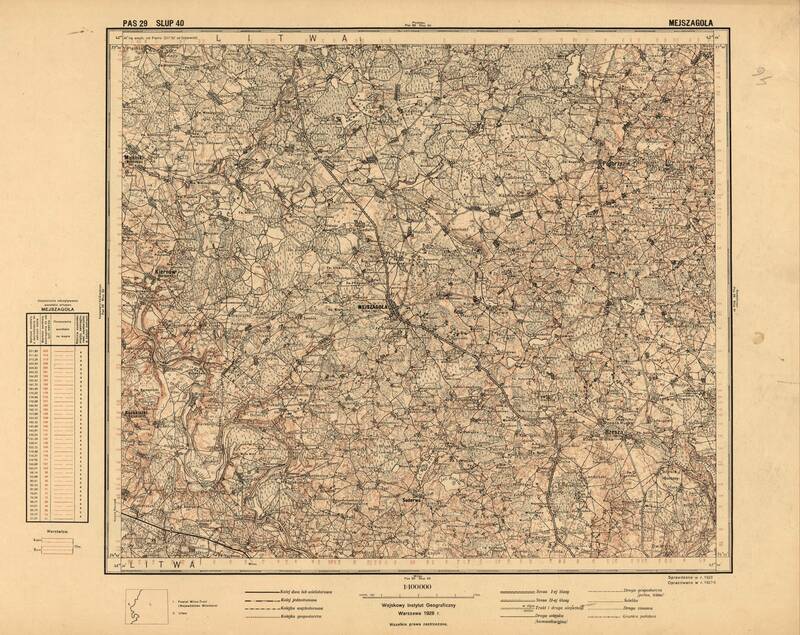 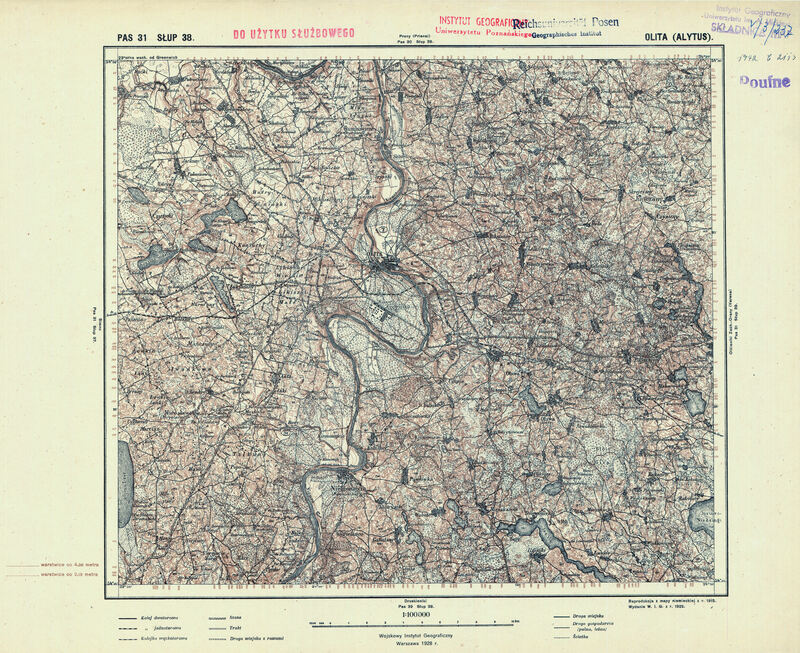 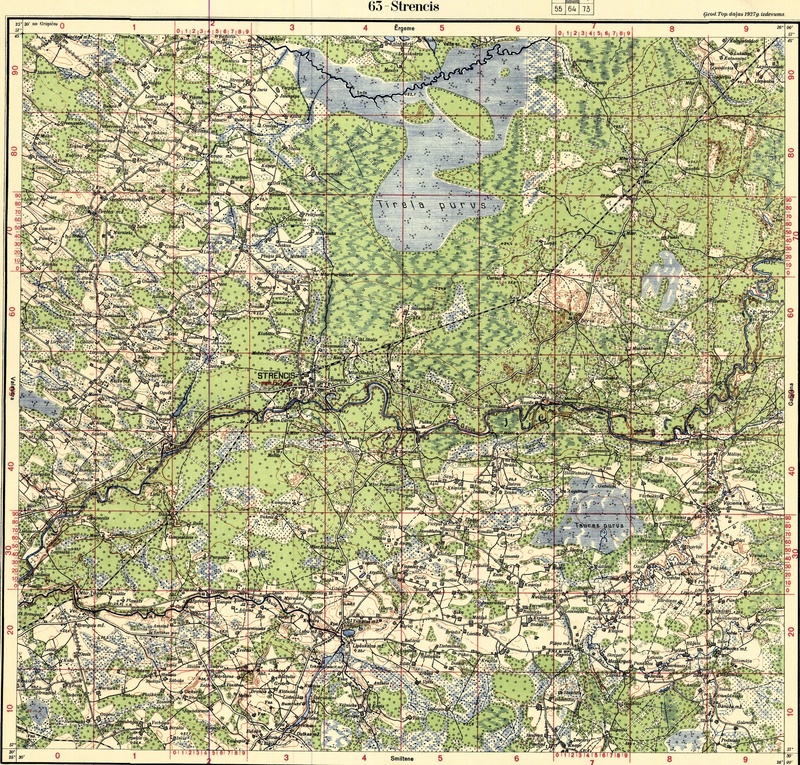 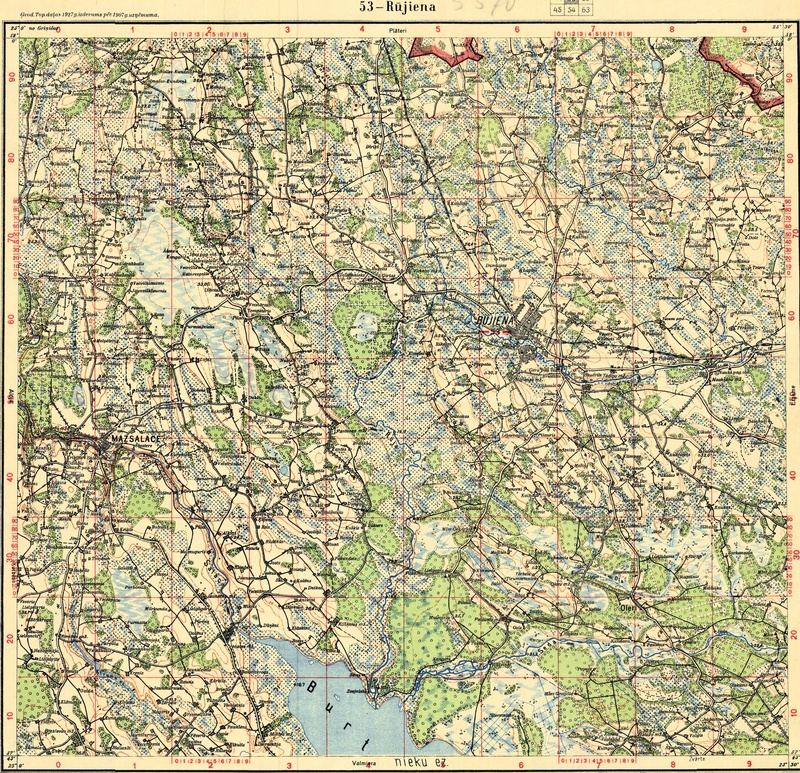 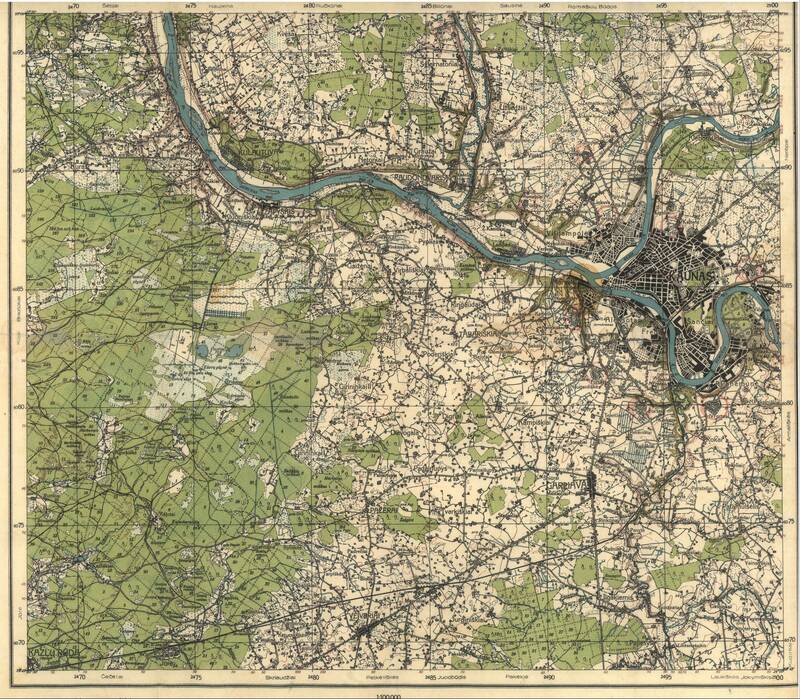 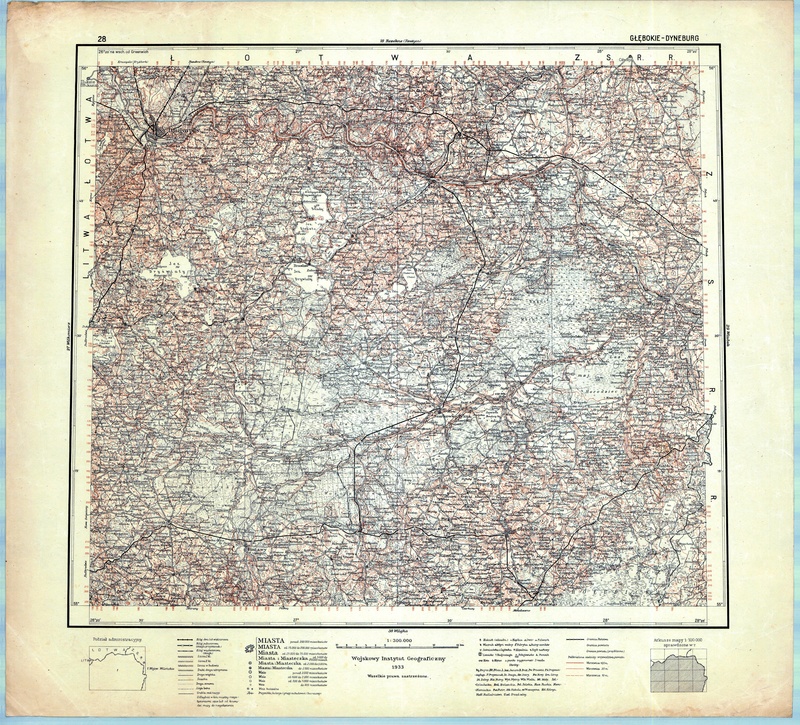 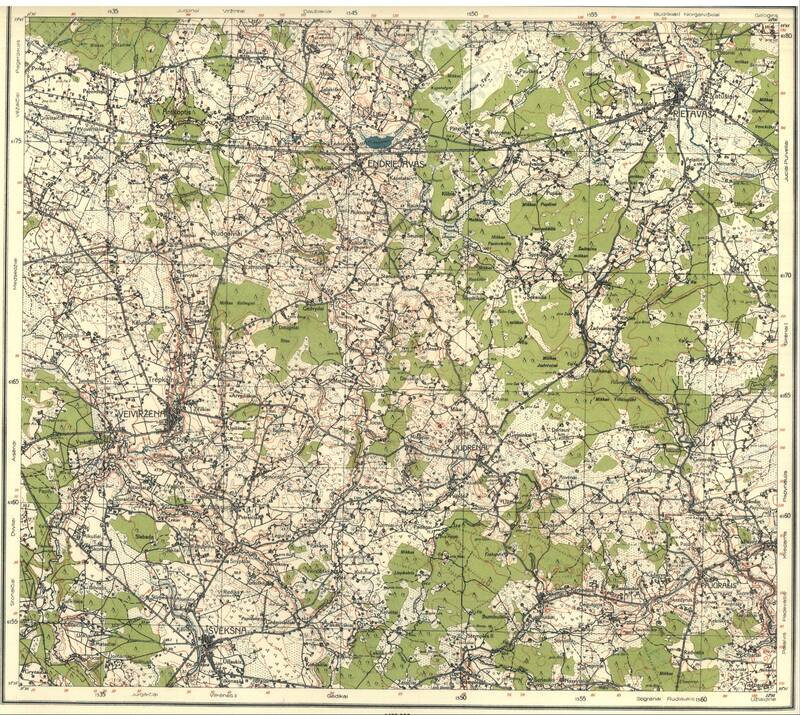 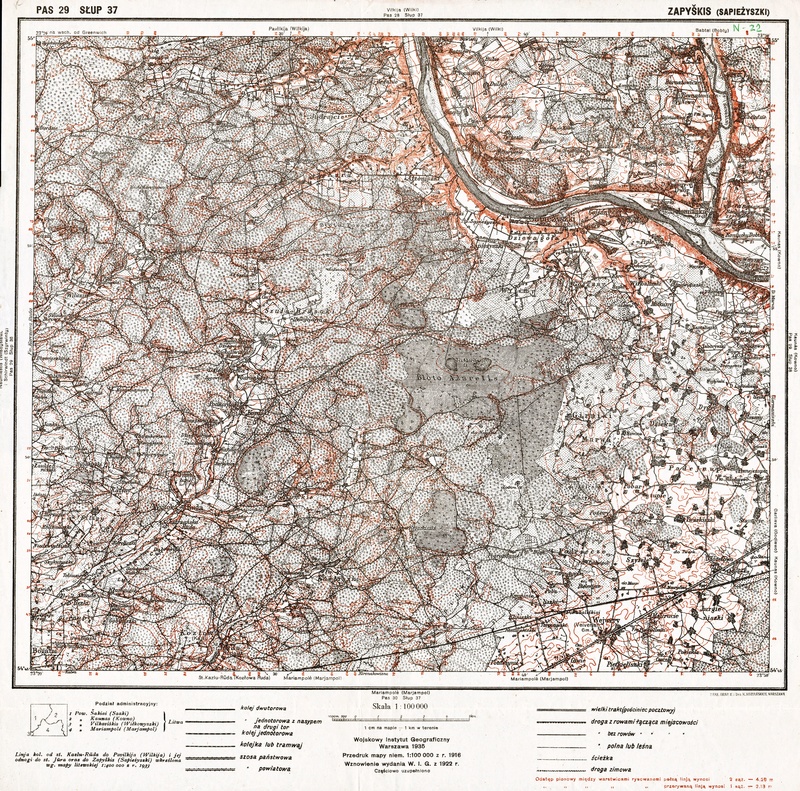 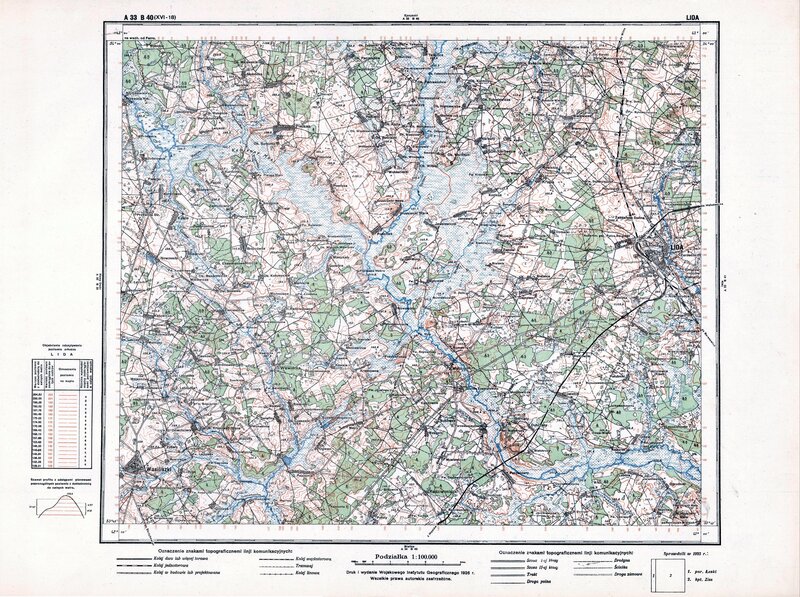 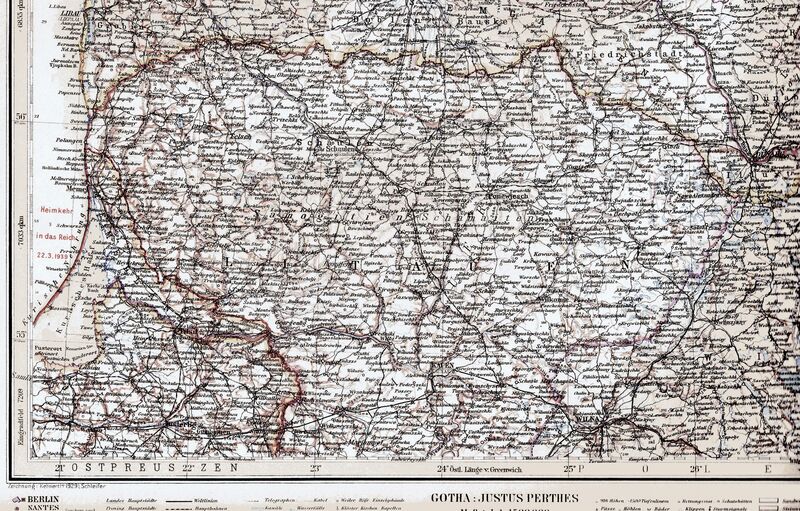 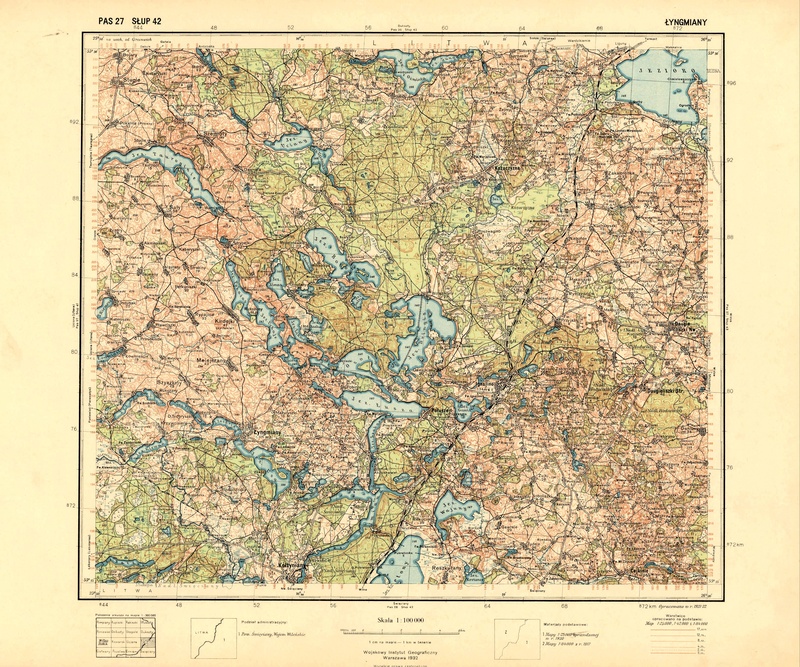 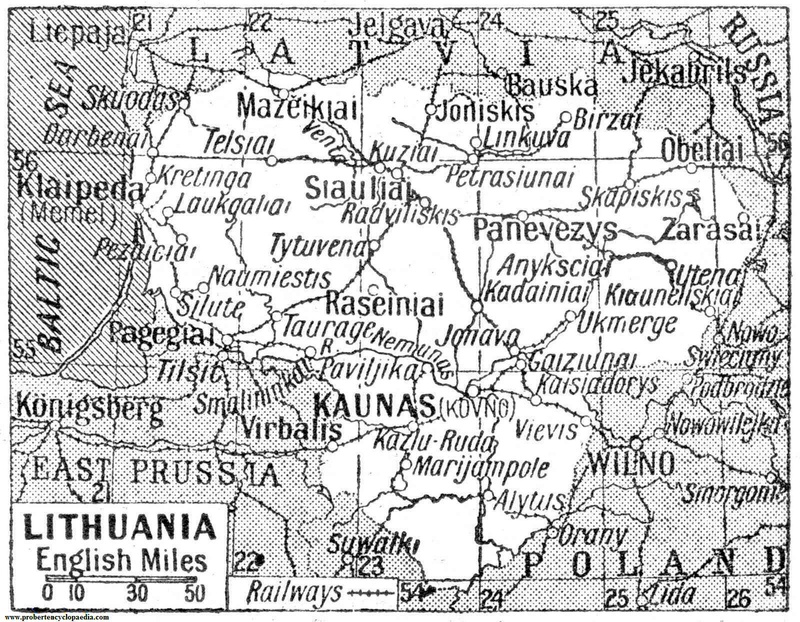 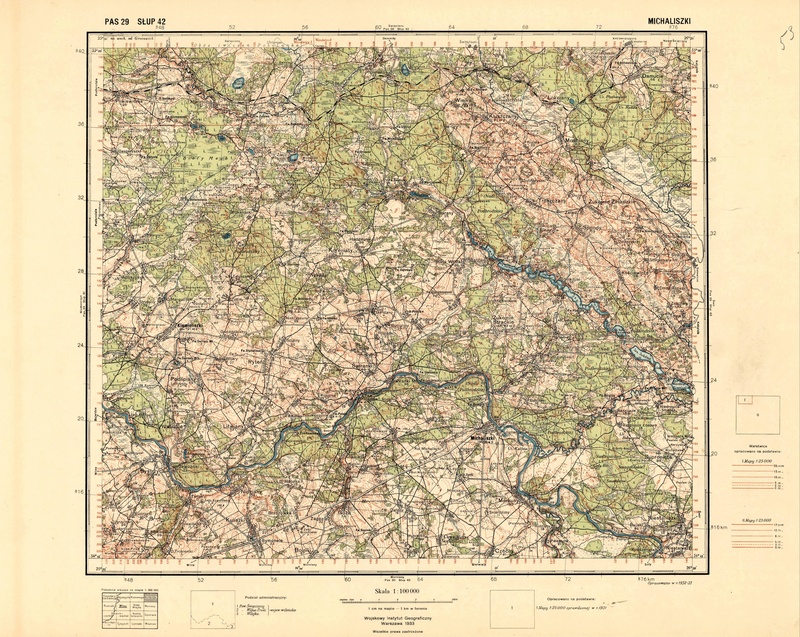 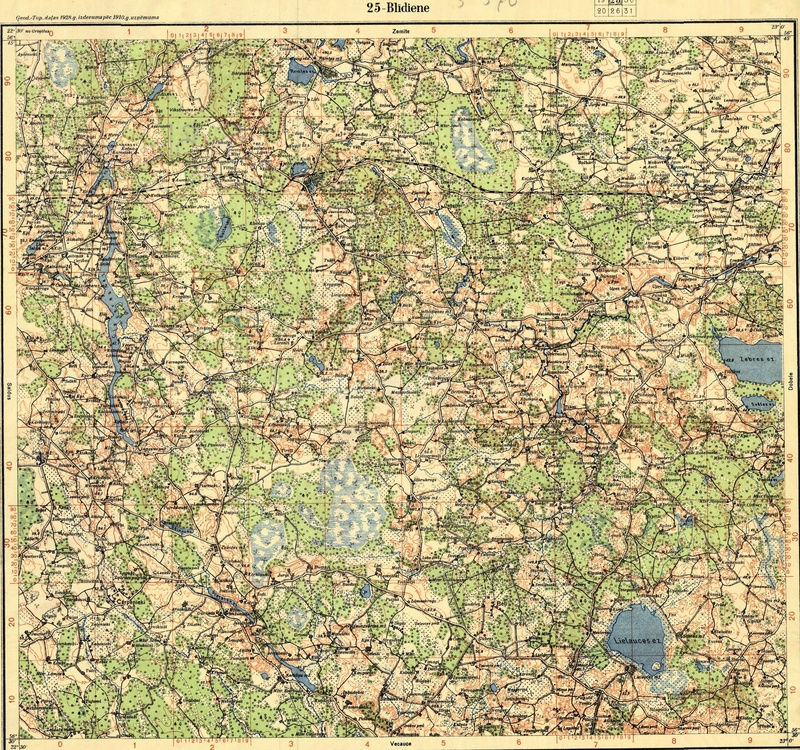 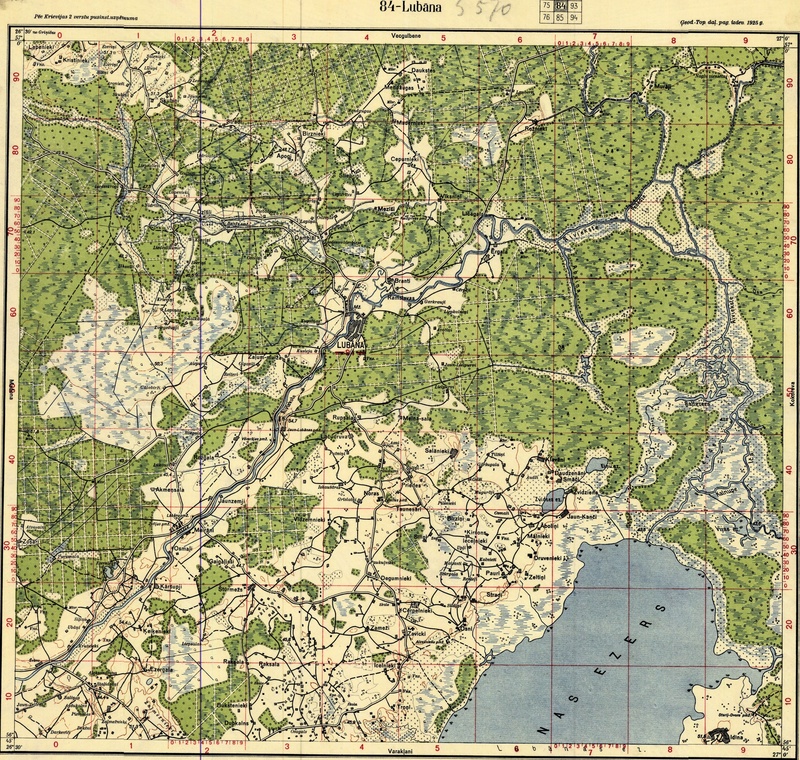 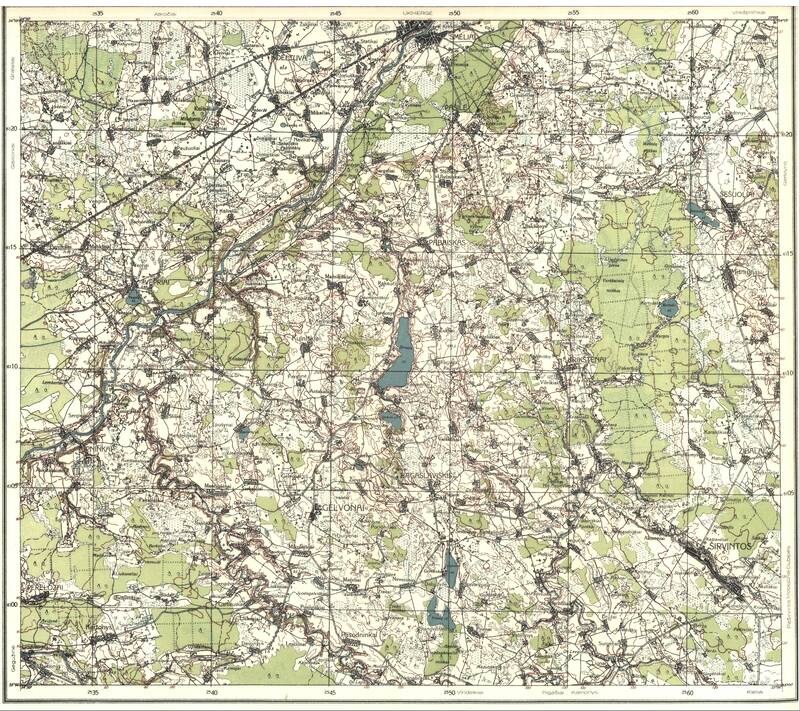 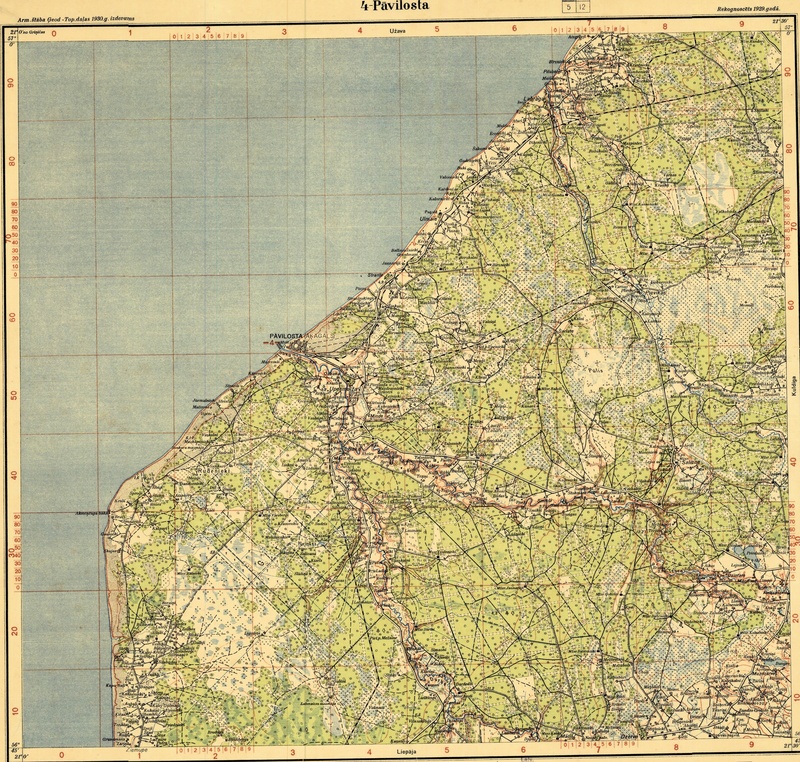 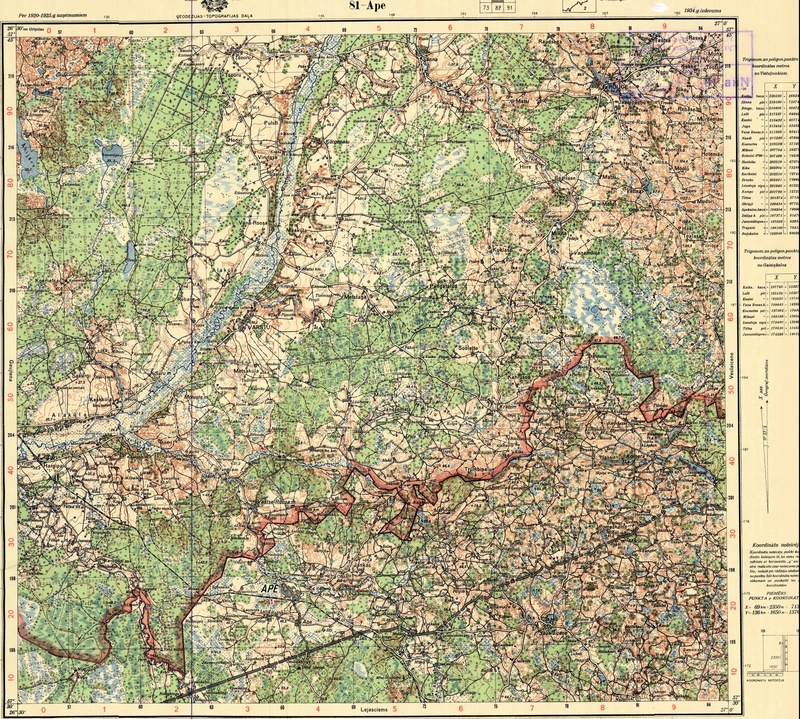 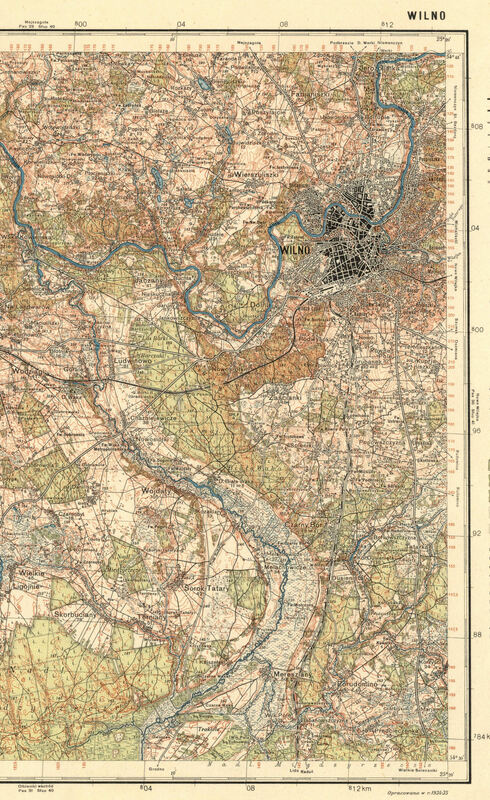 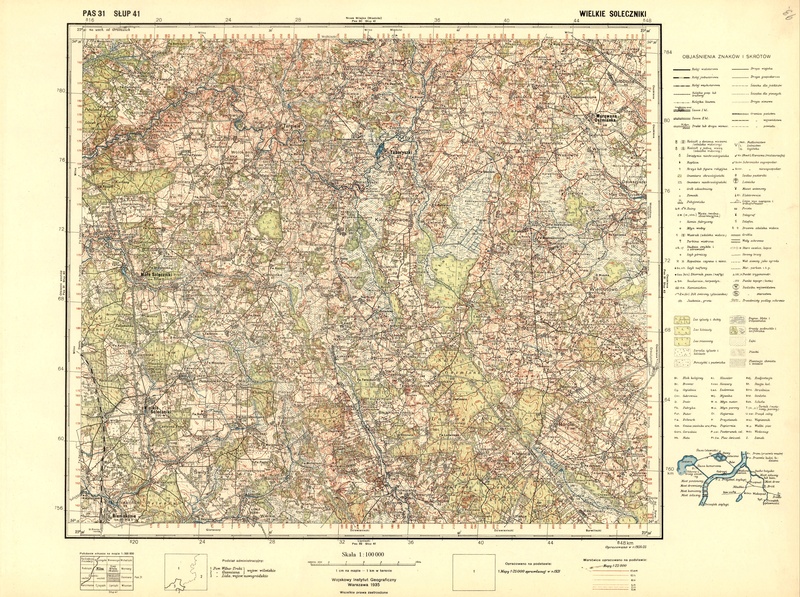 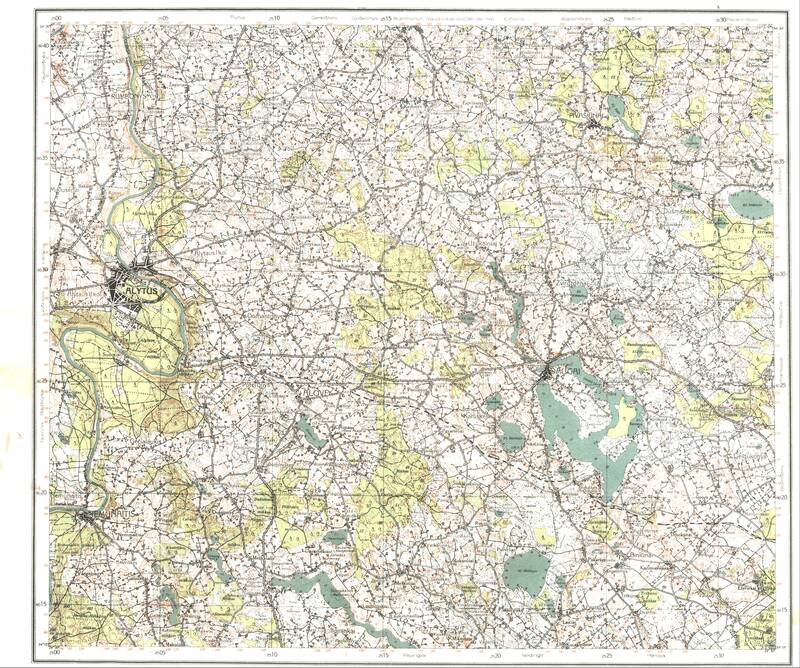 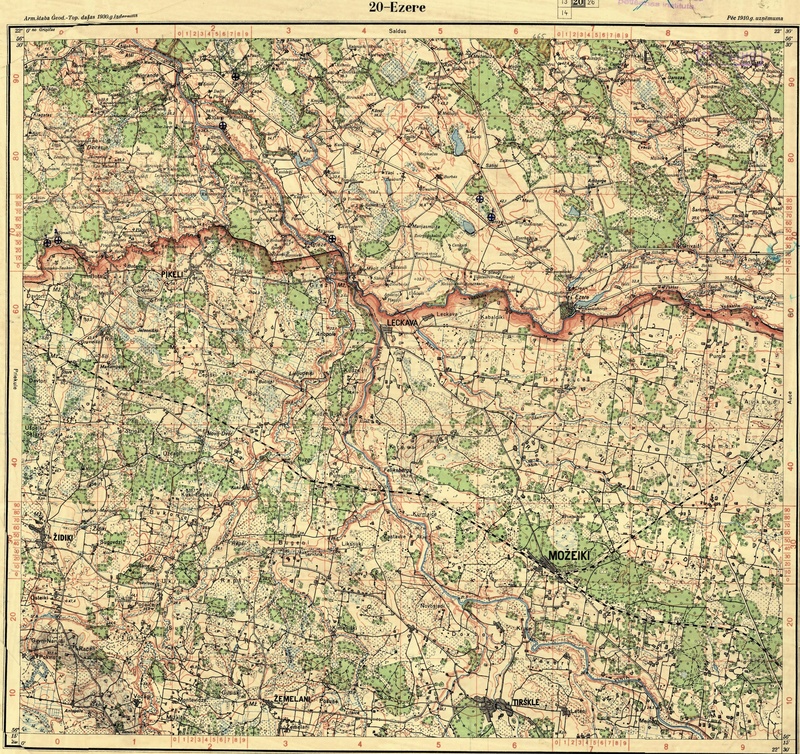 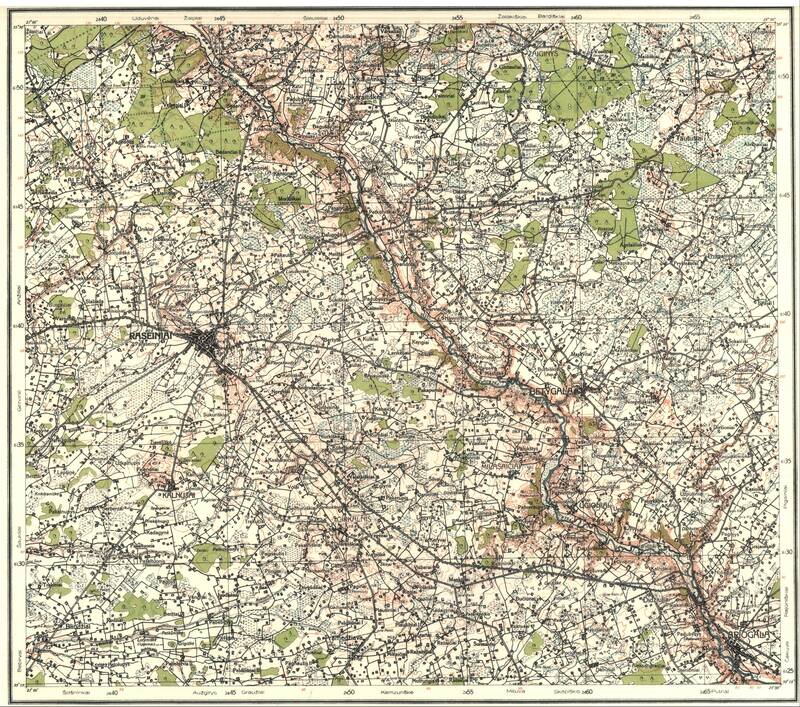 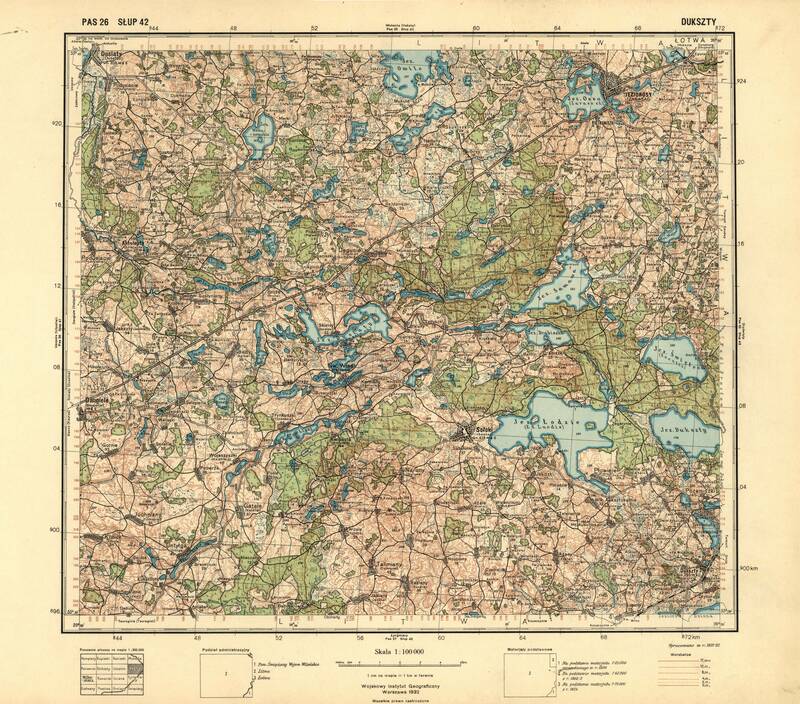 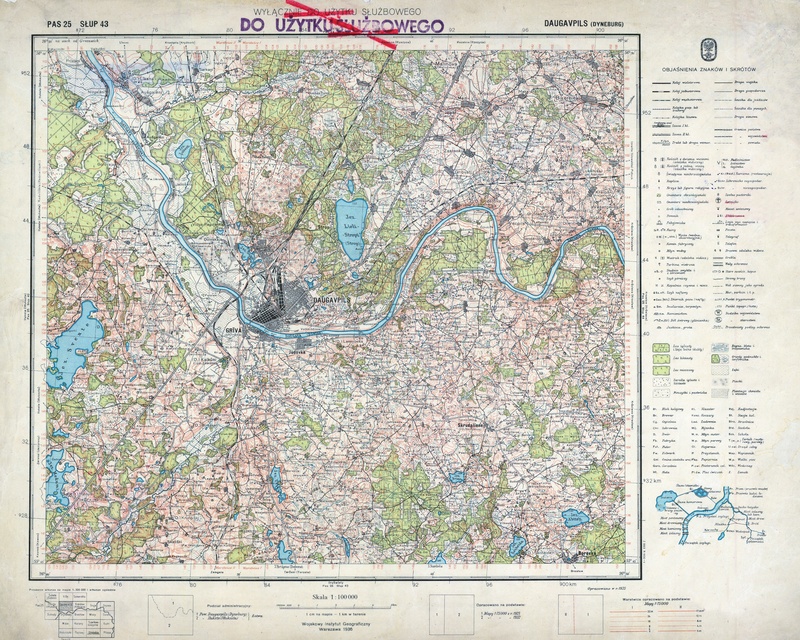 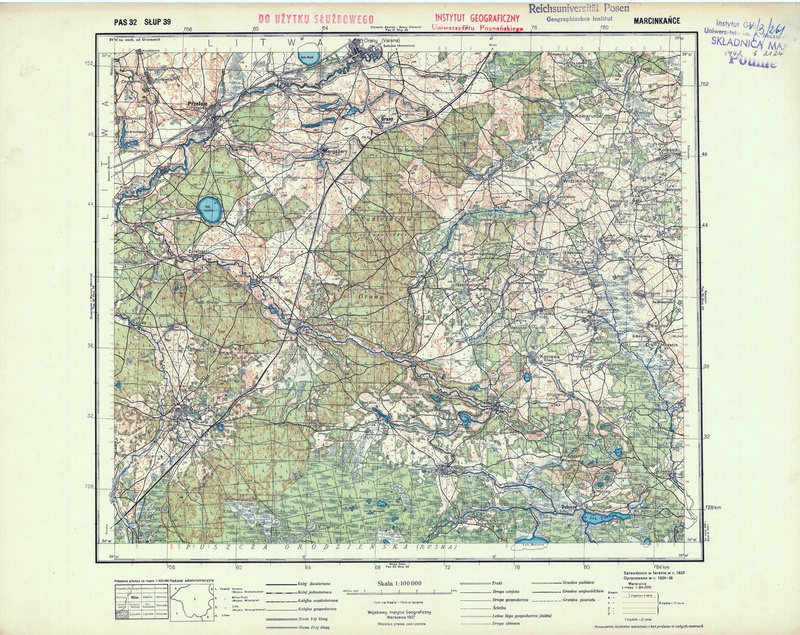 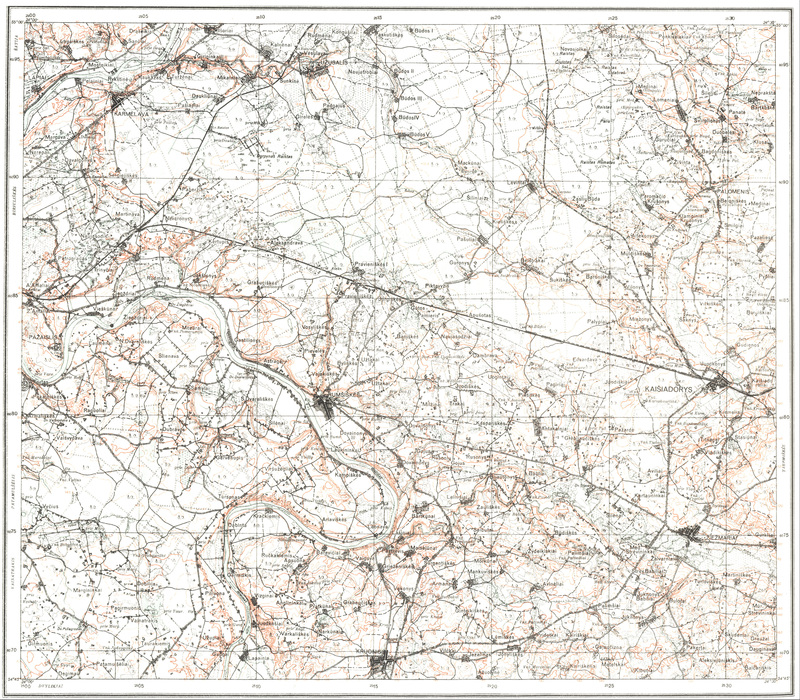 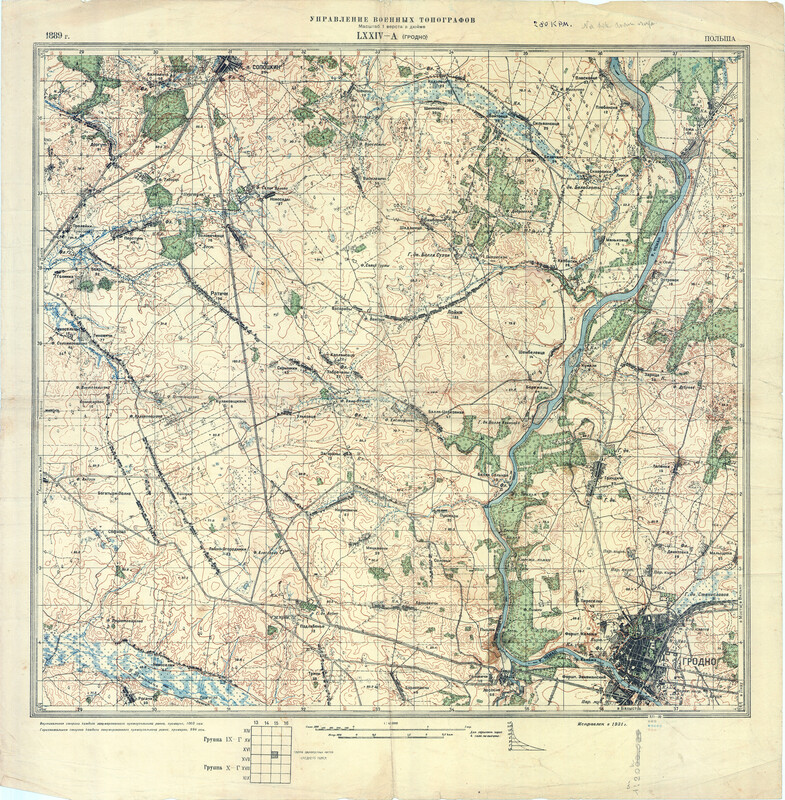 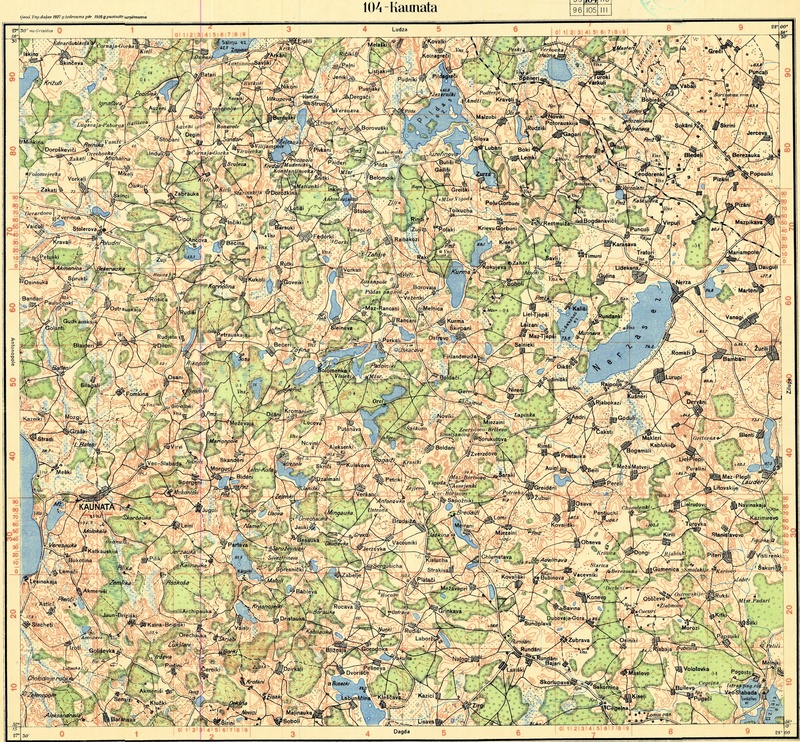 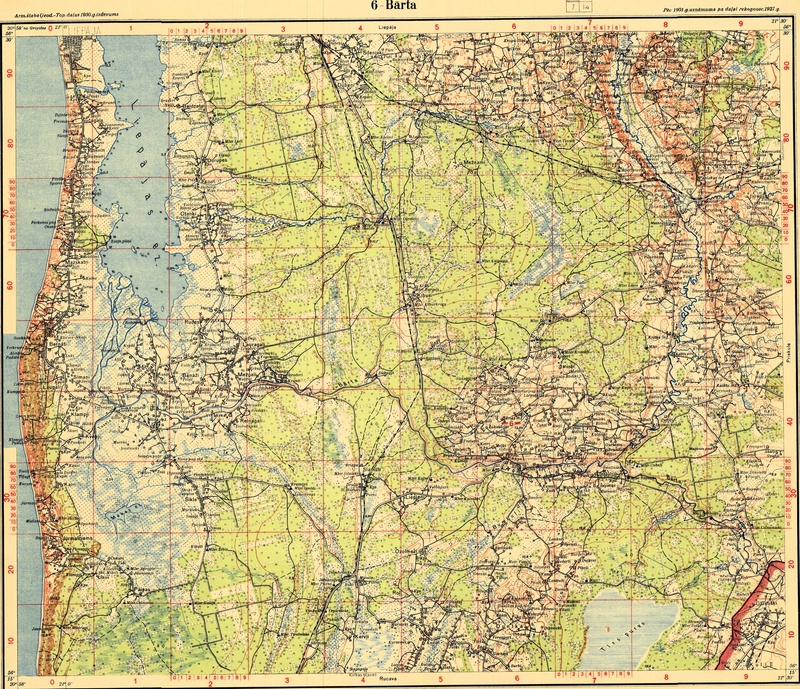 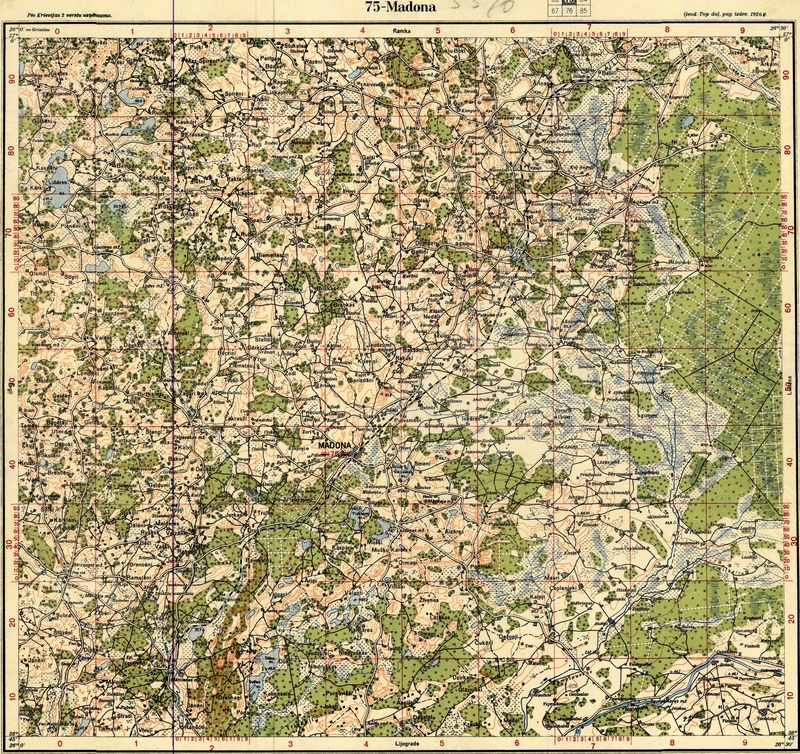 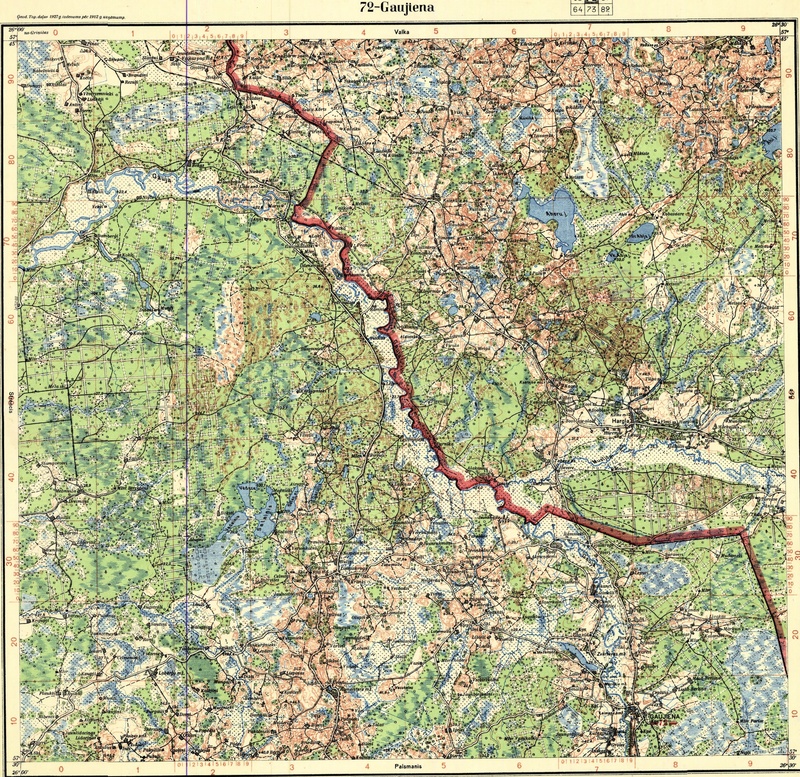 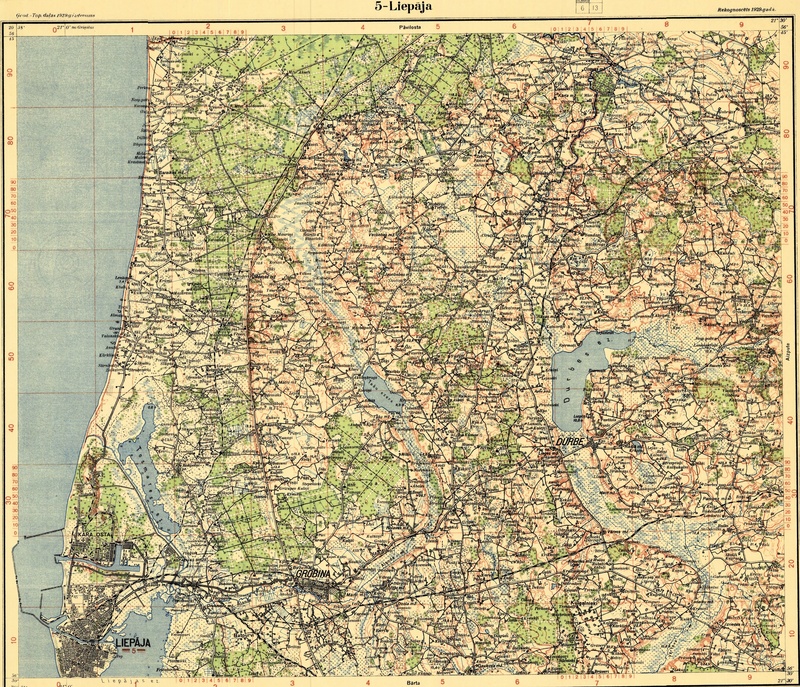 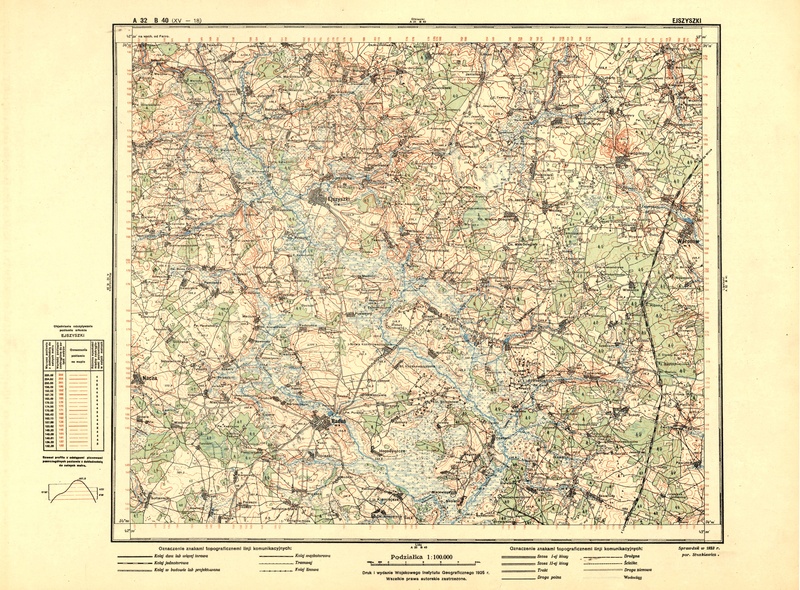 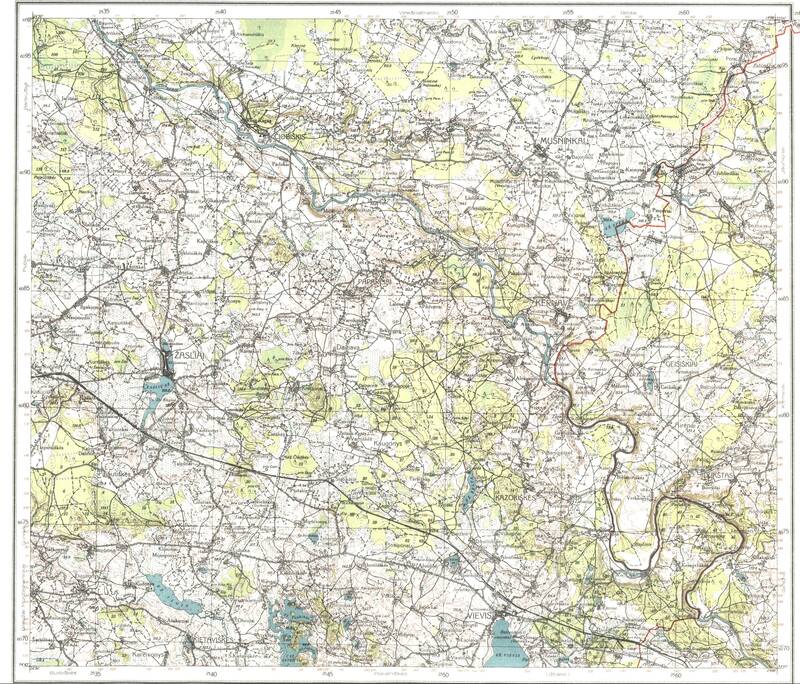 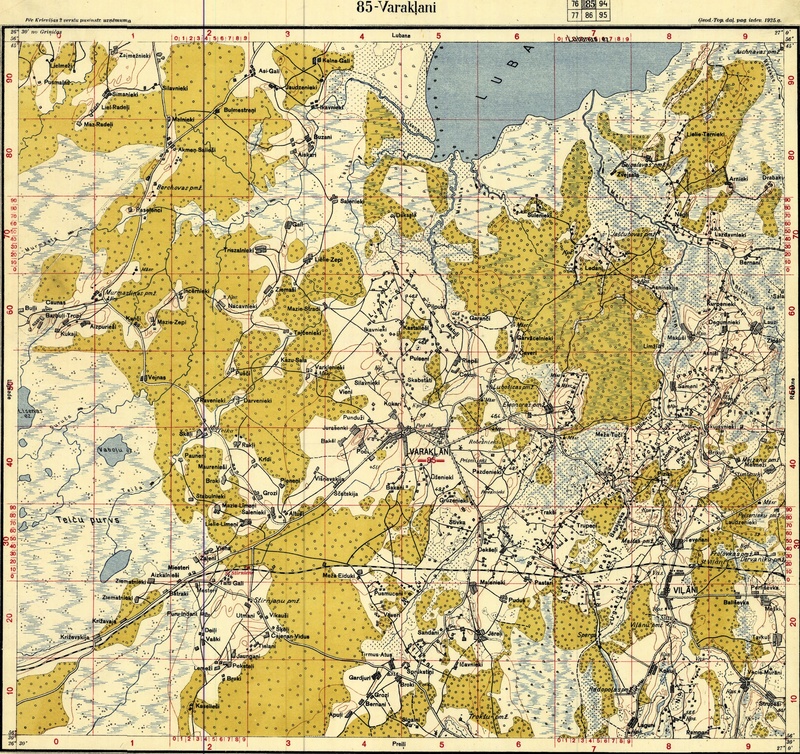 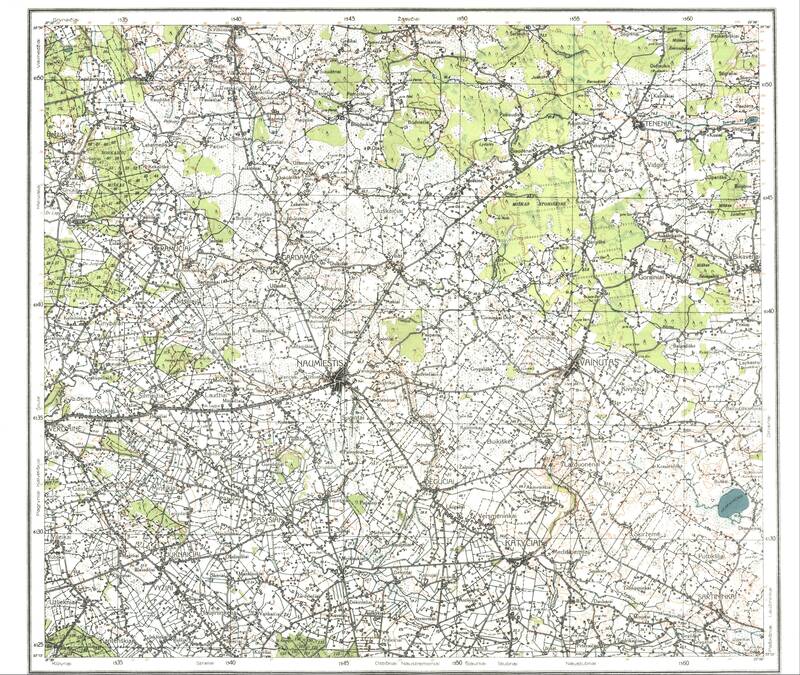 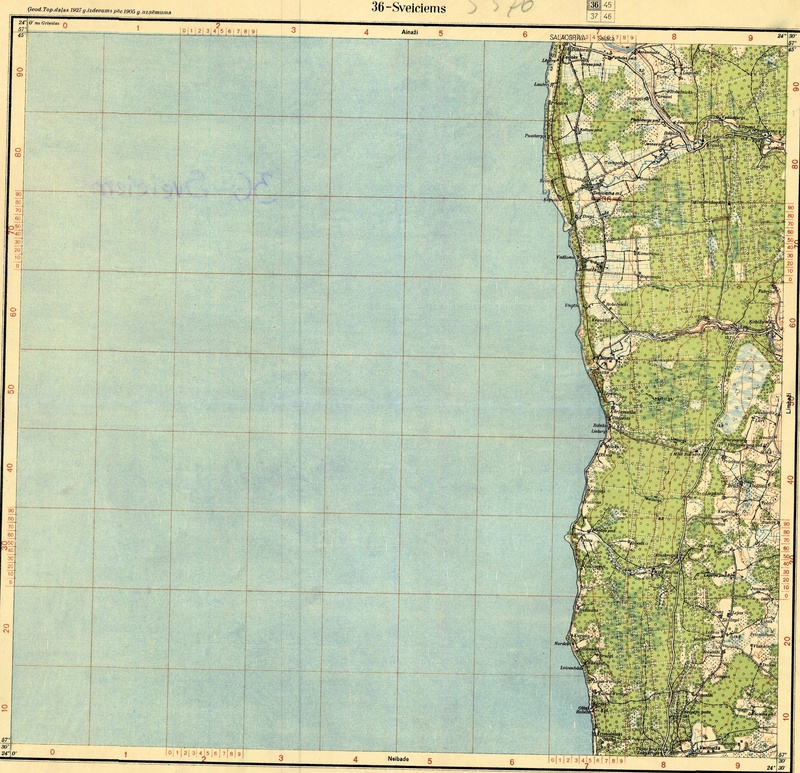 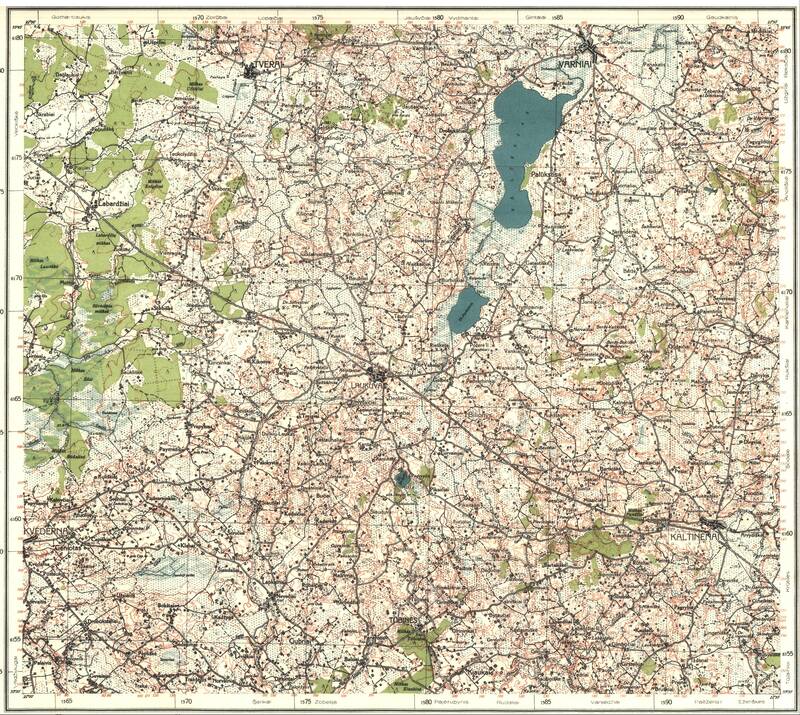 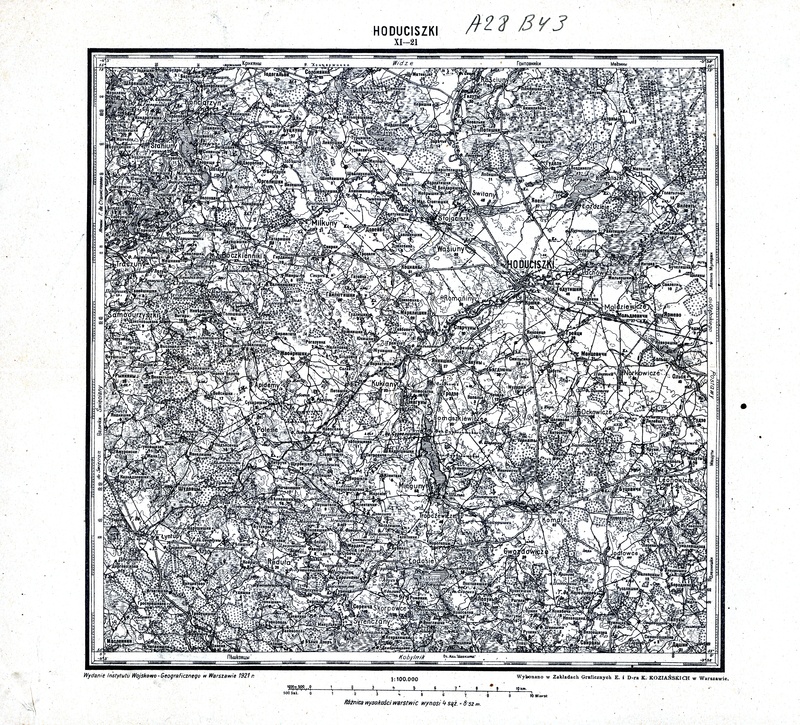 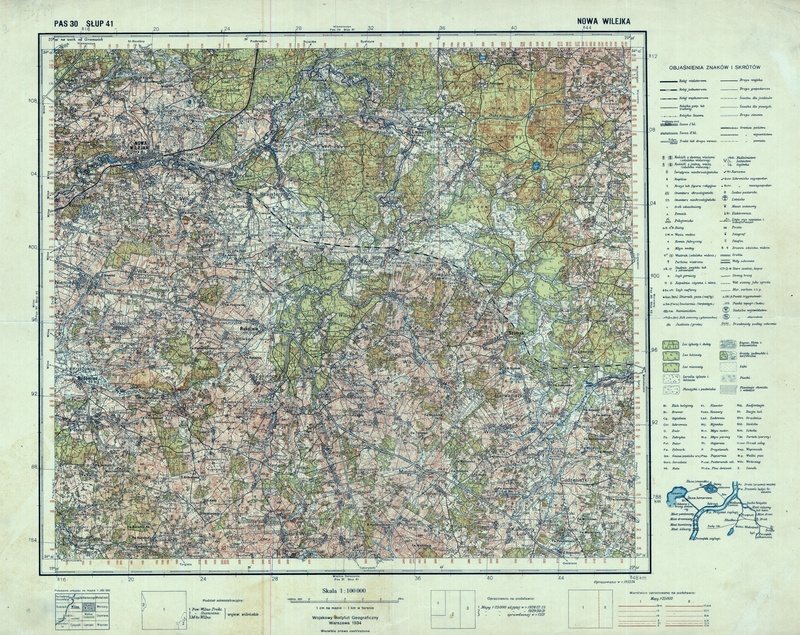 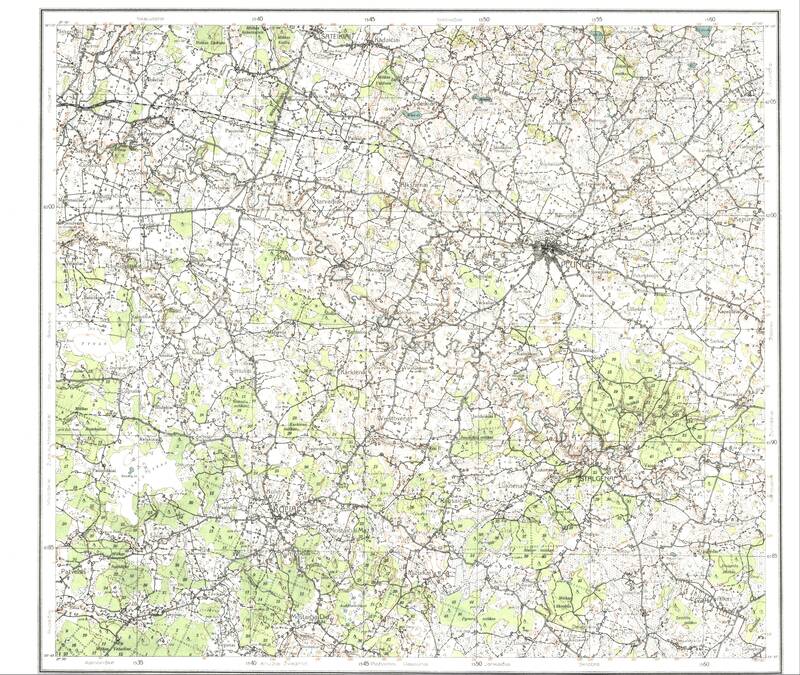 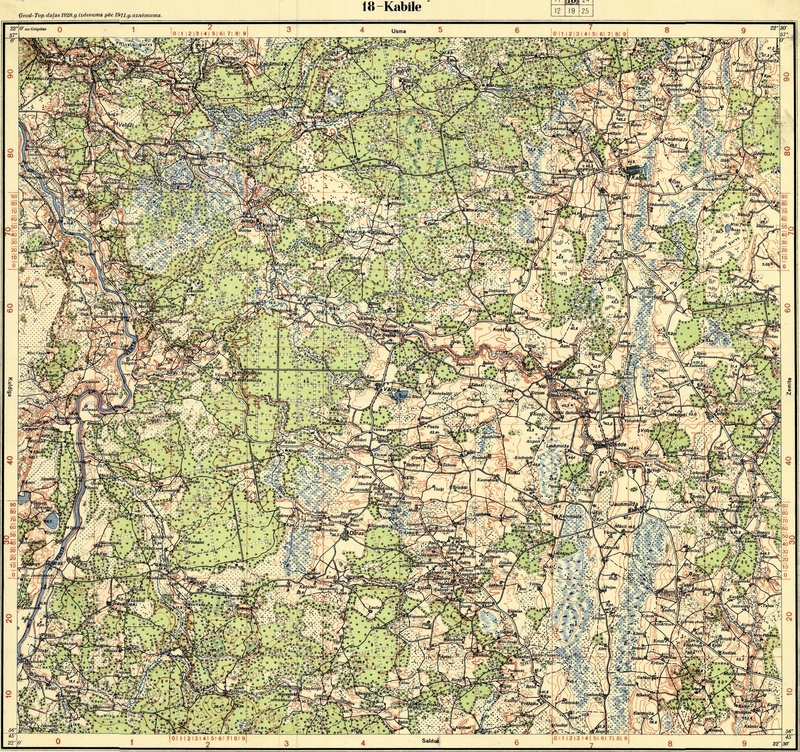 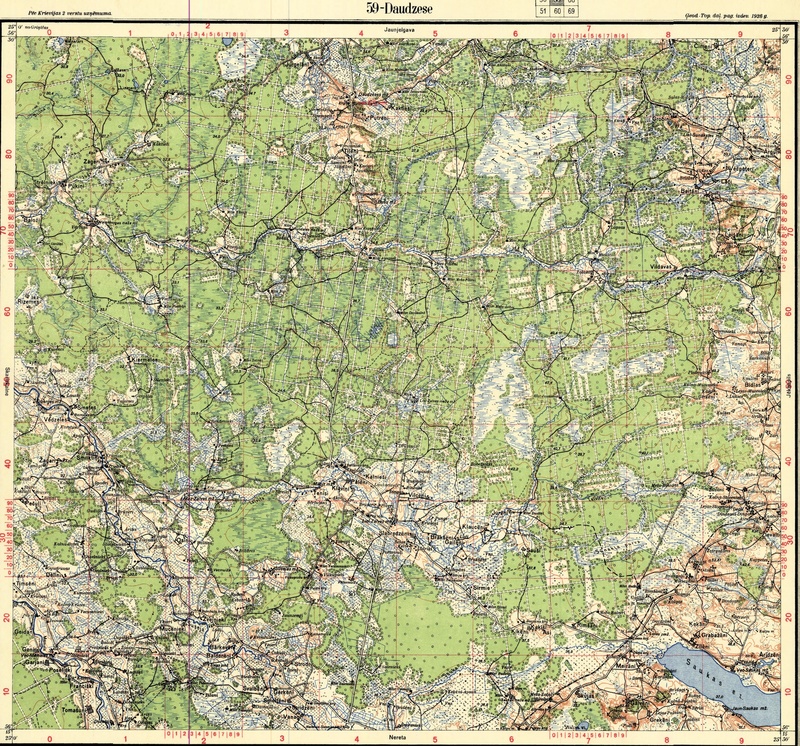 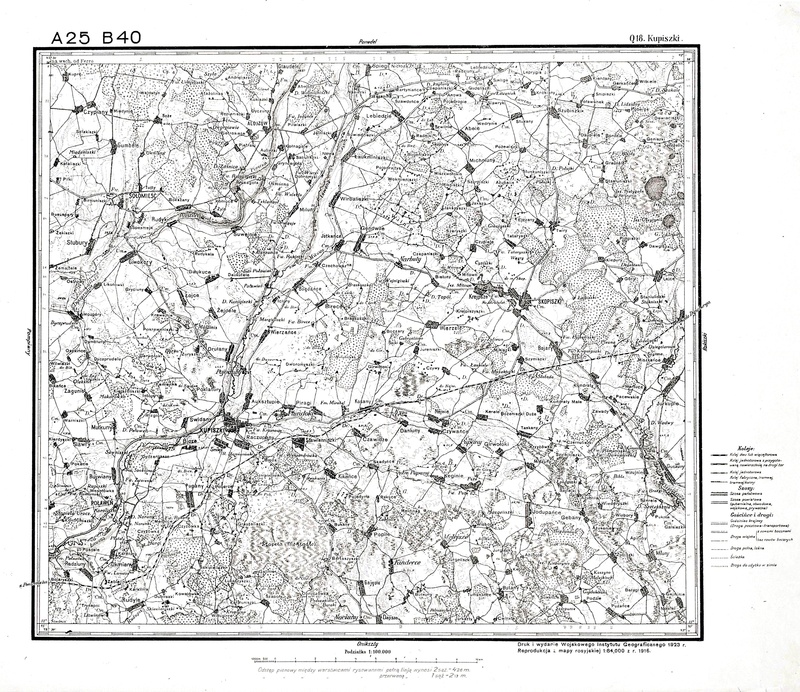 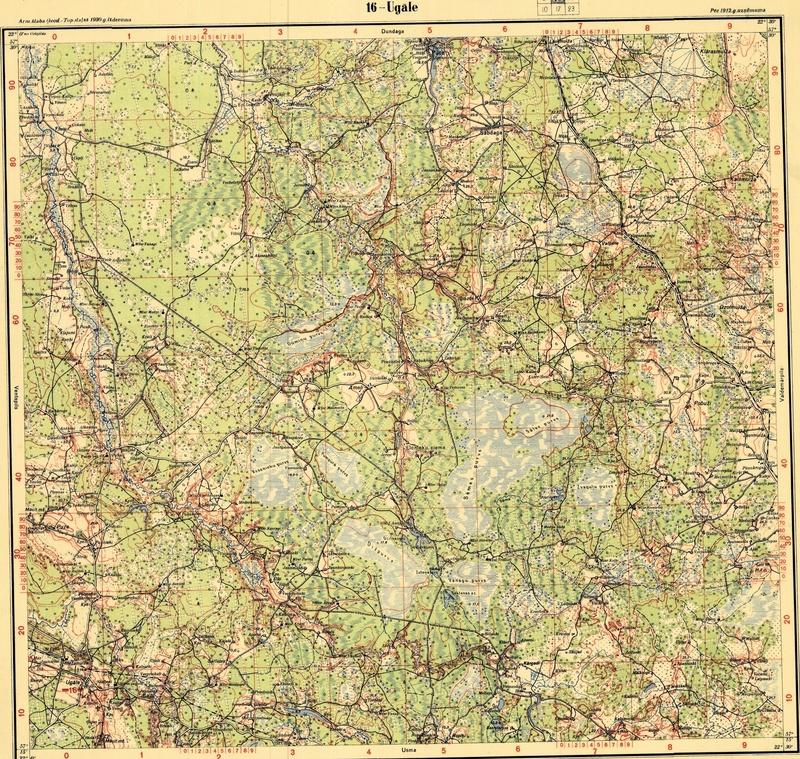 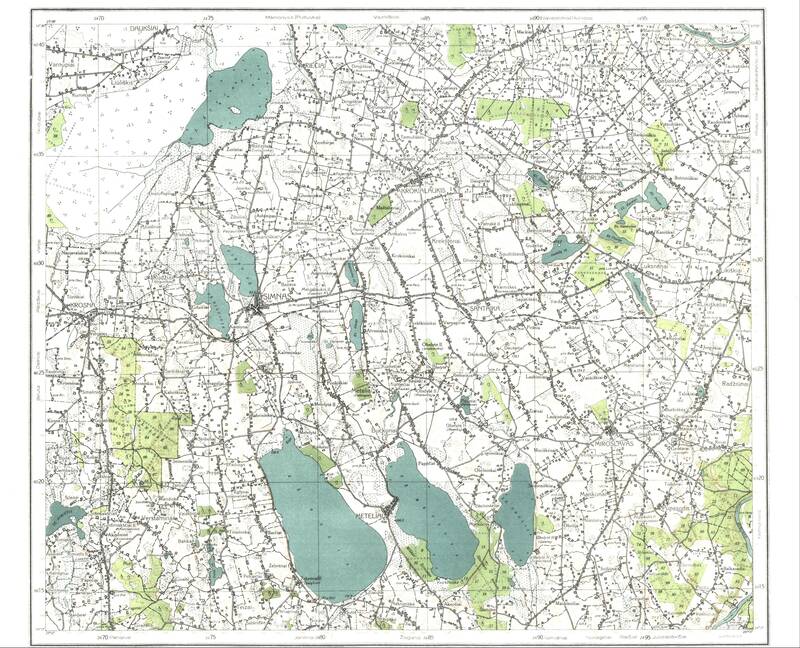 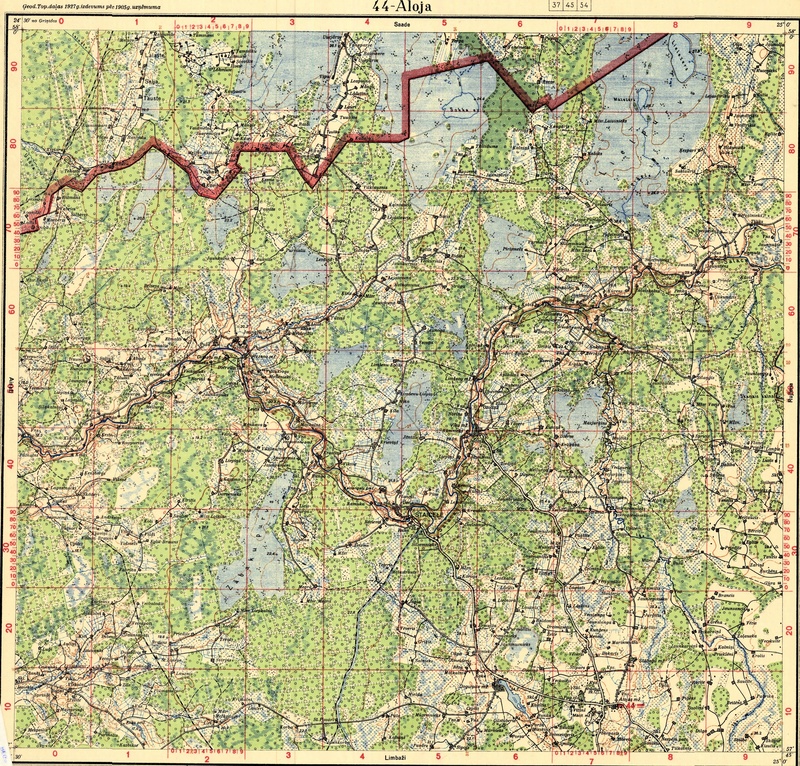 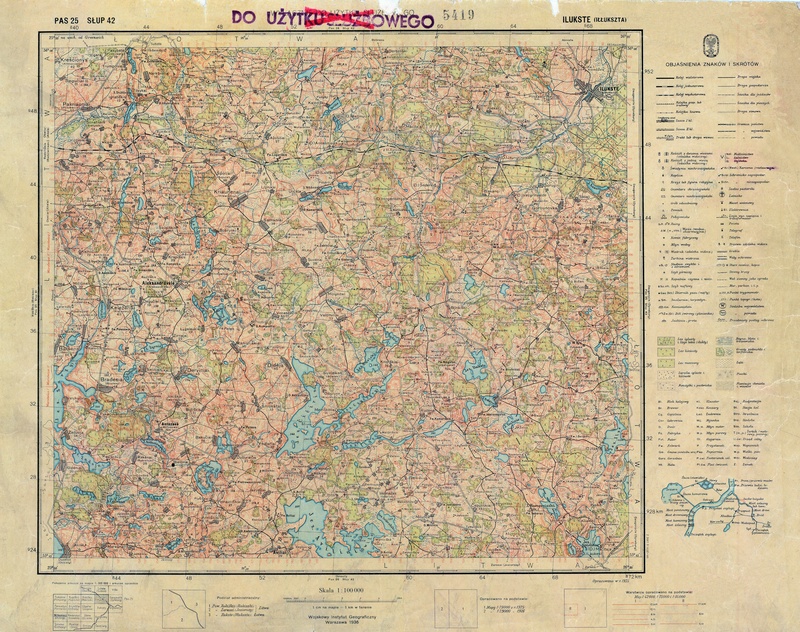 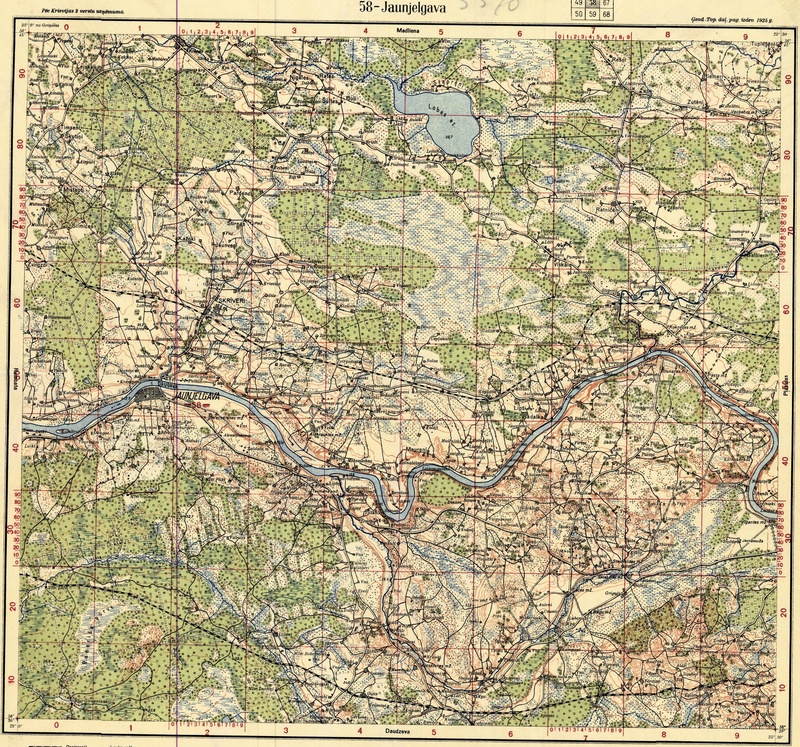 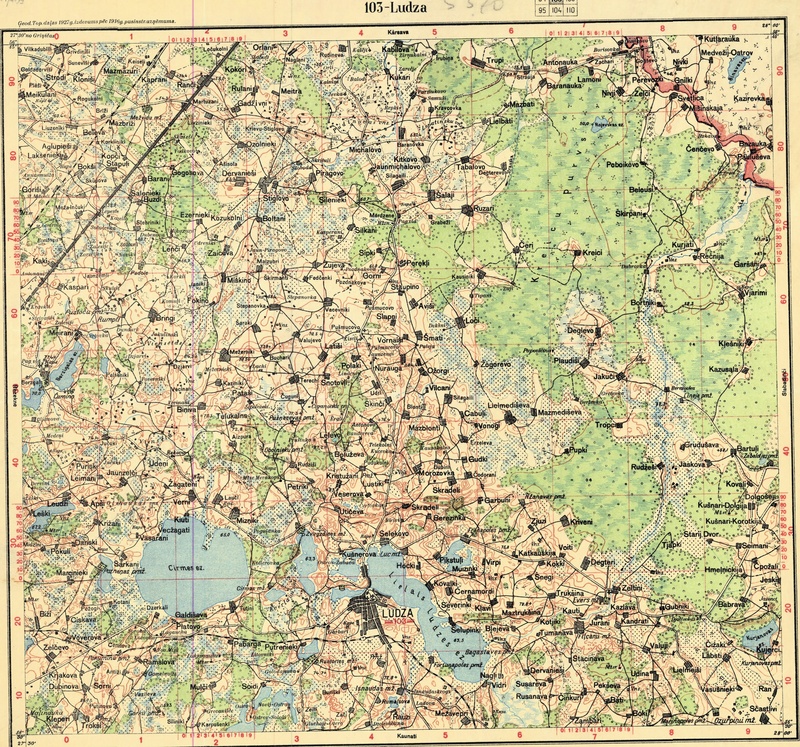 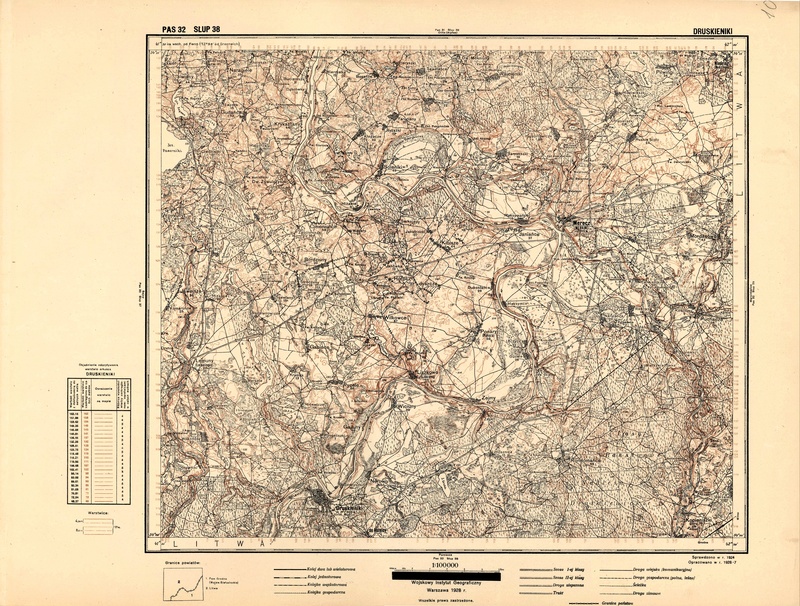 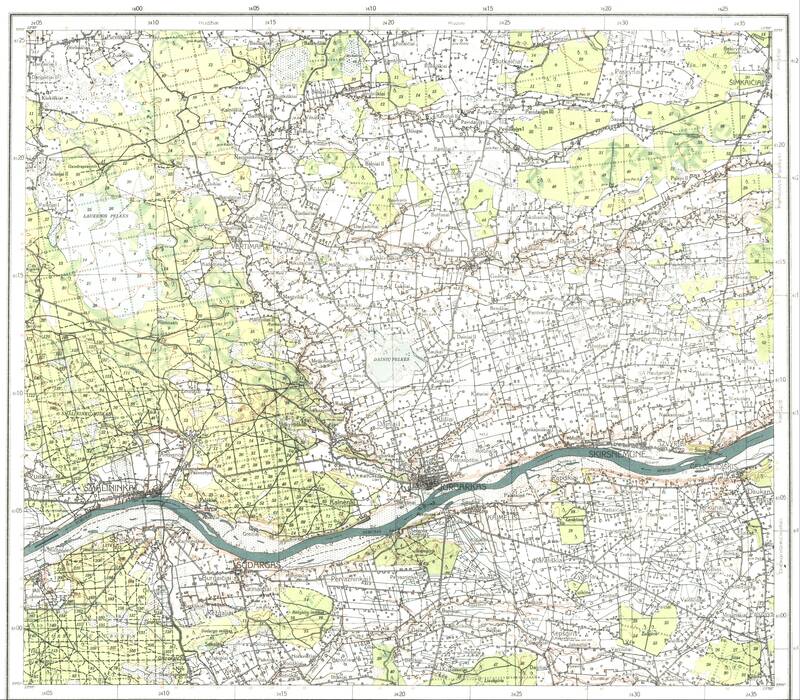 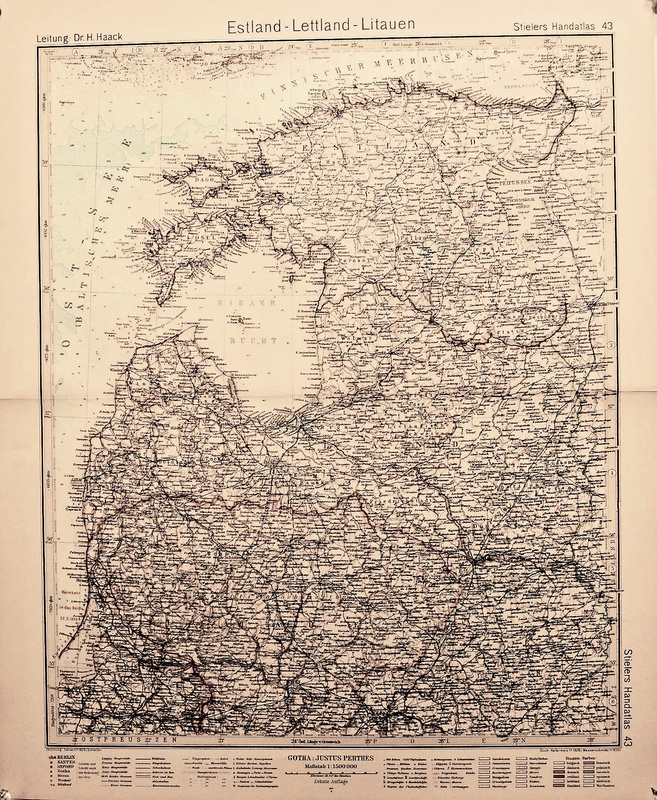 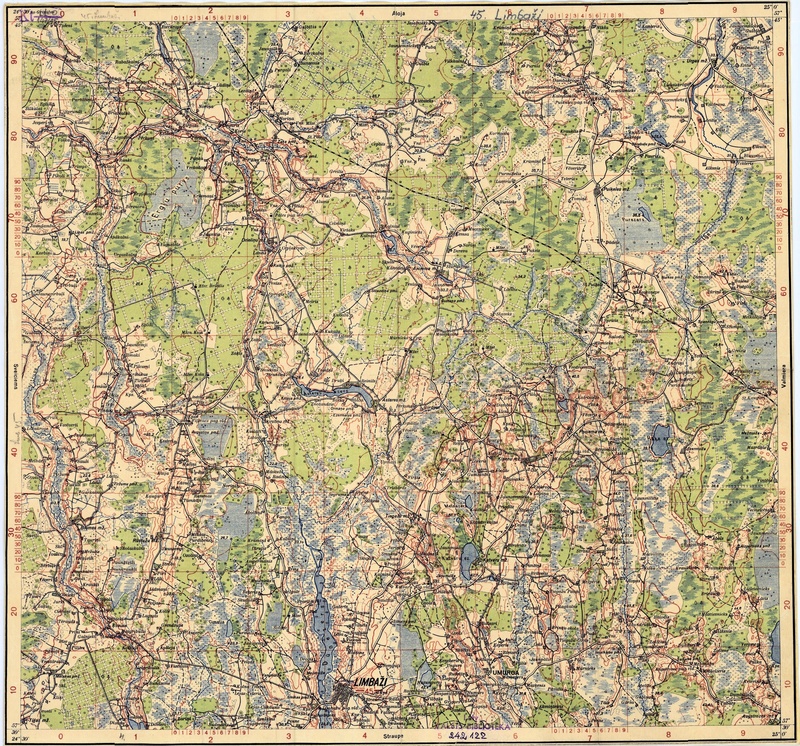 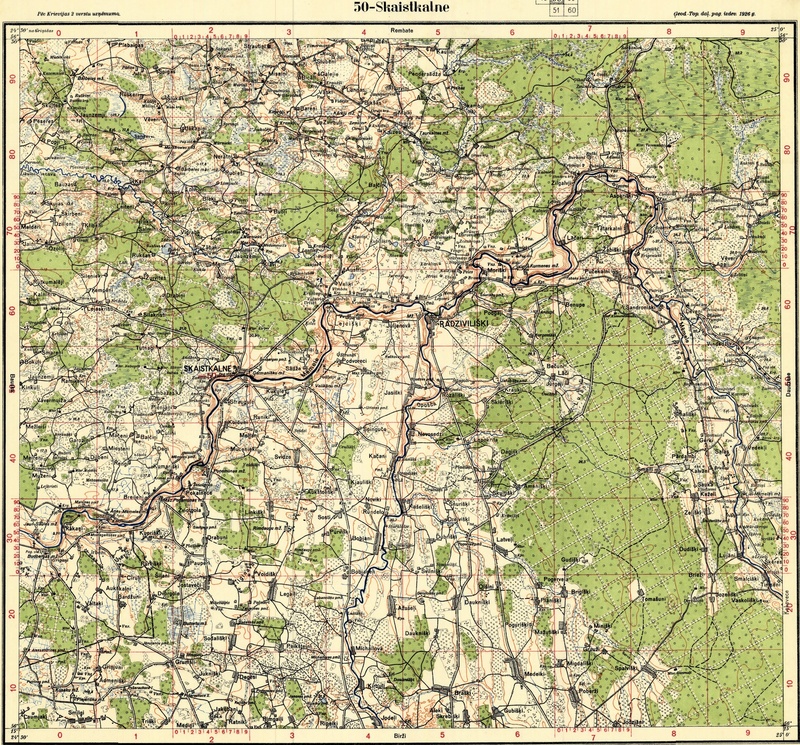 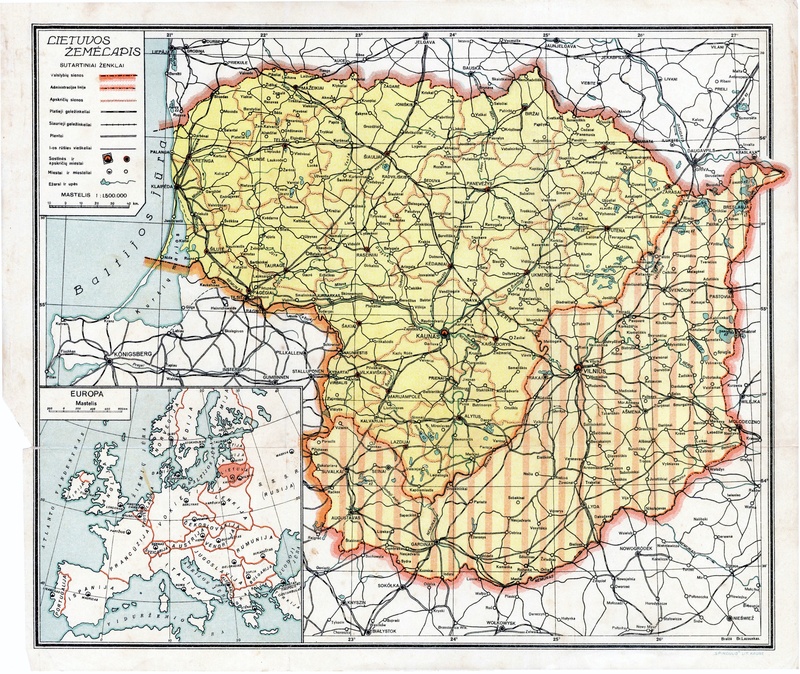 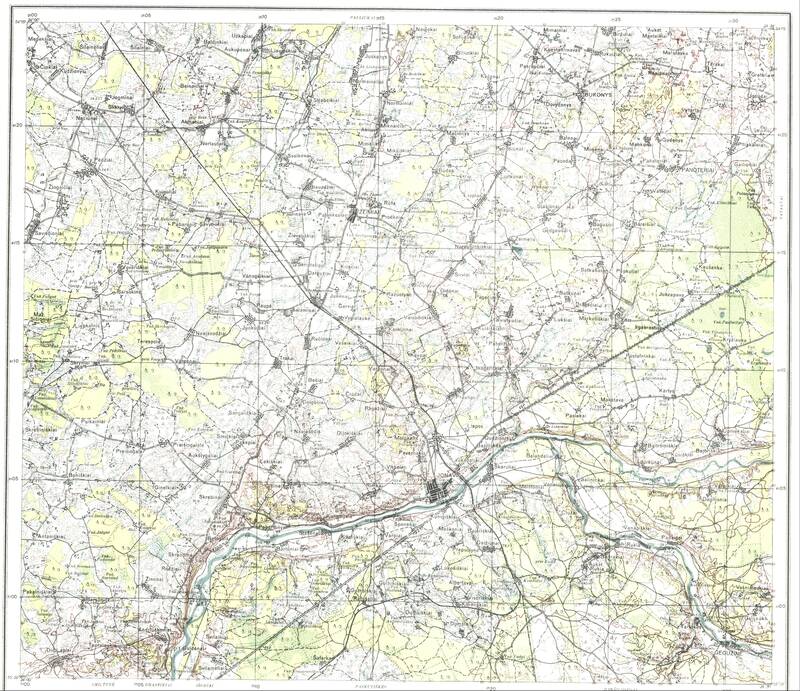 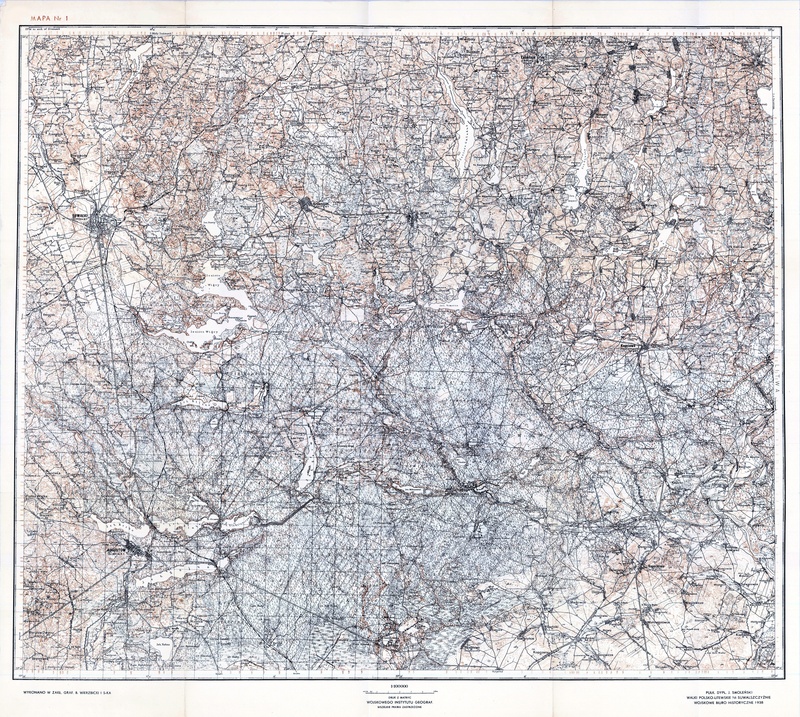 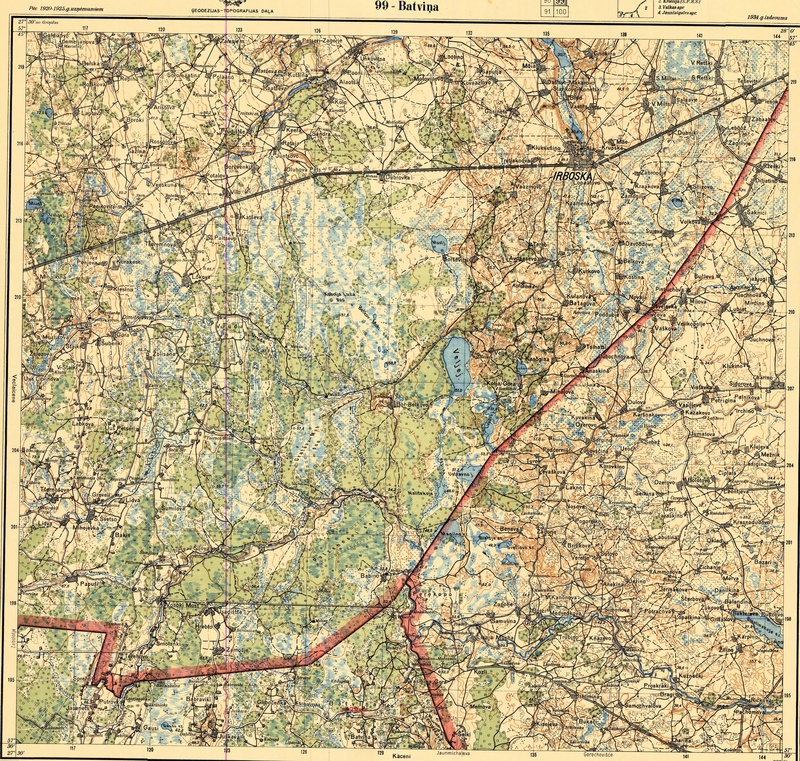 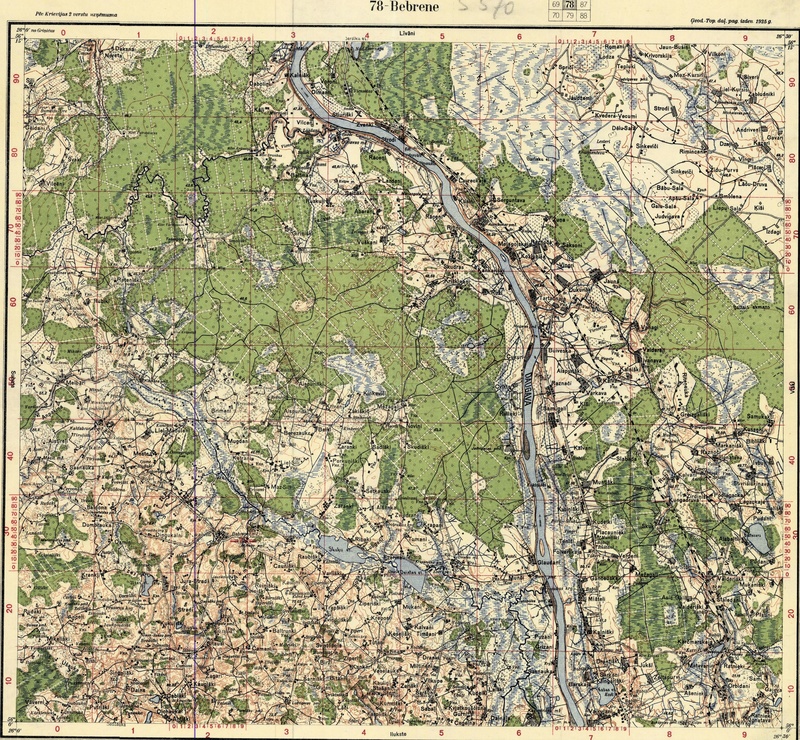 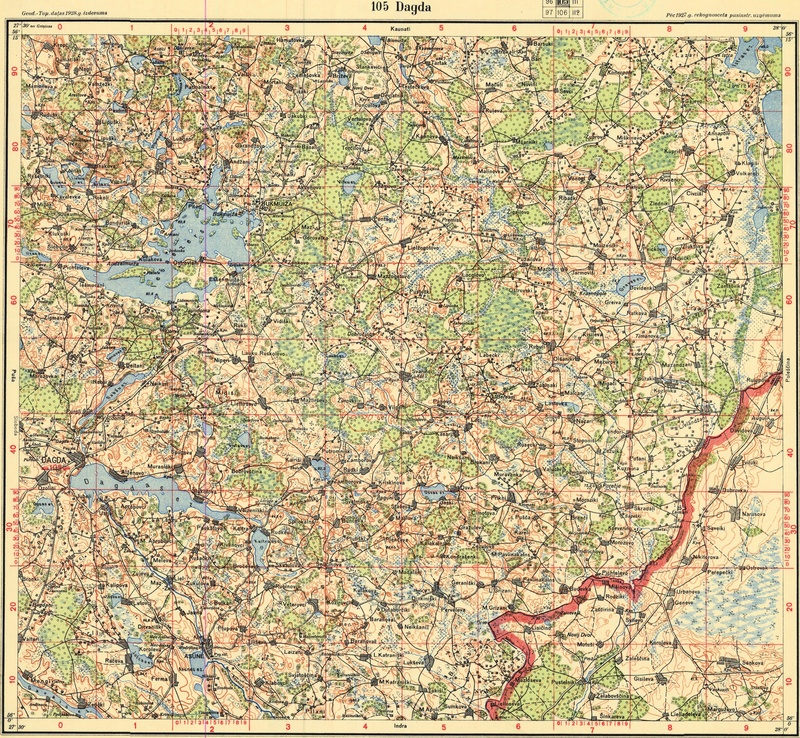 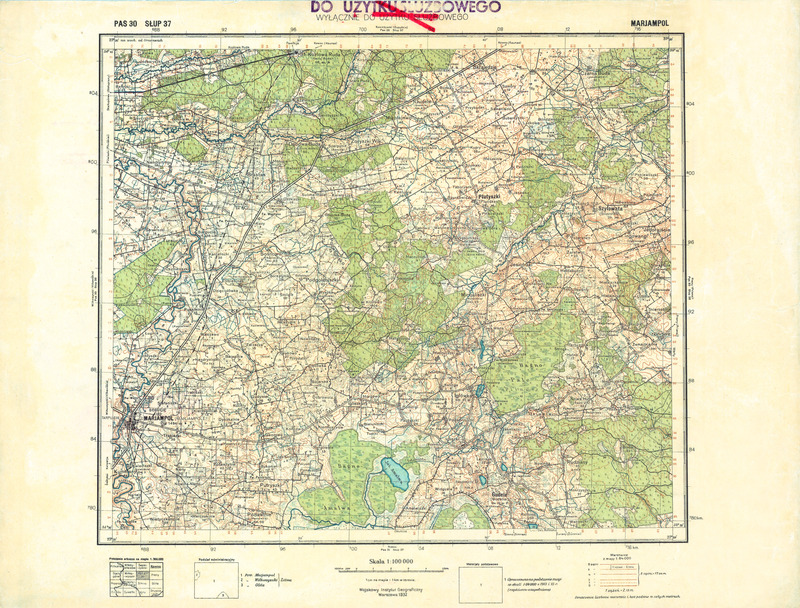 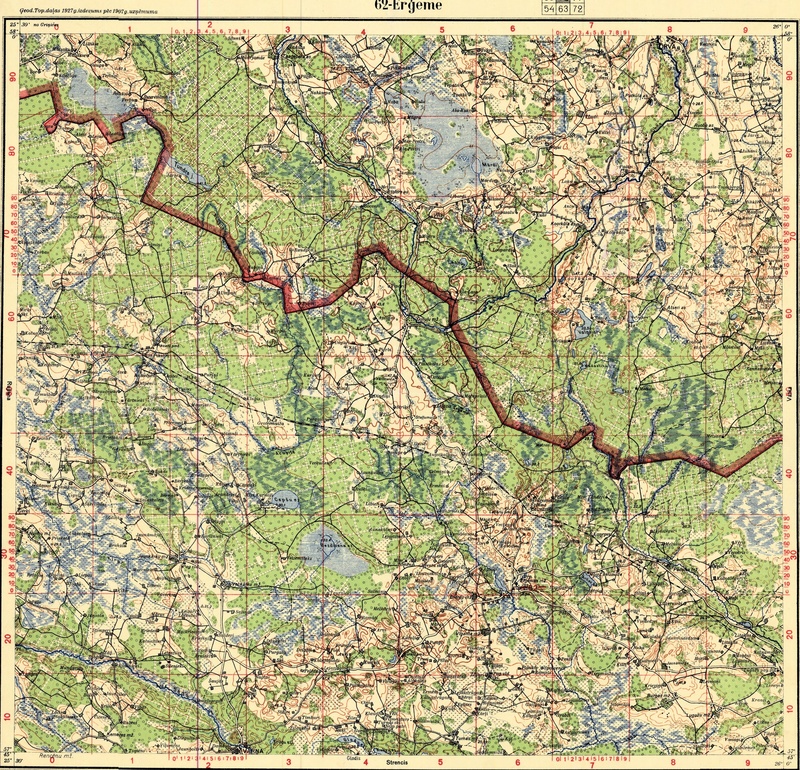 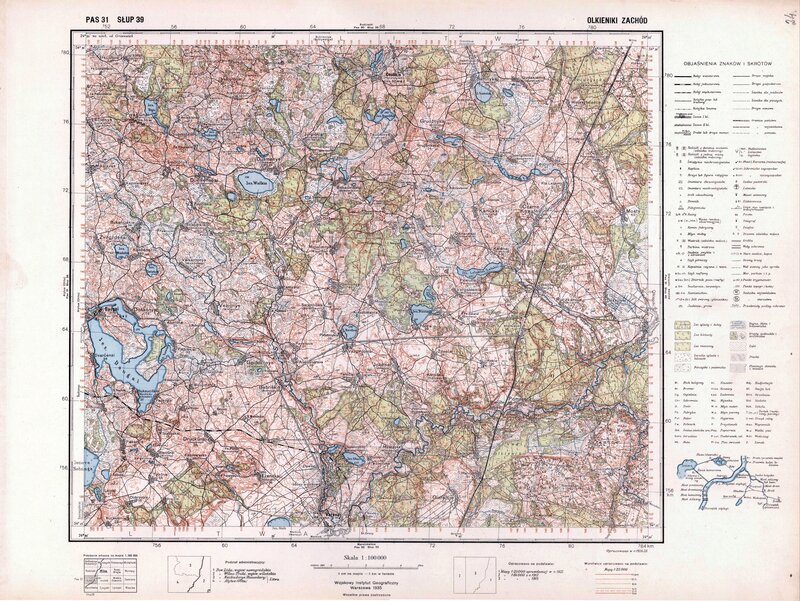 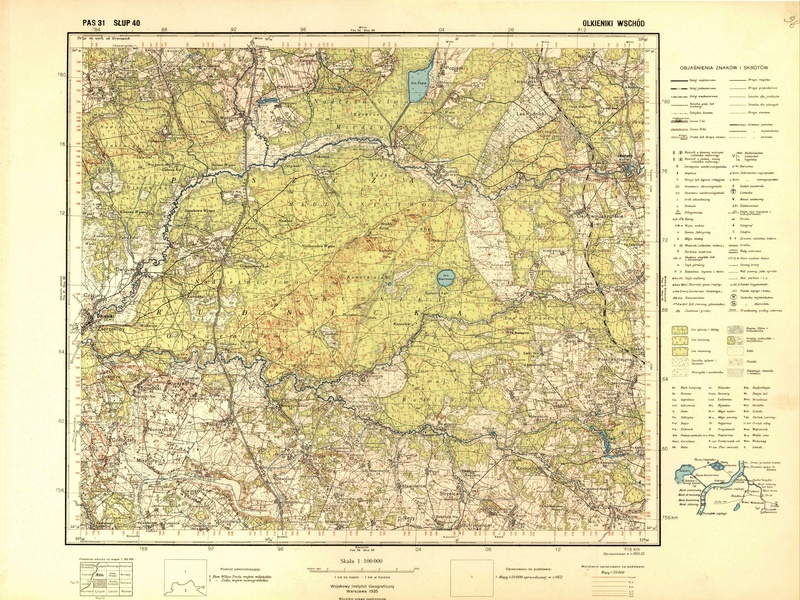 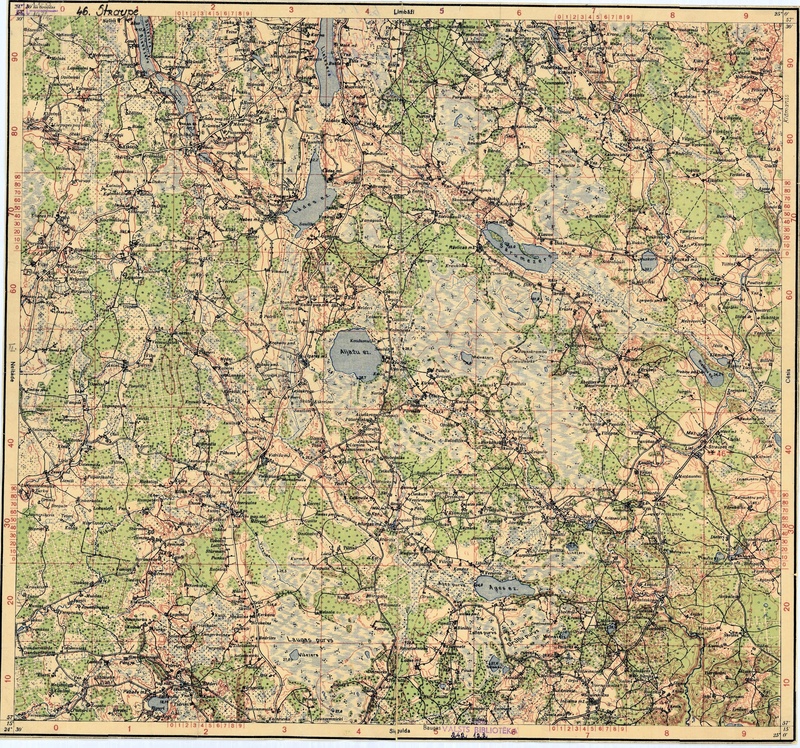 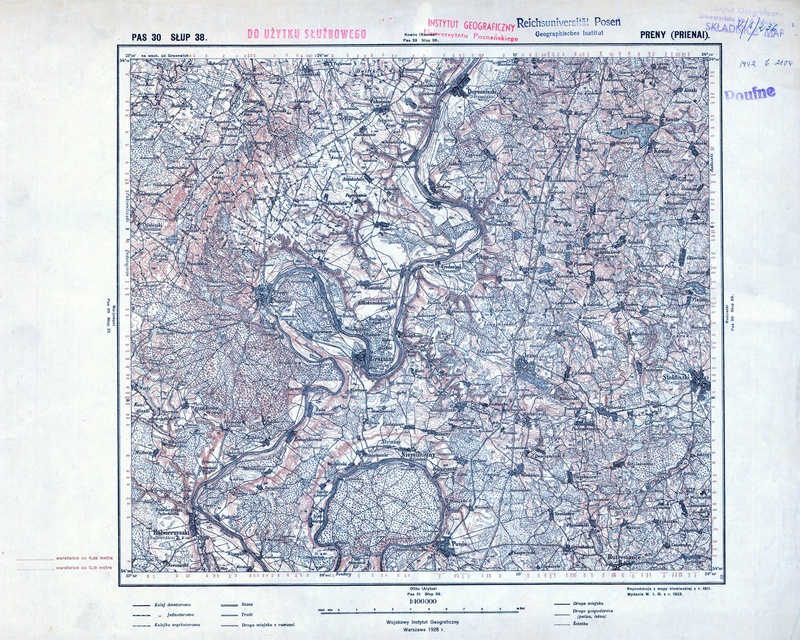 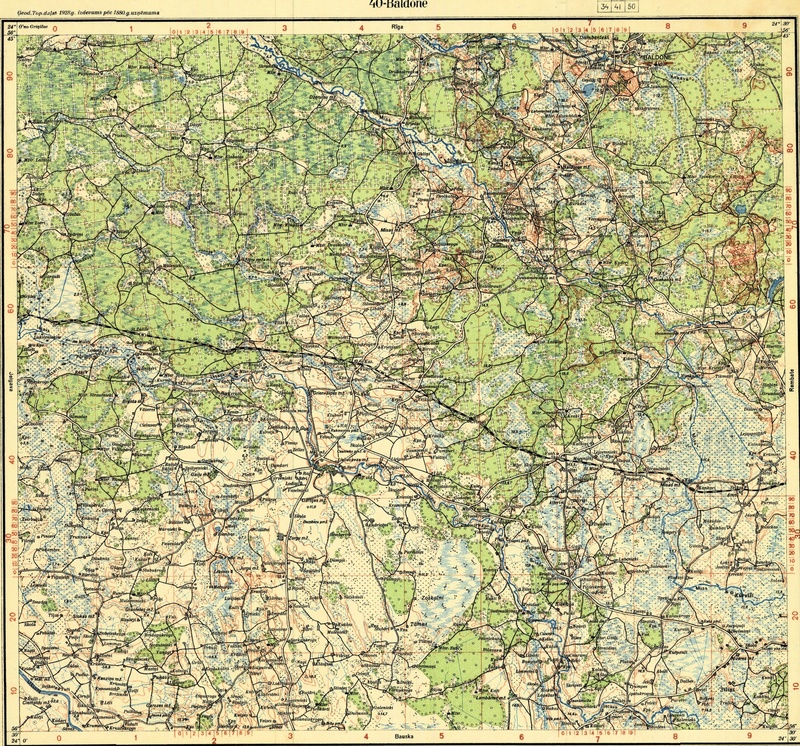 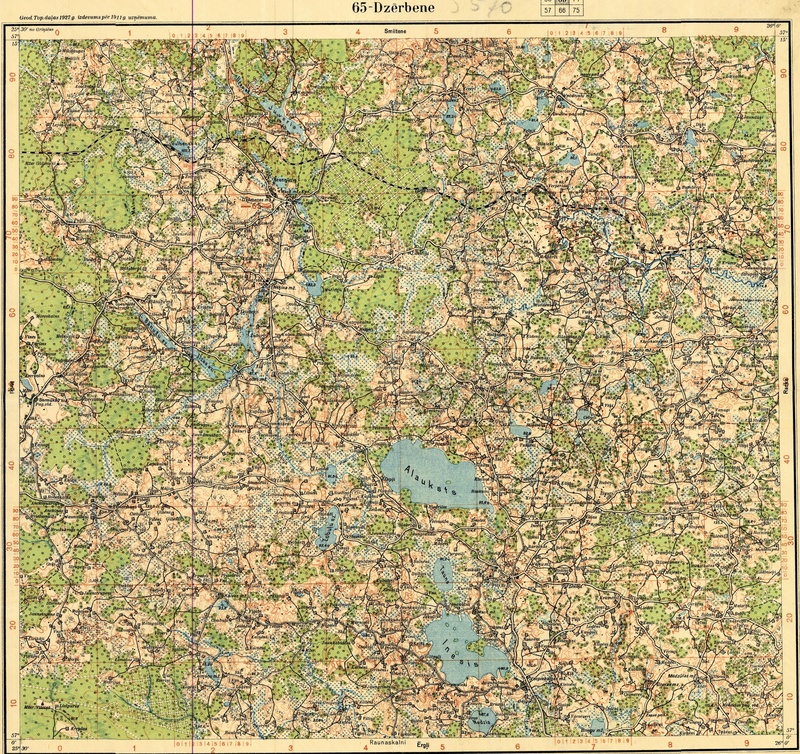 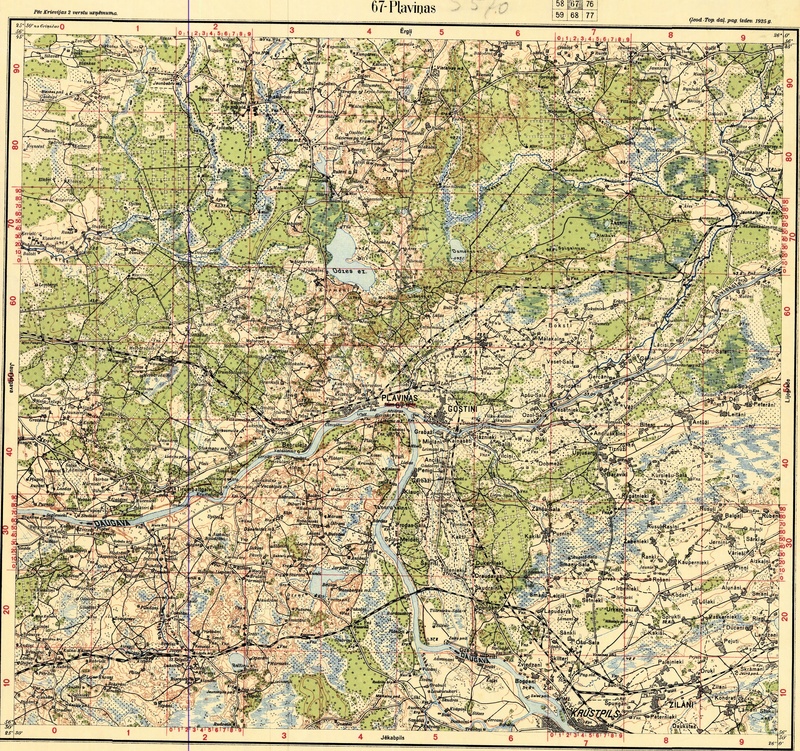 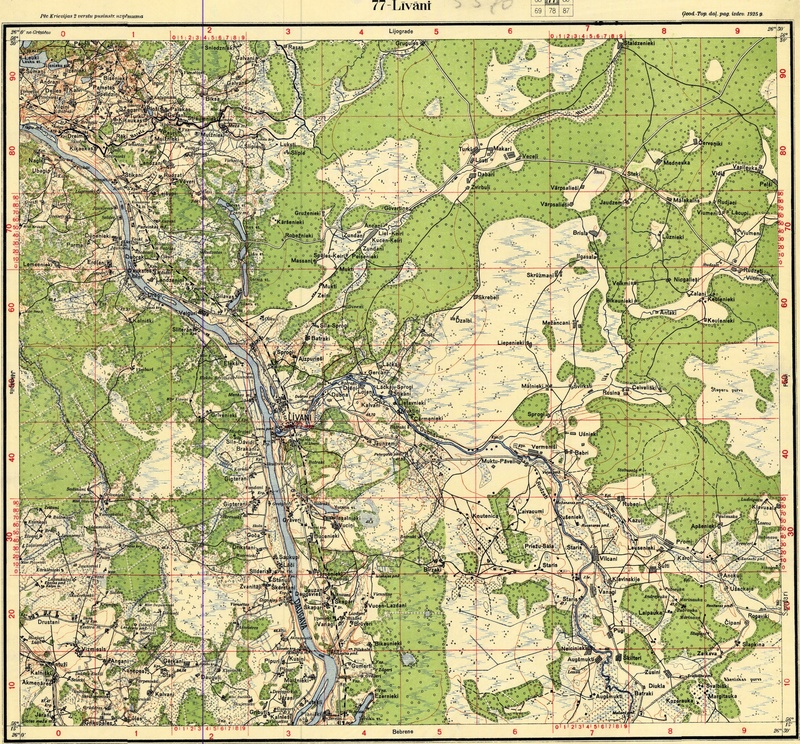 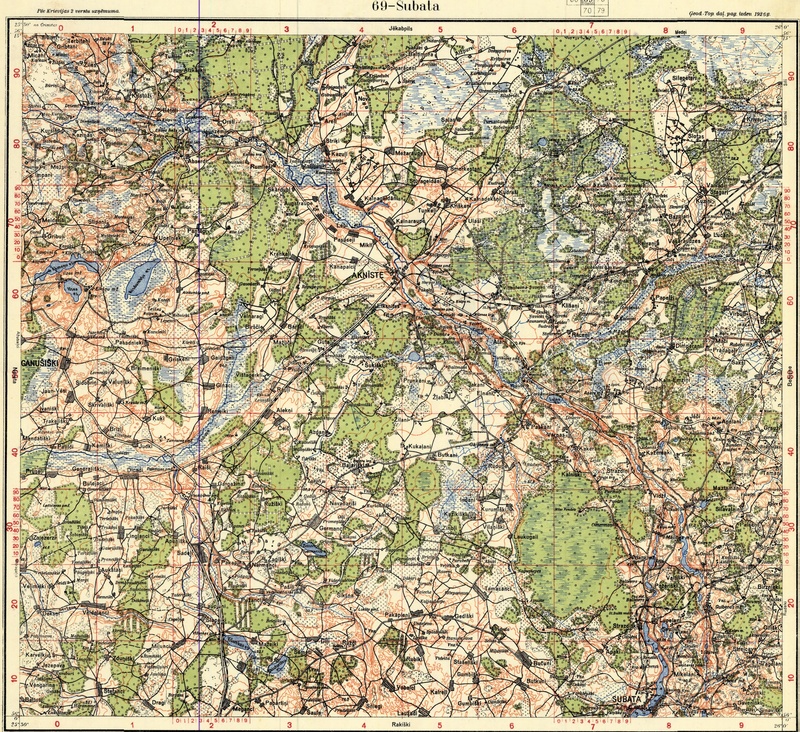 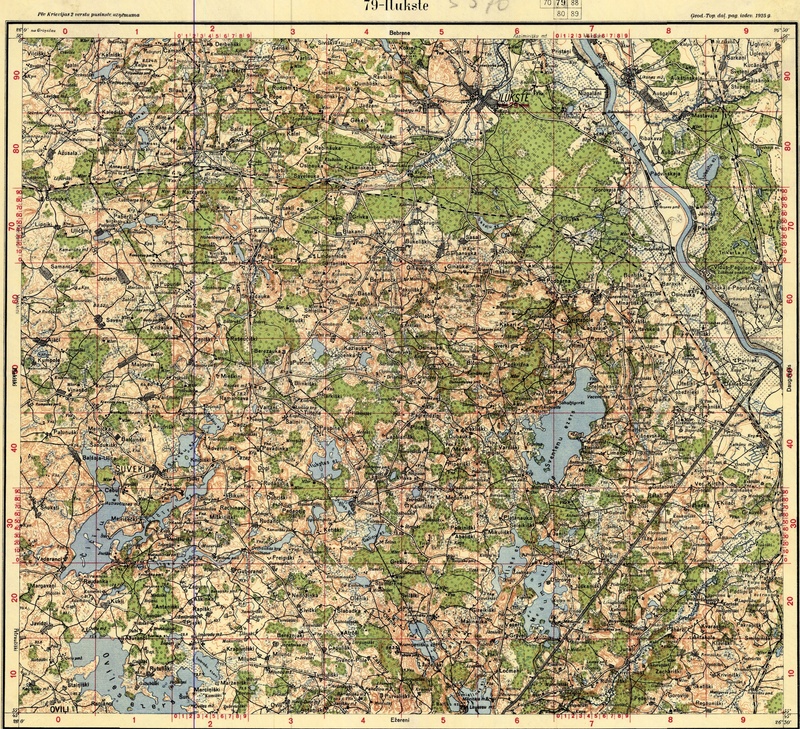 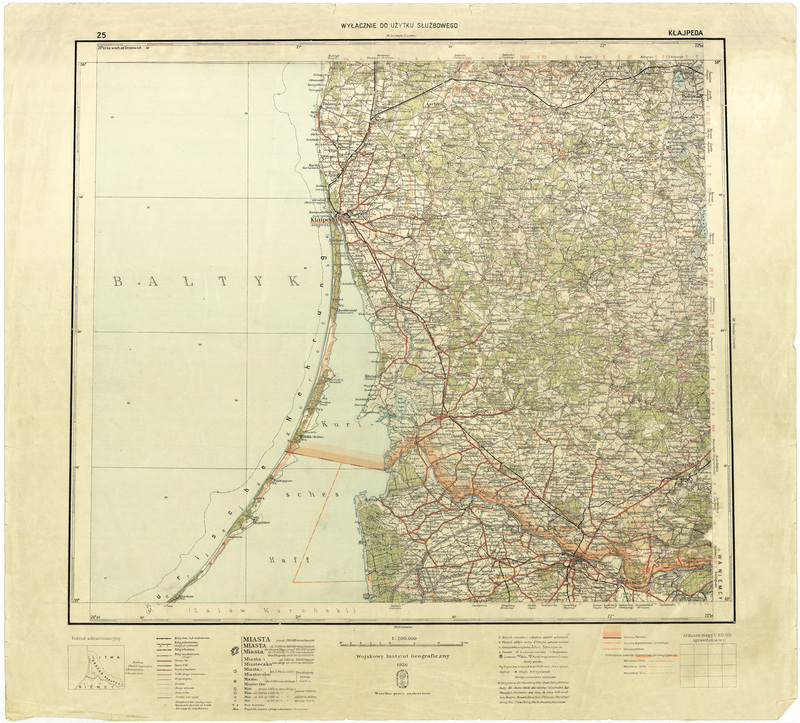 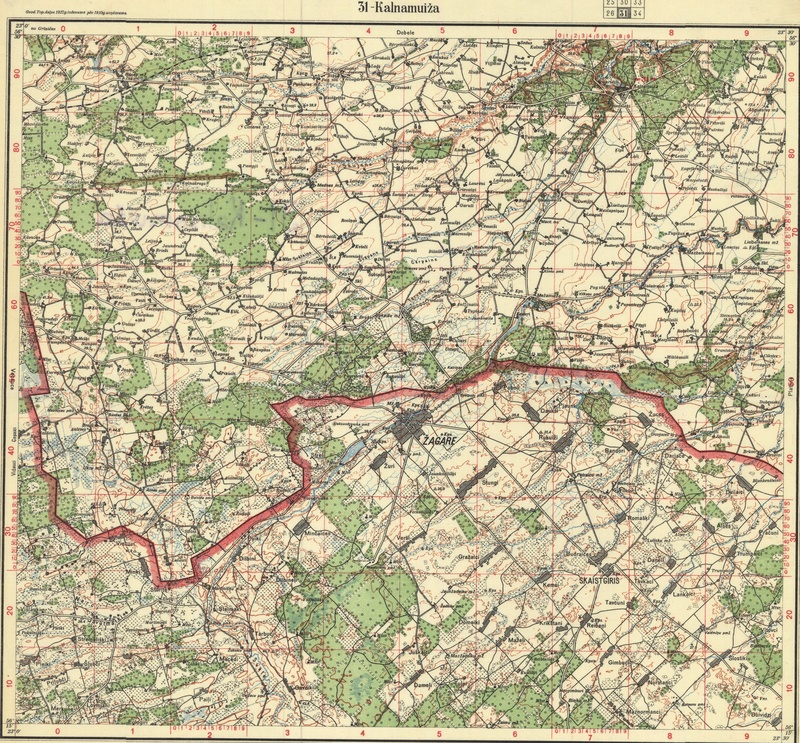 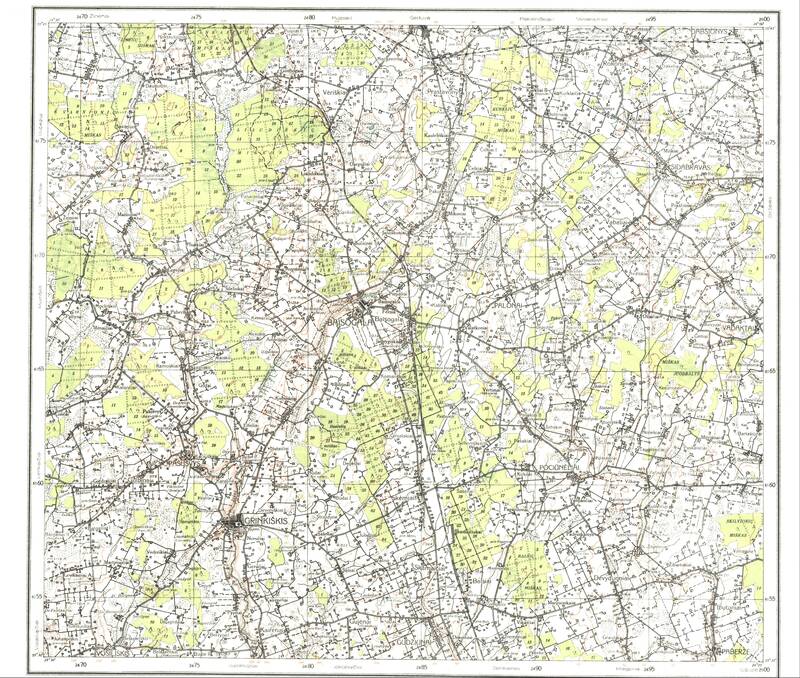 and/or Russian topographical maps, using Lithuanian and Latvian place-names. 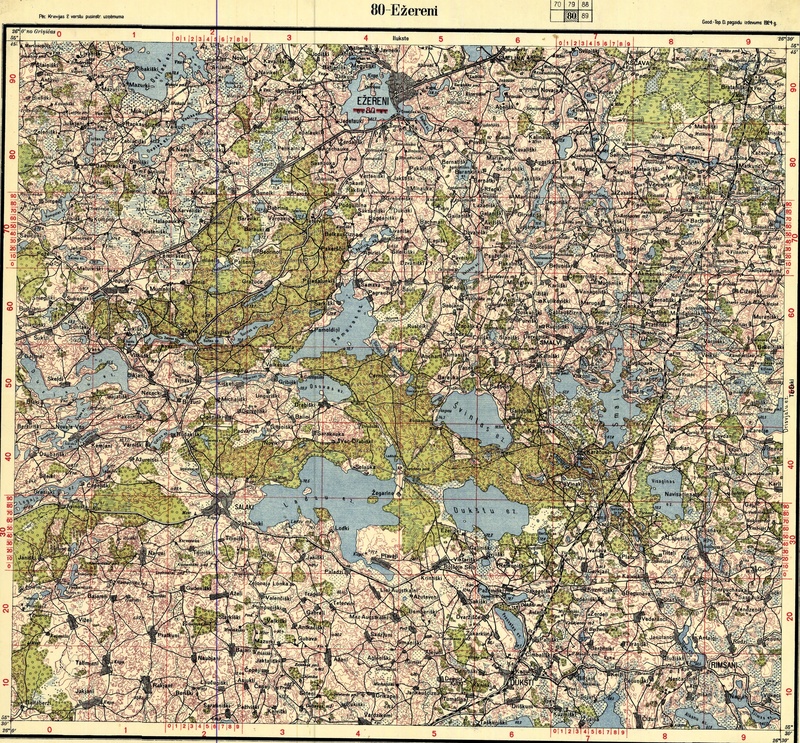 on the left is an AK-owned map. 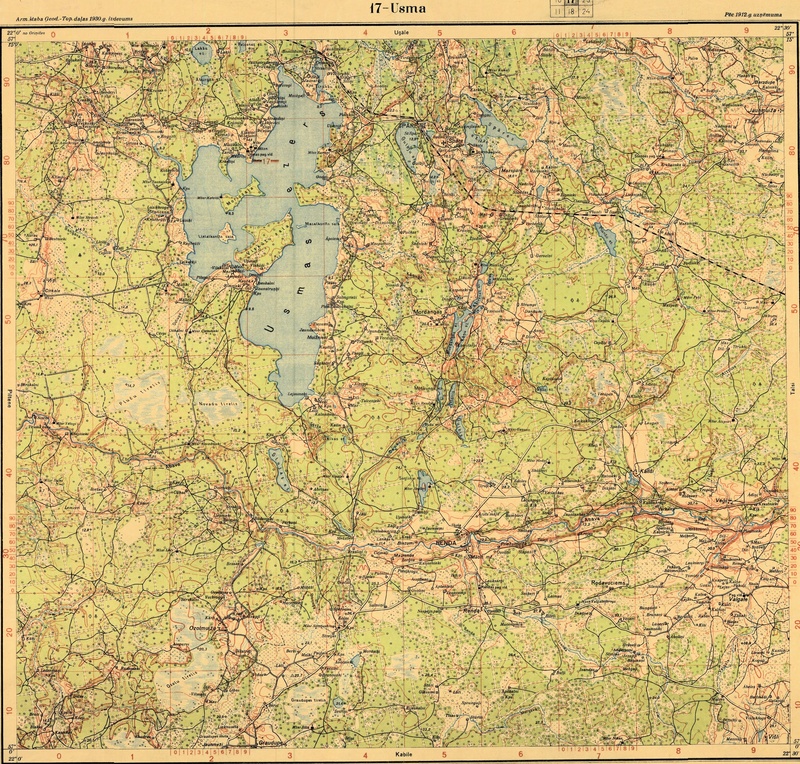 Lettland - Litauen," 13.25 x 16.5 inches. 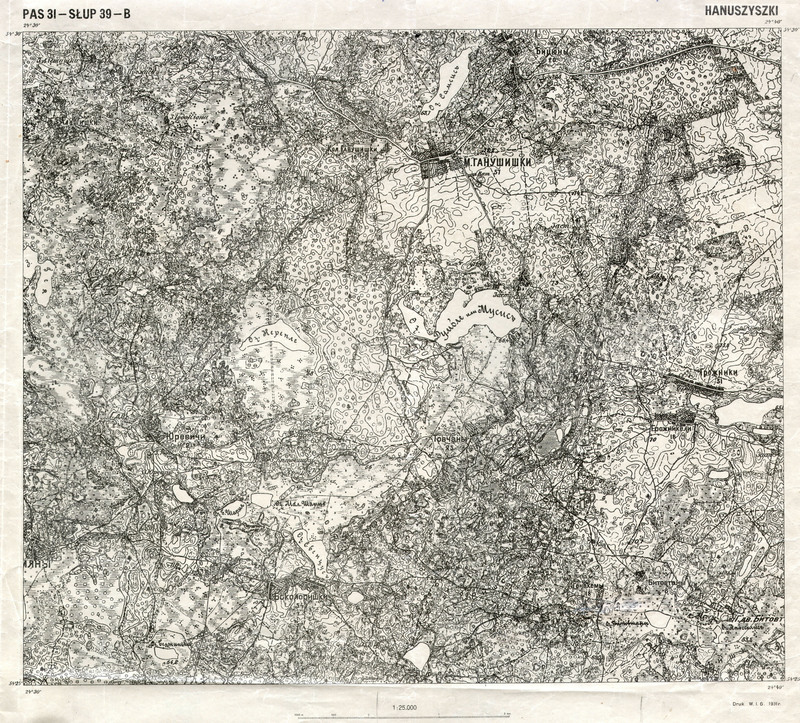 from as far back as 1880, scaled 1:84000 (Двухверстная карта западного пограничного пространства). 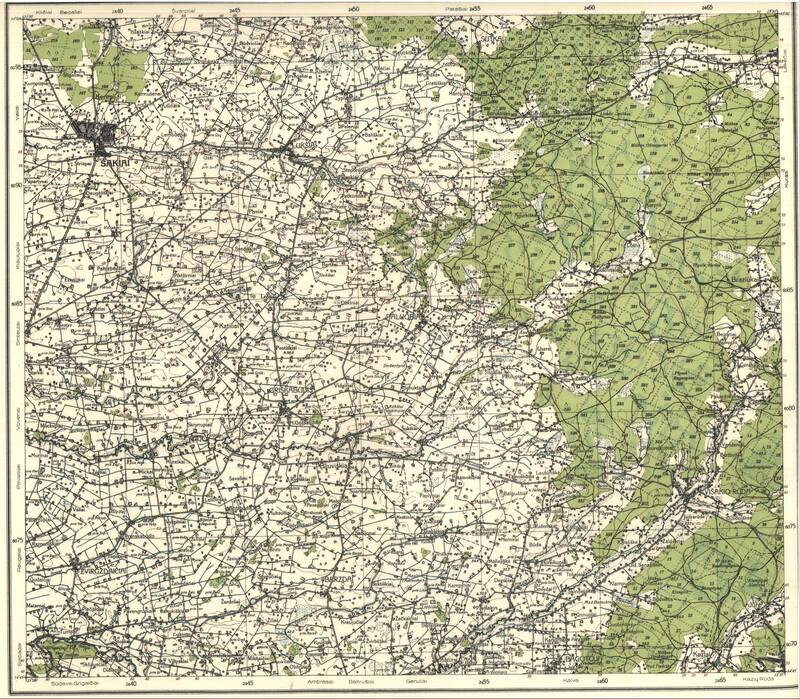 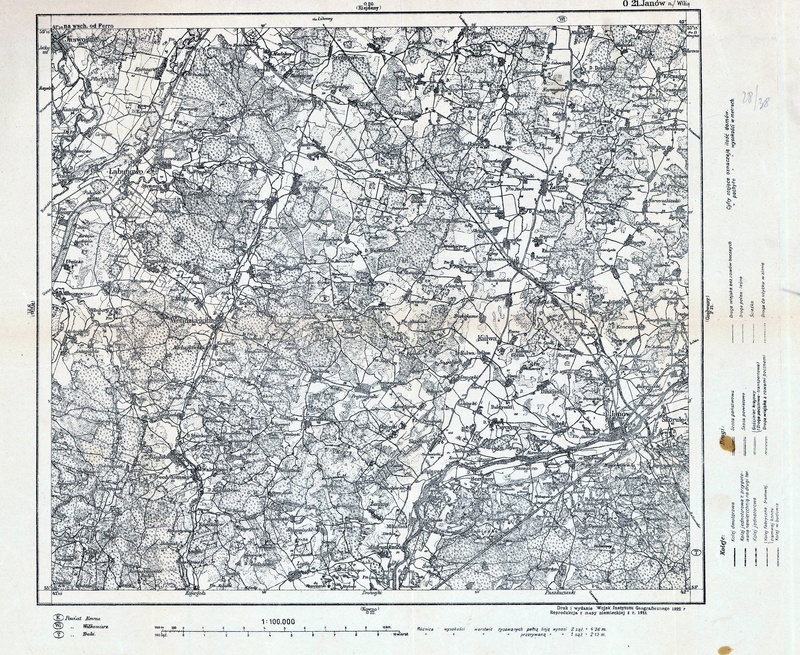 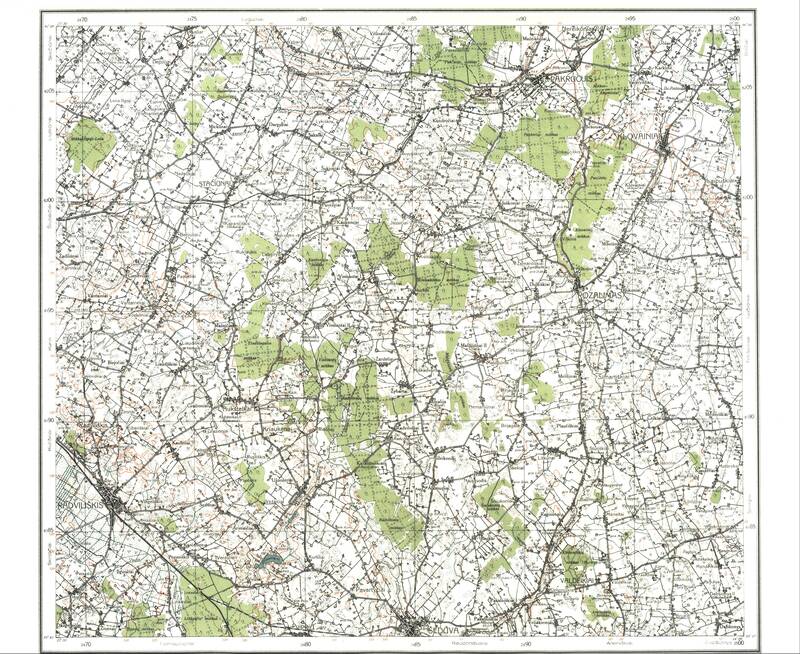 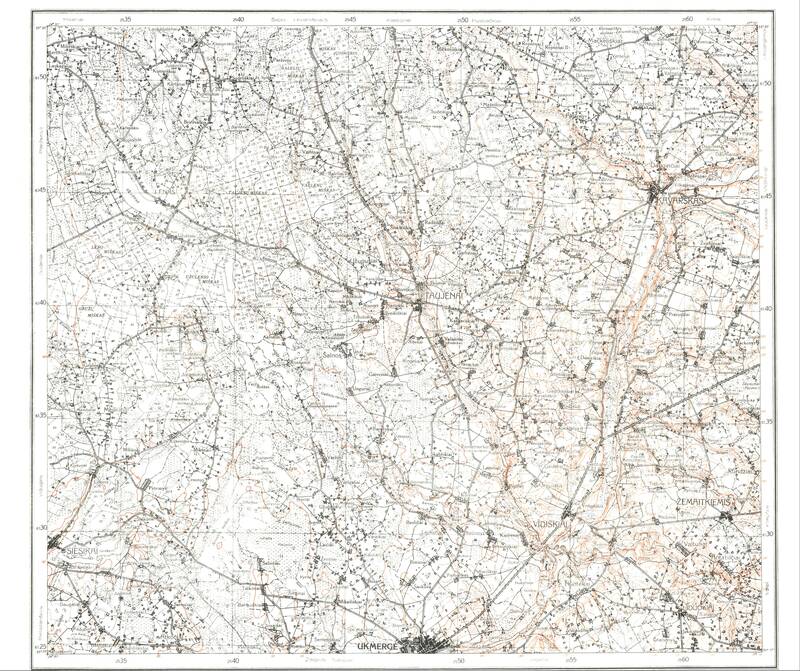 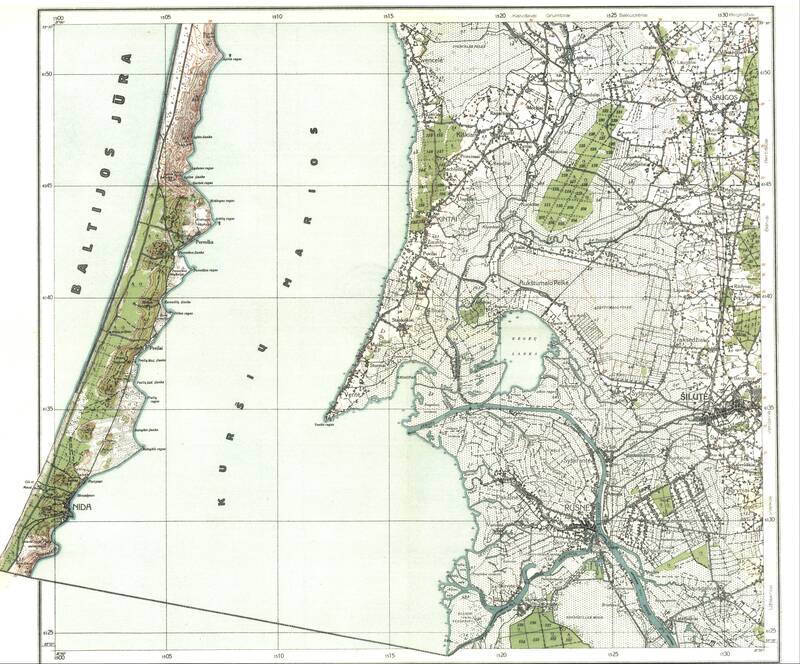 same period are arranged directly beneath these maps, in roughly the appropriate geographic position.